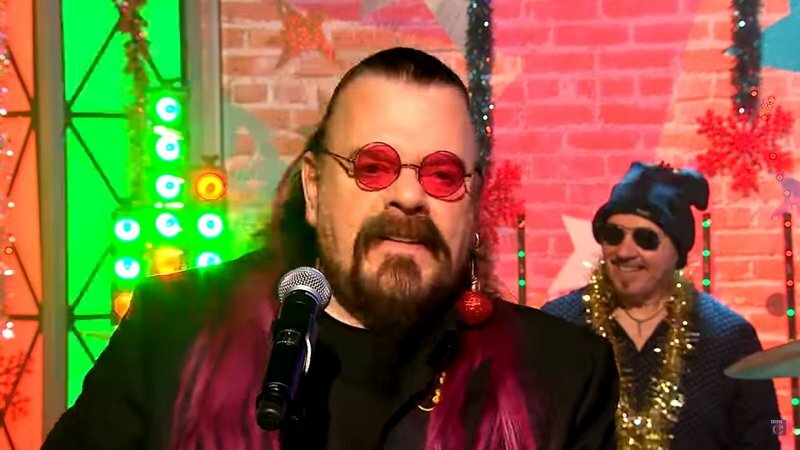 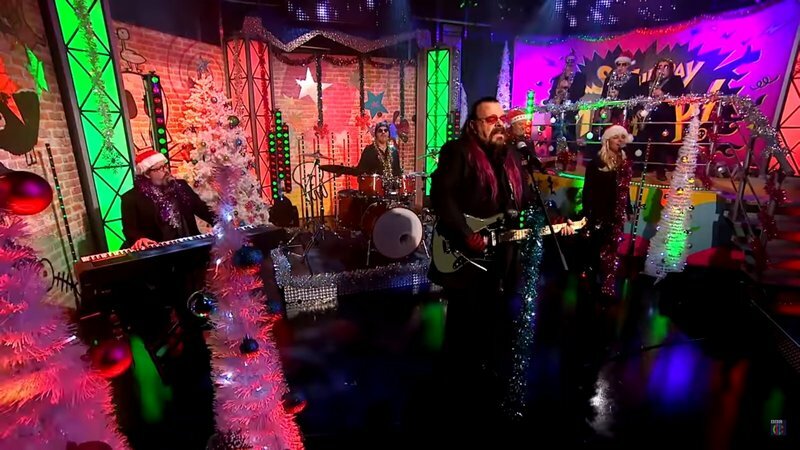 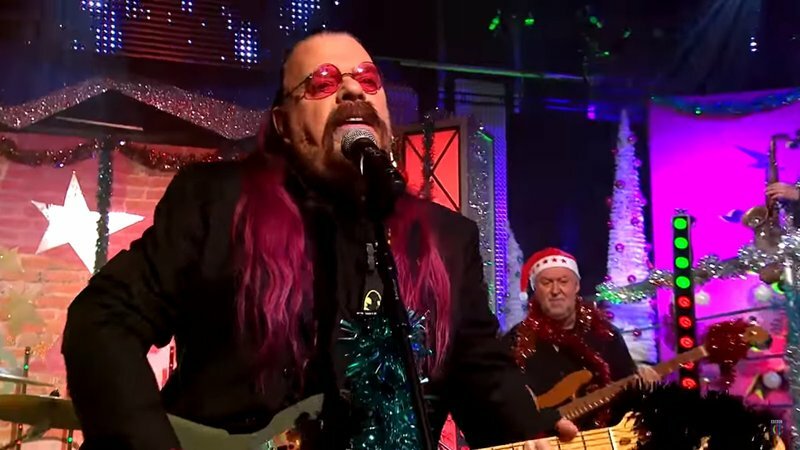 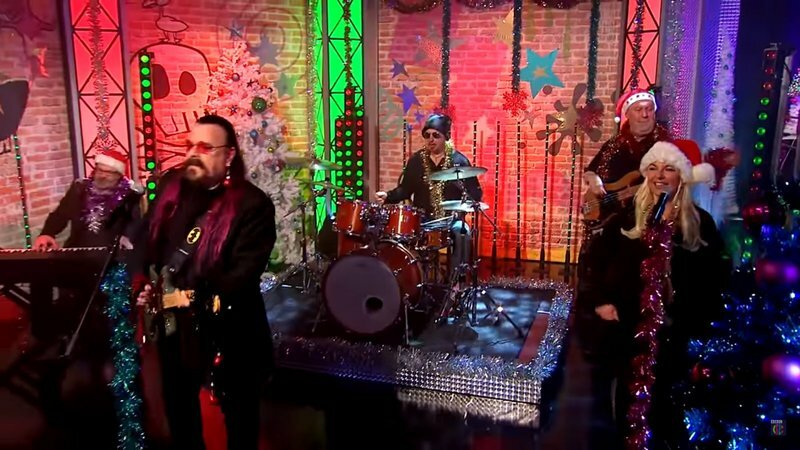 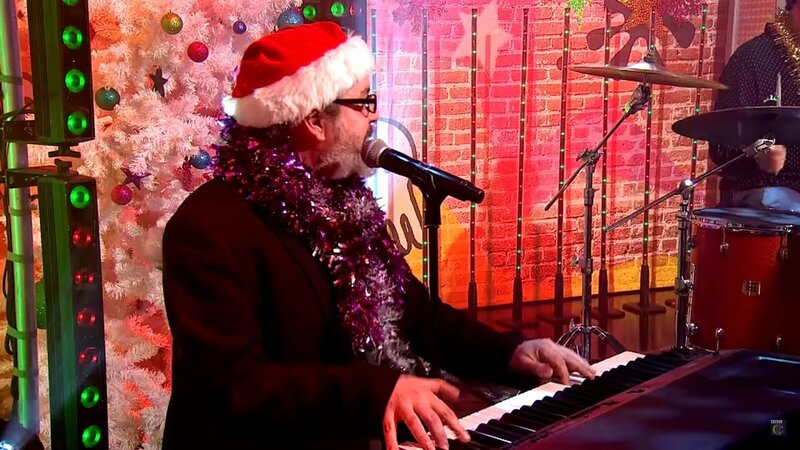 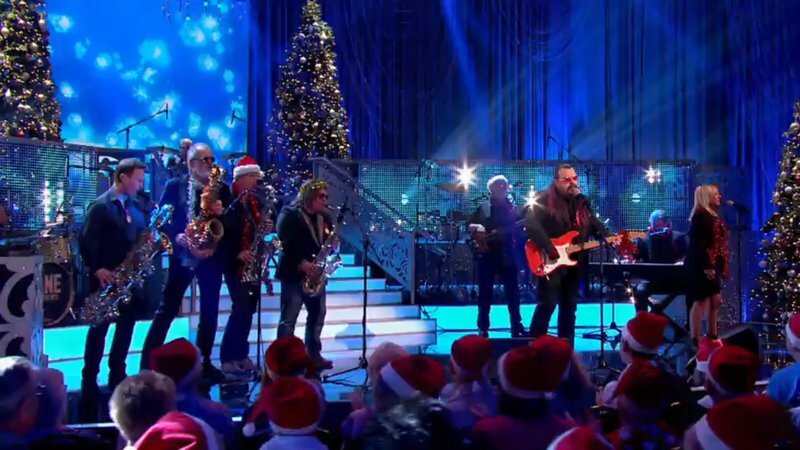 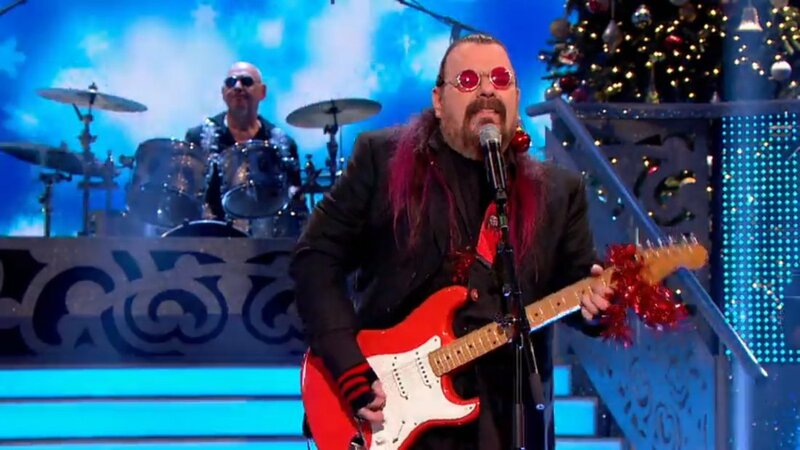 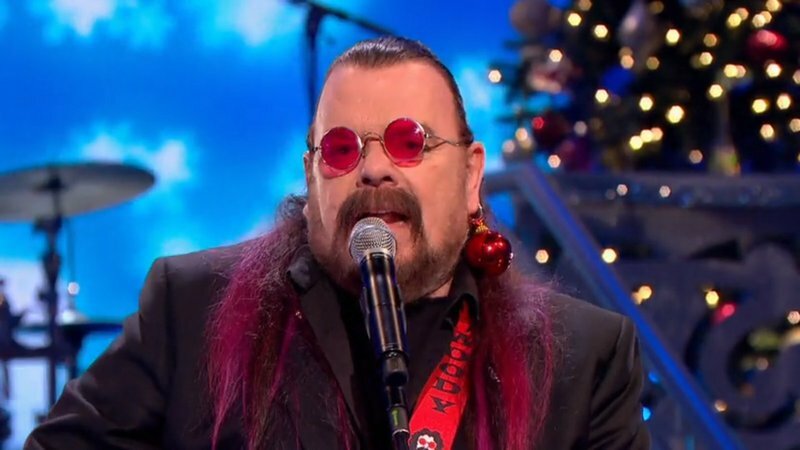 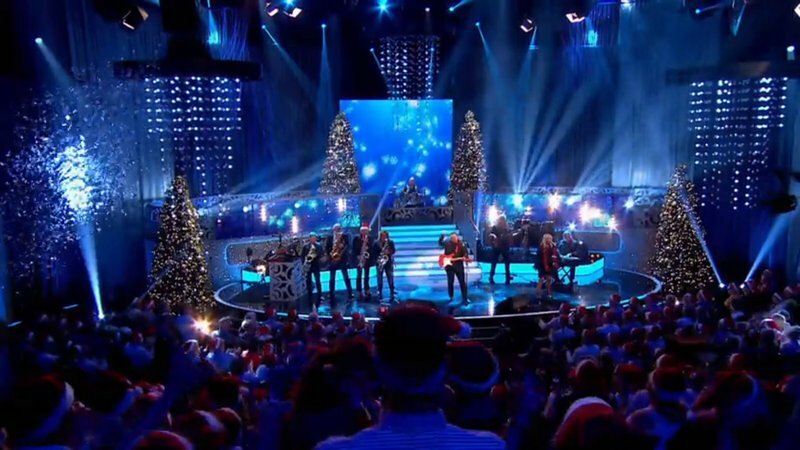 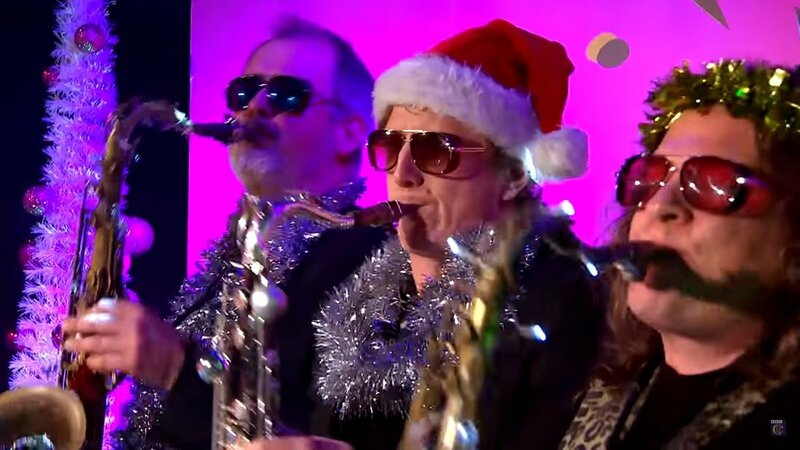 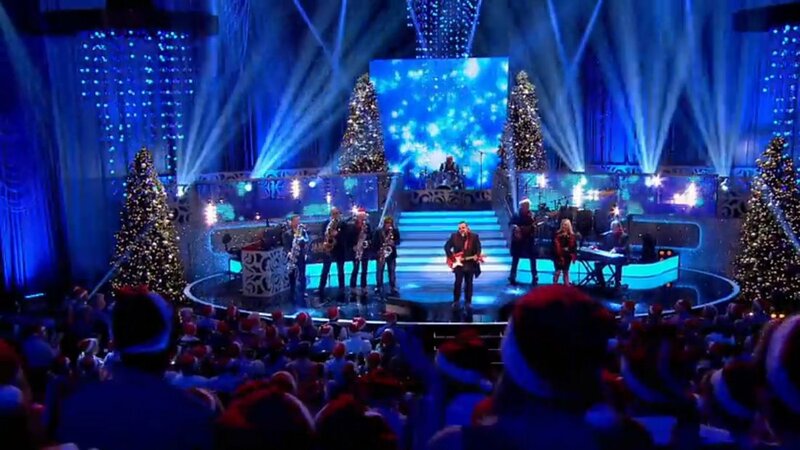 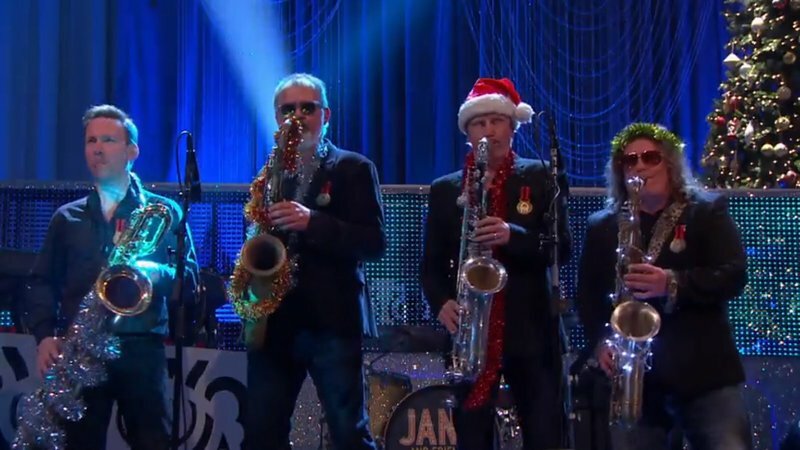 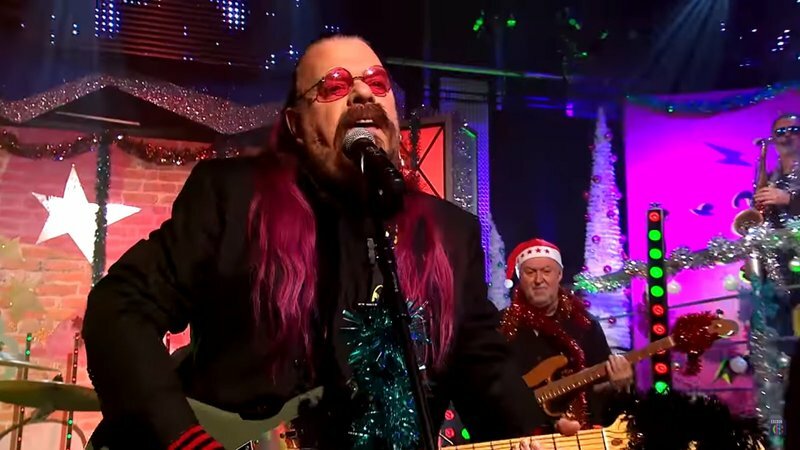 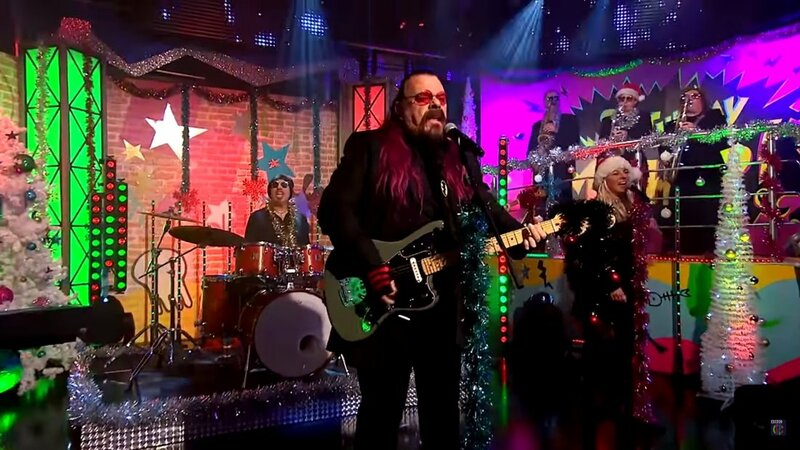 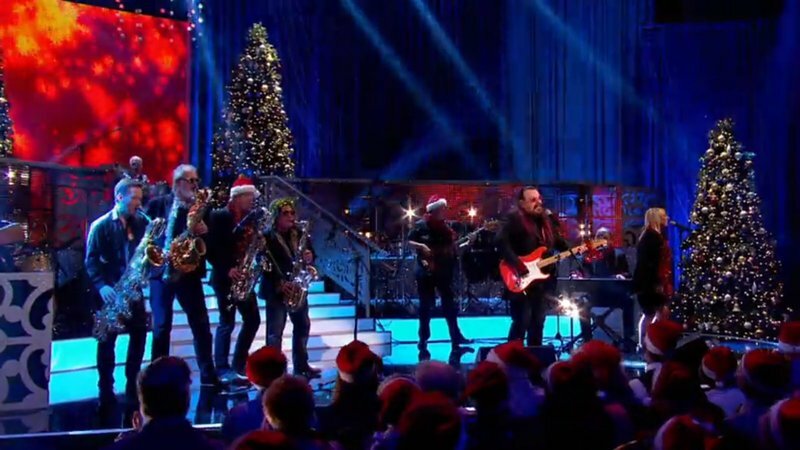 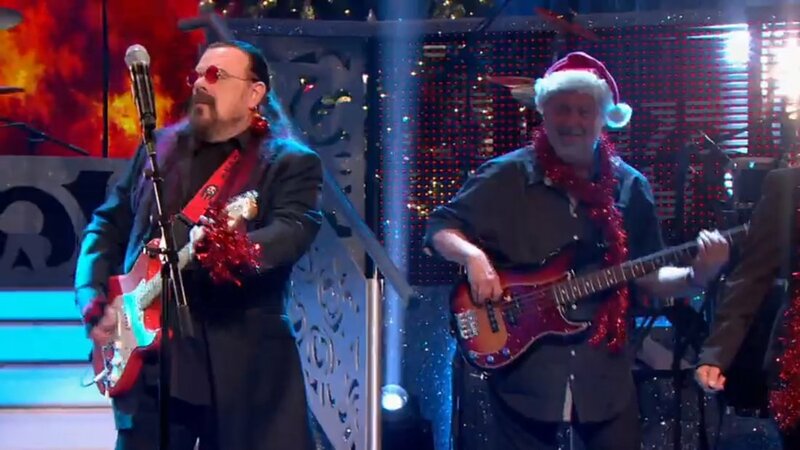 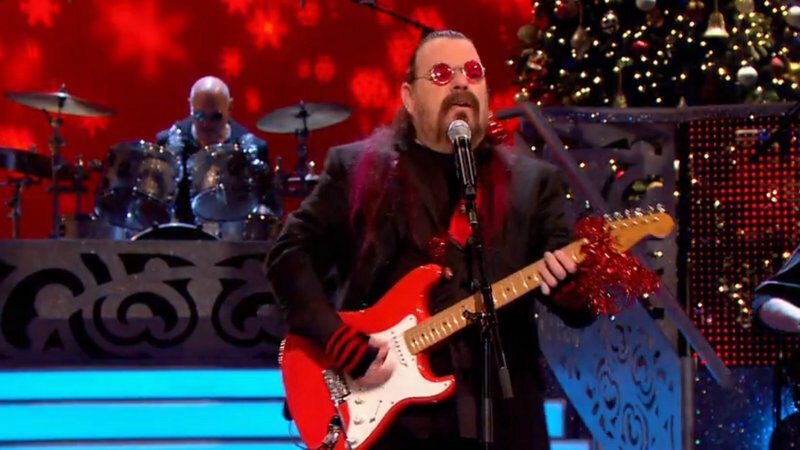 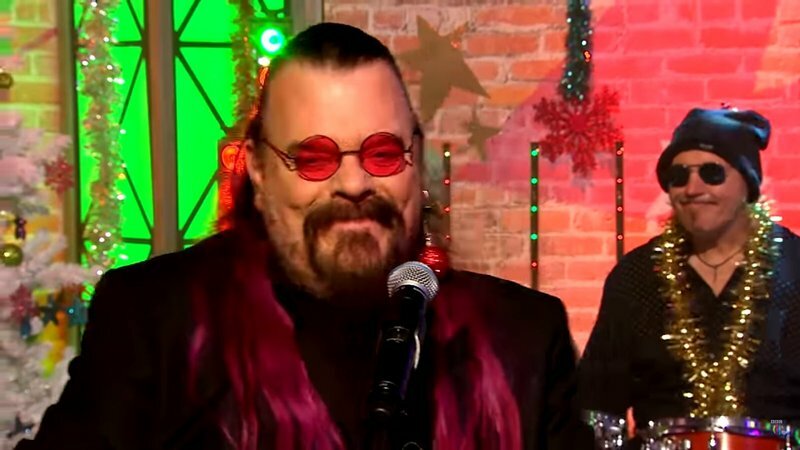 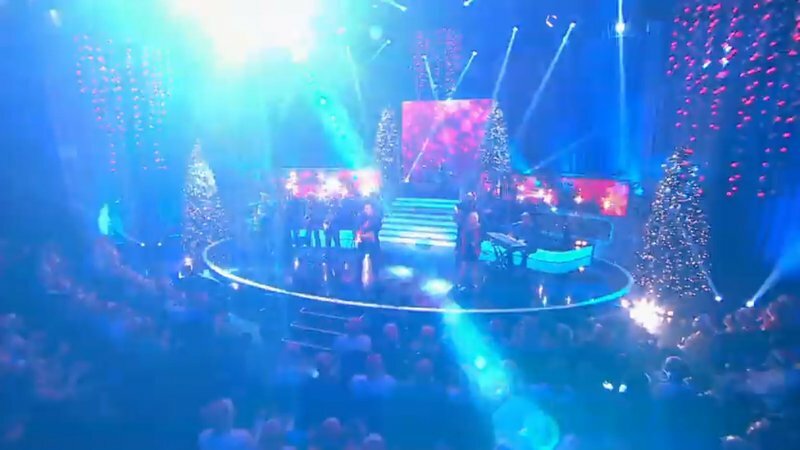 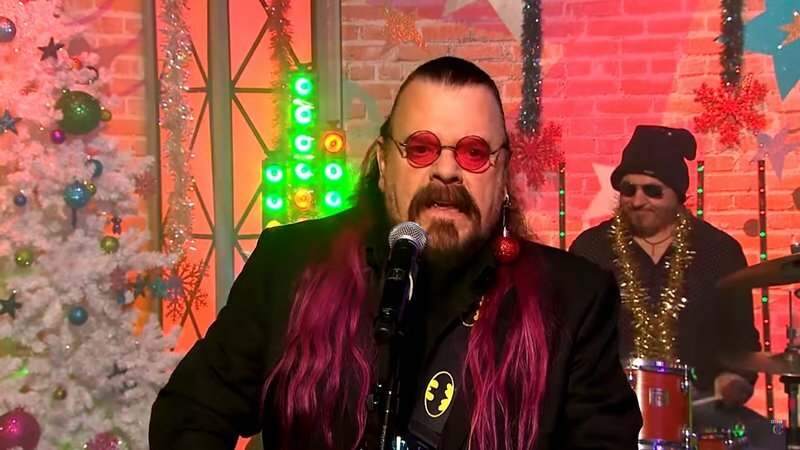 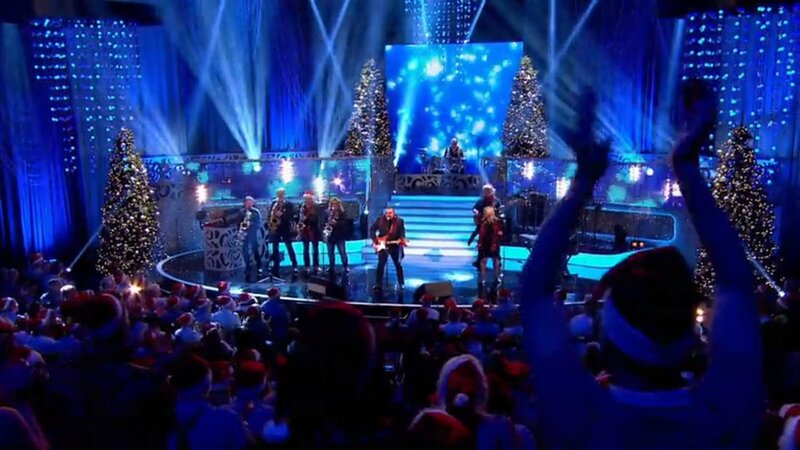 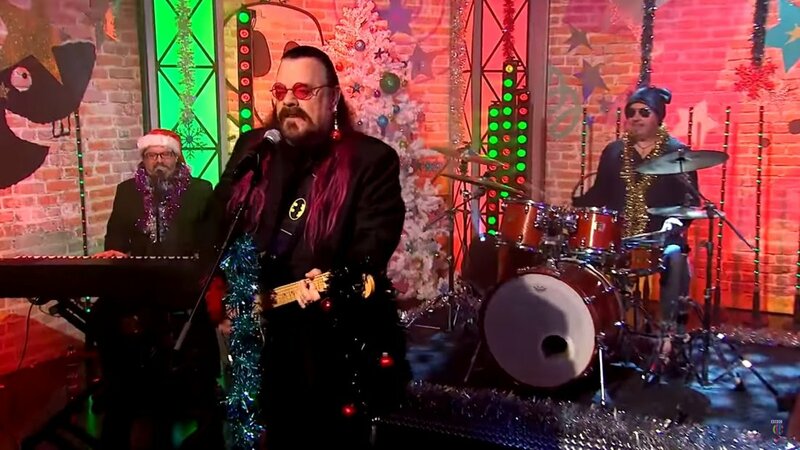 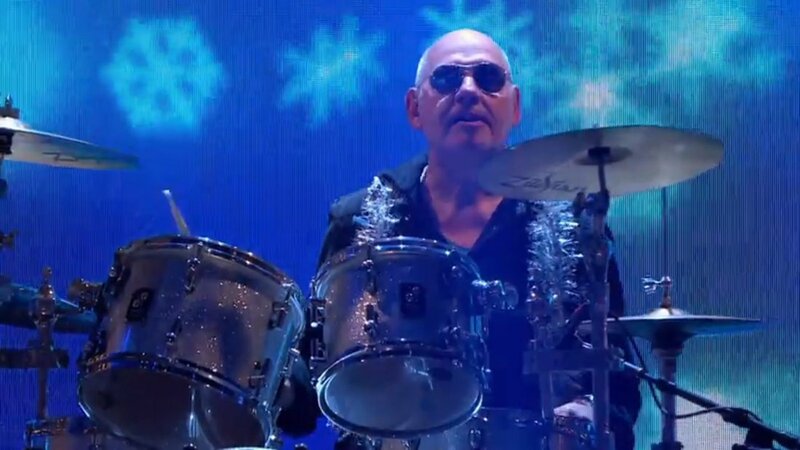 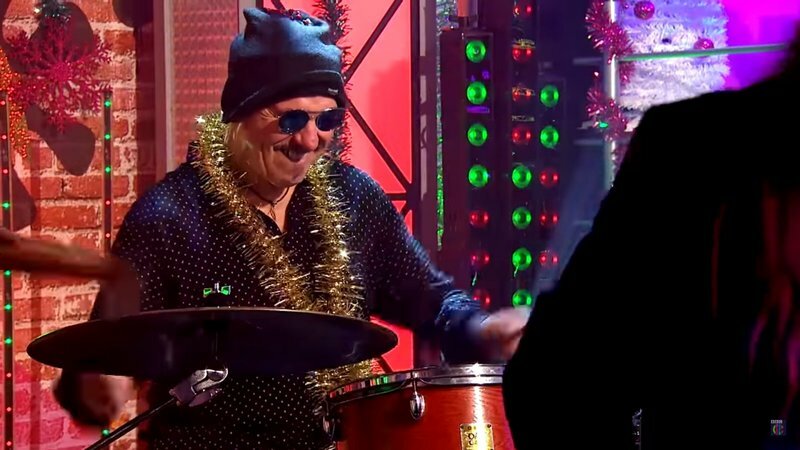 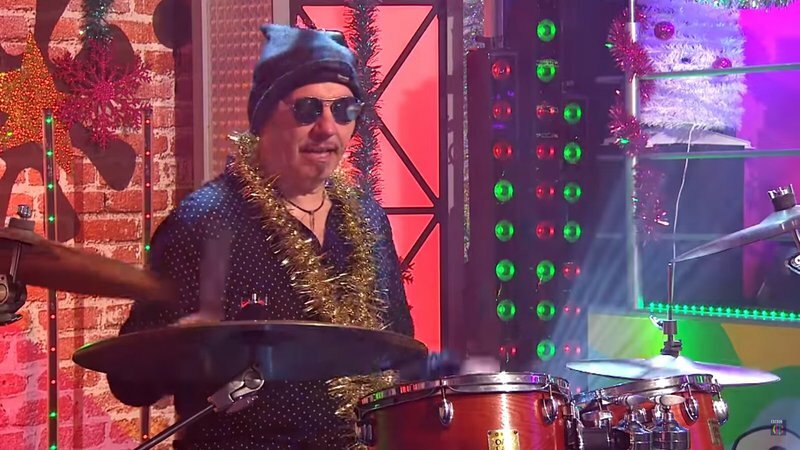 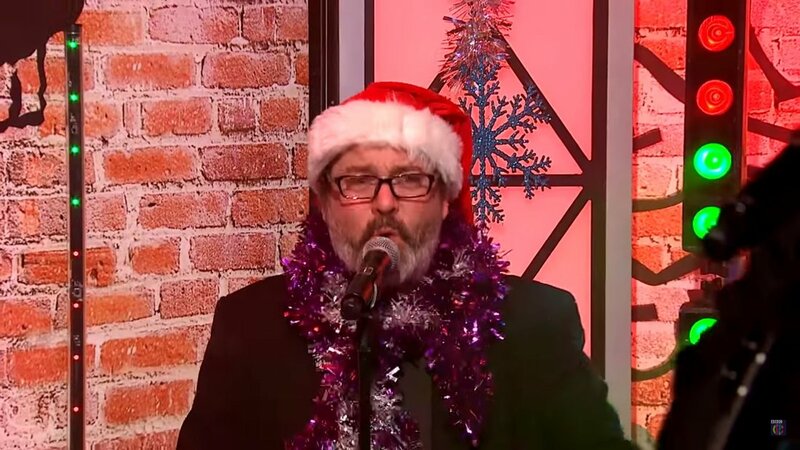 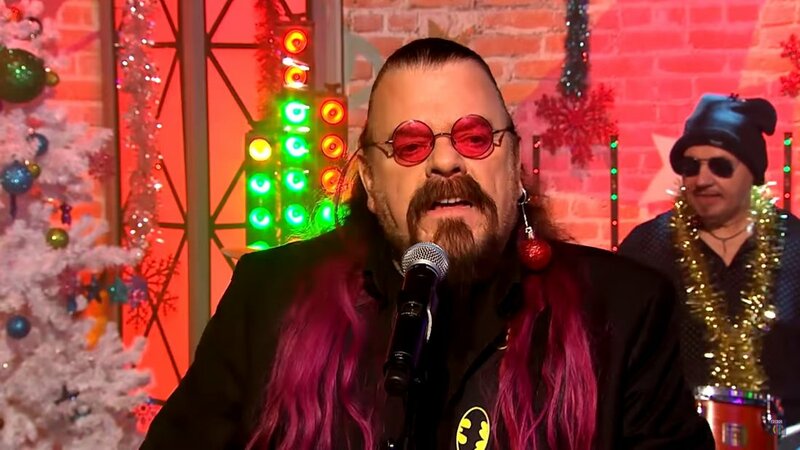 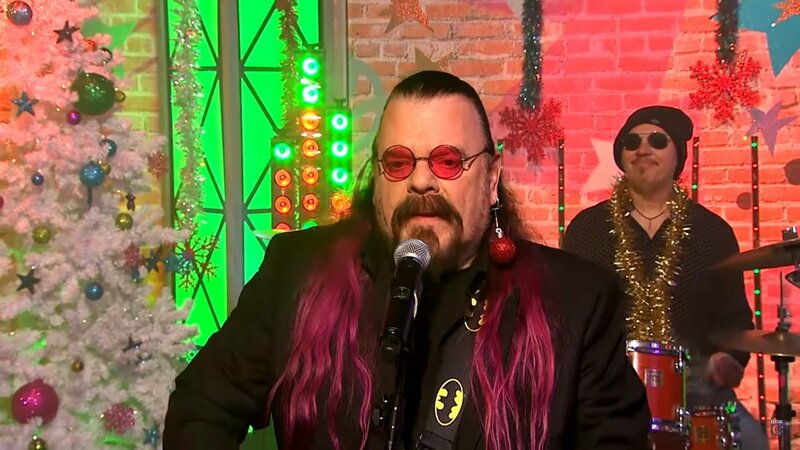 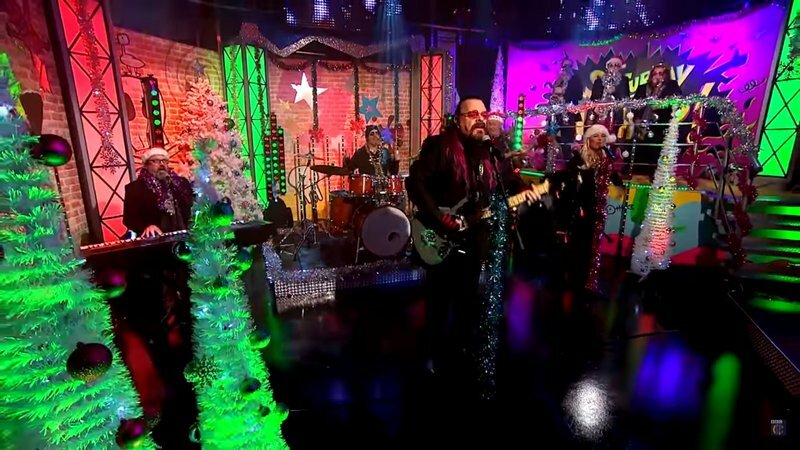 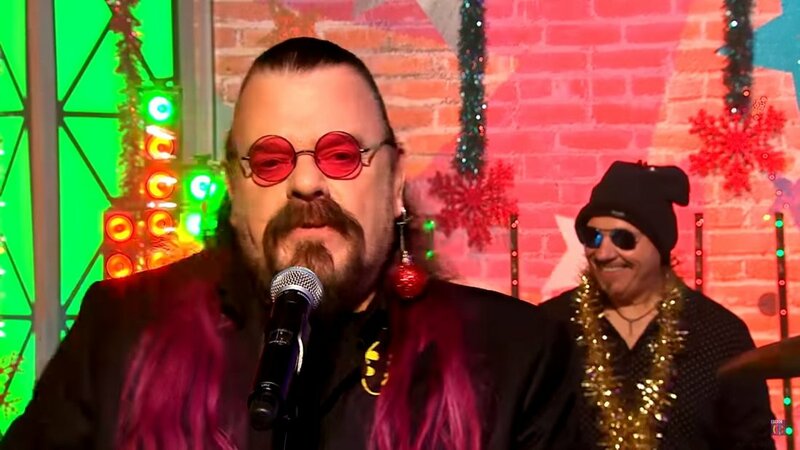 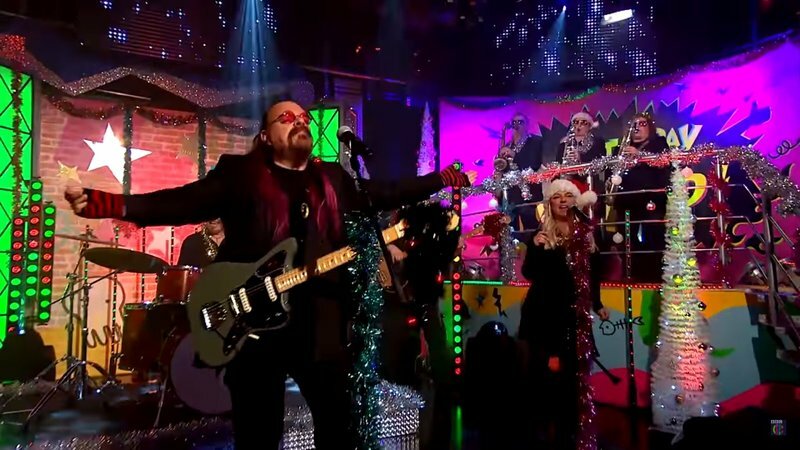 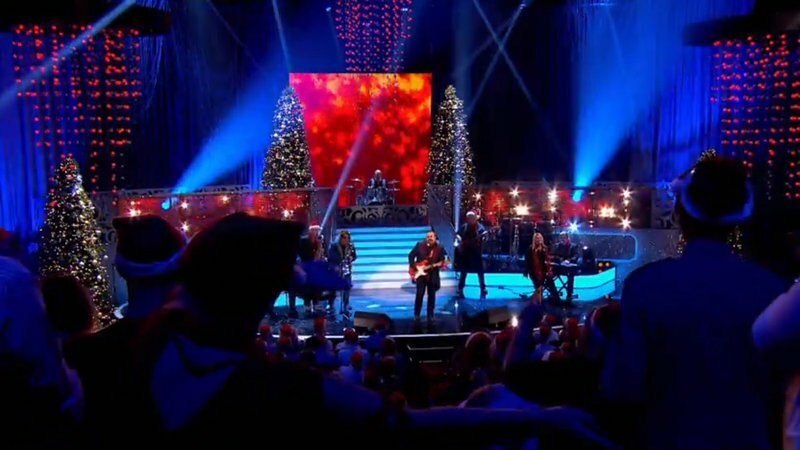 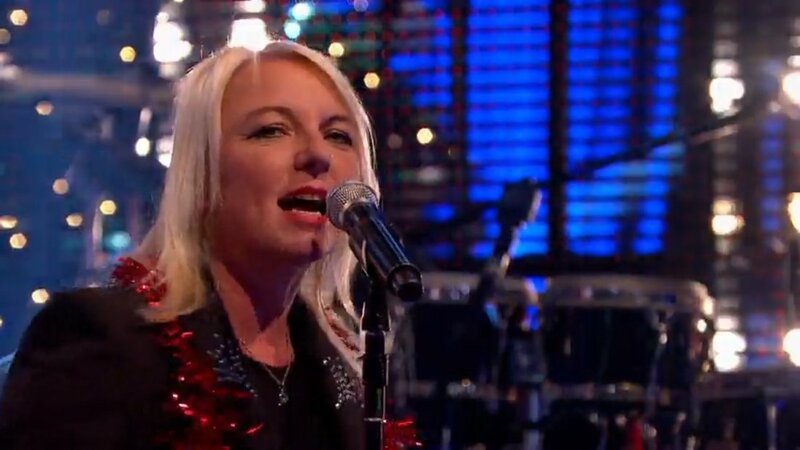 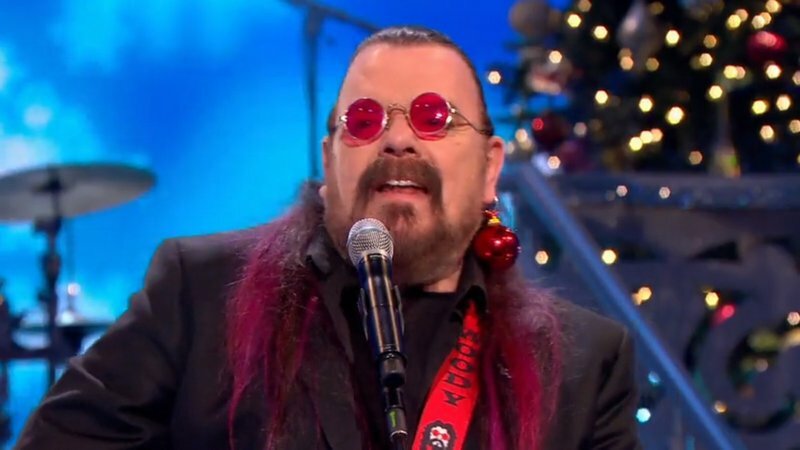 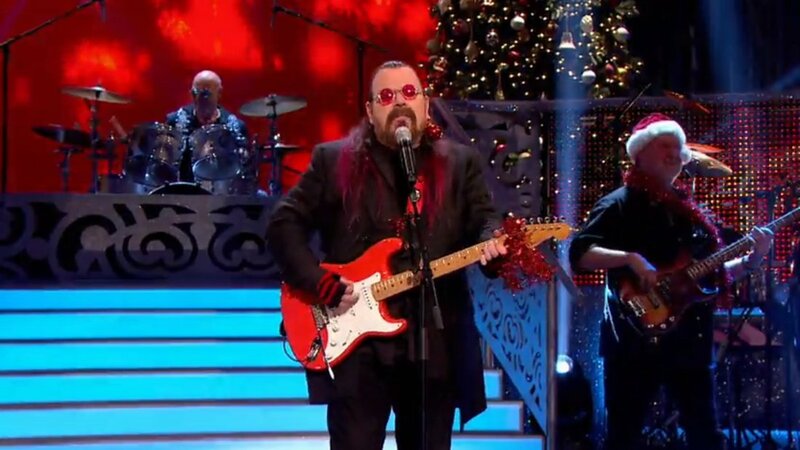 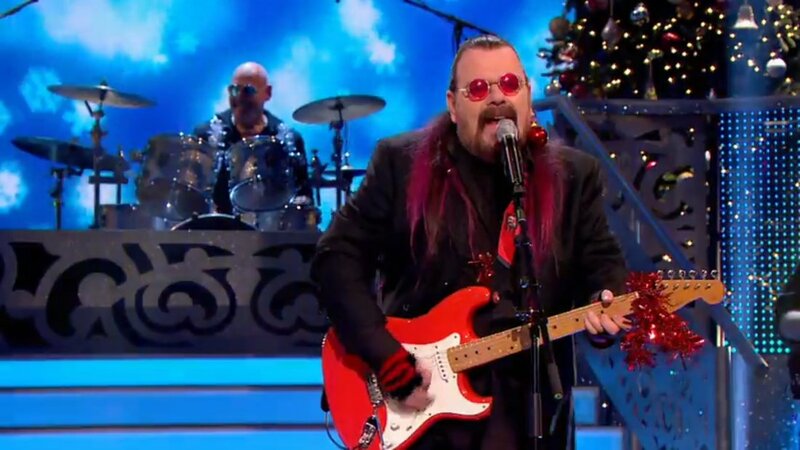 Some screen shots of Roy Wood's Rock & Roll Band performing 'I Wish It Could Be Christmas Everyday' on Saturday Mash-Up on CBBC and on Jane McDonald's Christmas & Friends Special on Channel 5, both broadcast on Saturday 22nd December. 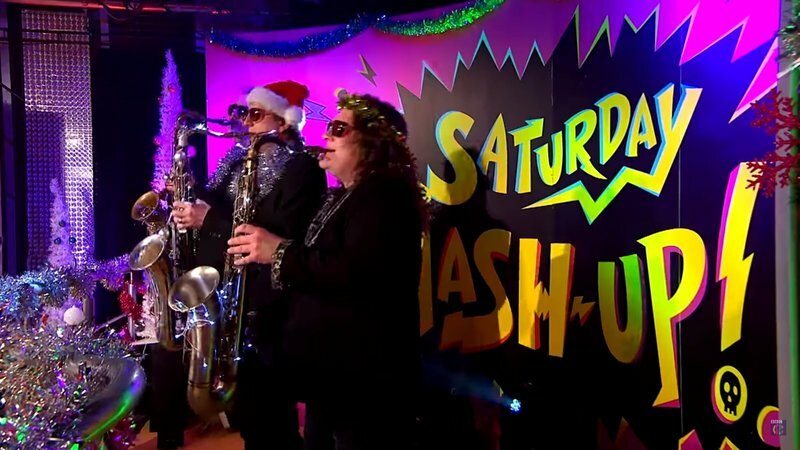 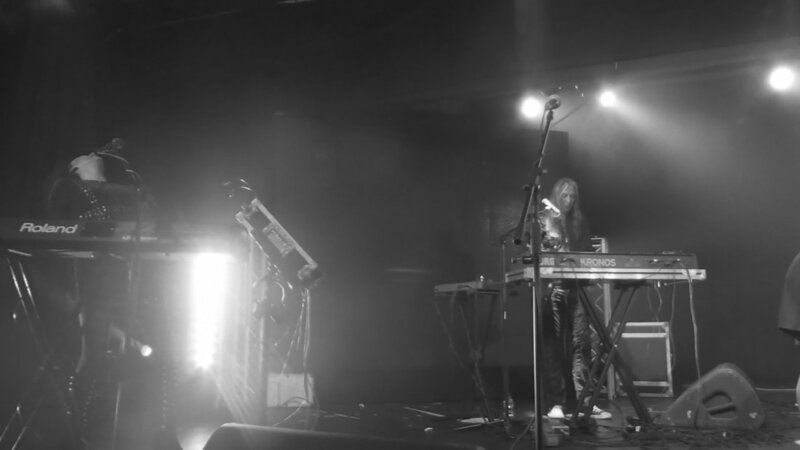 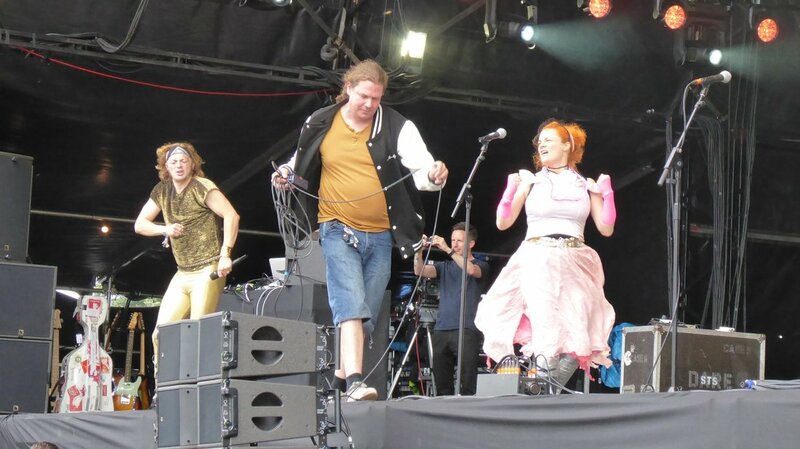 The video of the bands appearance on Saturday Mash-up can be viewed on Youtube here. 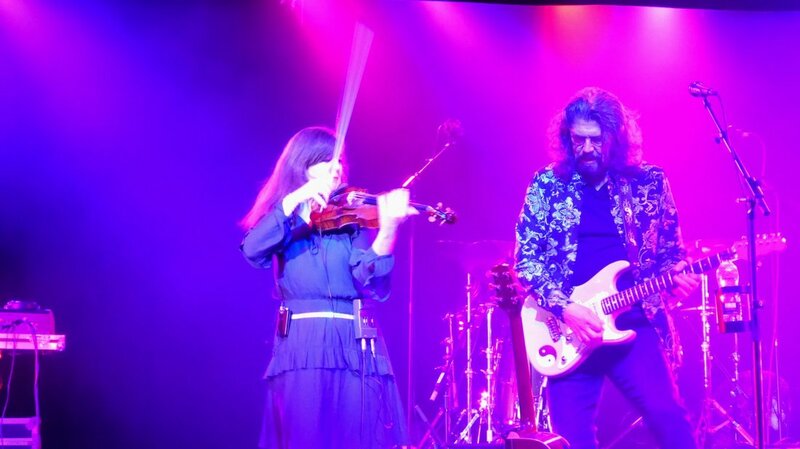 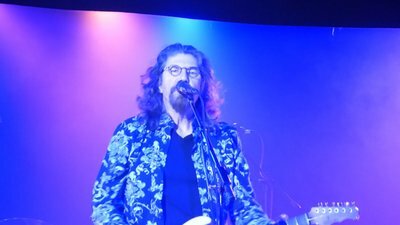 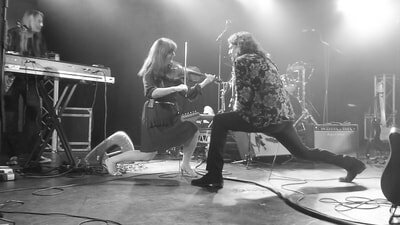 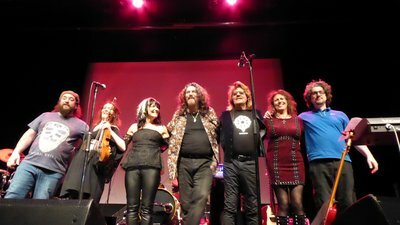 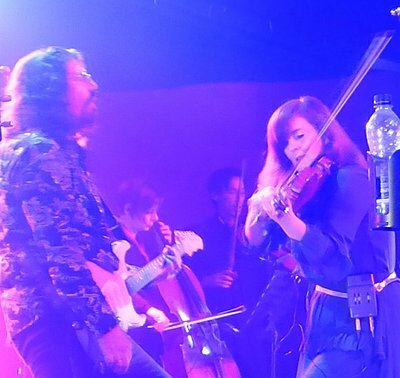 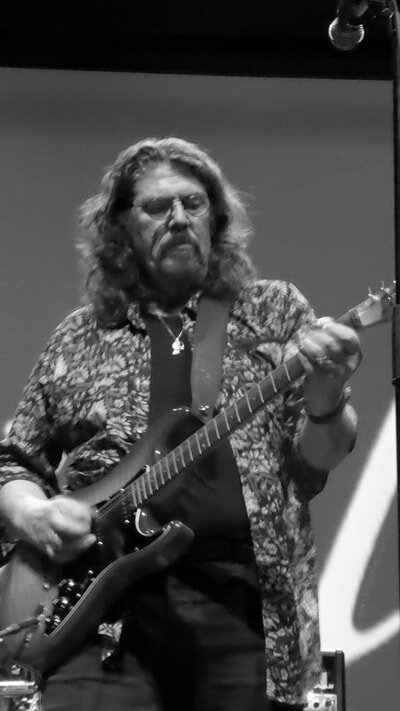 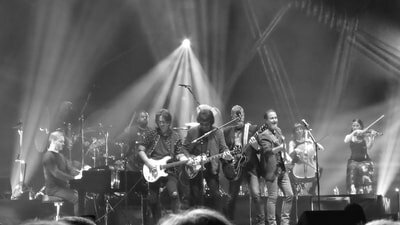 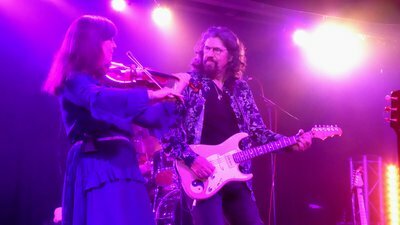 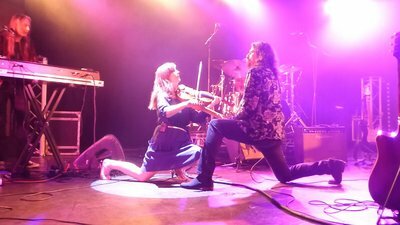 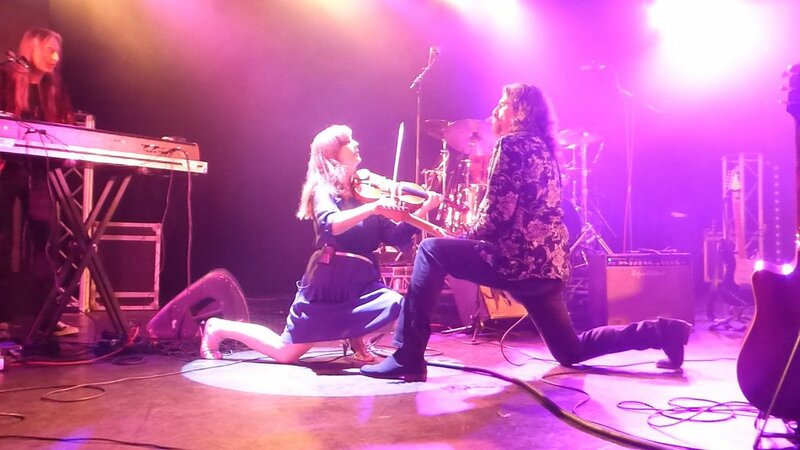 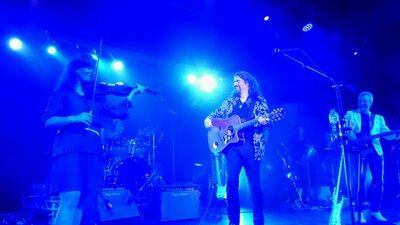 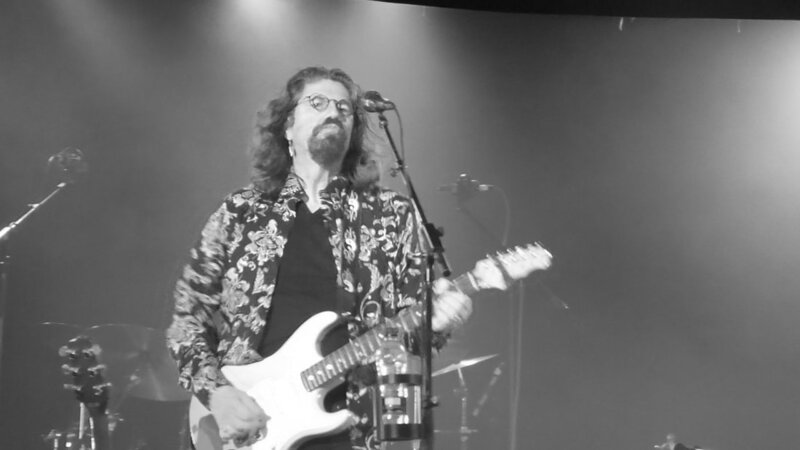 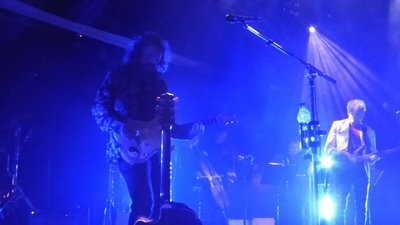 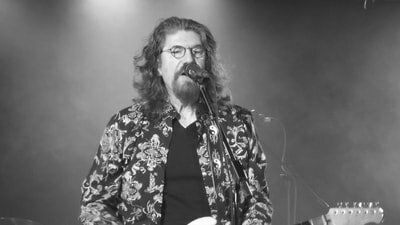 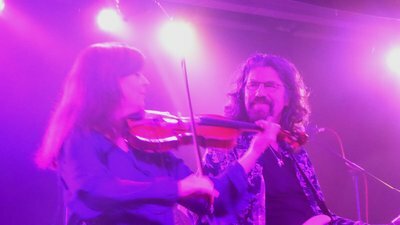 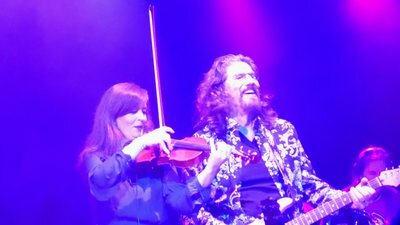 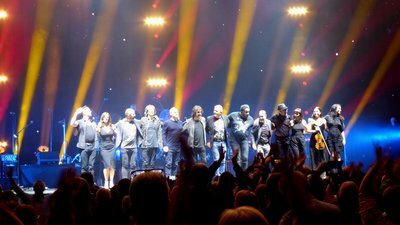 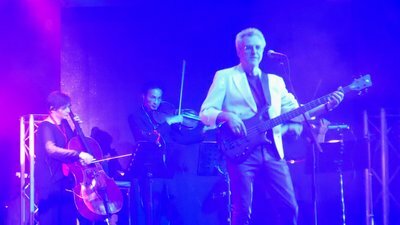 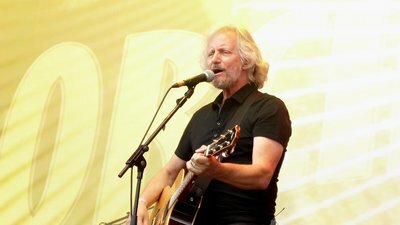 A first-ever U.K. concert for Phil Bates Band with the Berlin String Ensemble performing the Music of E.L.O. 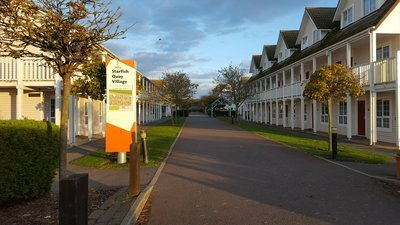 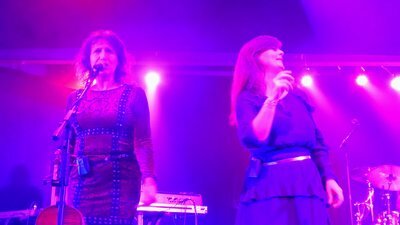 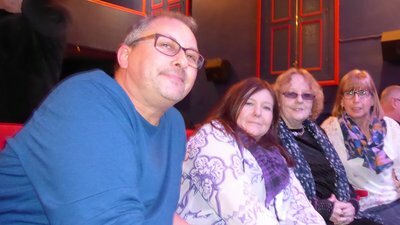 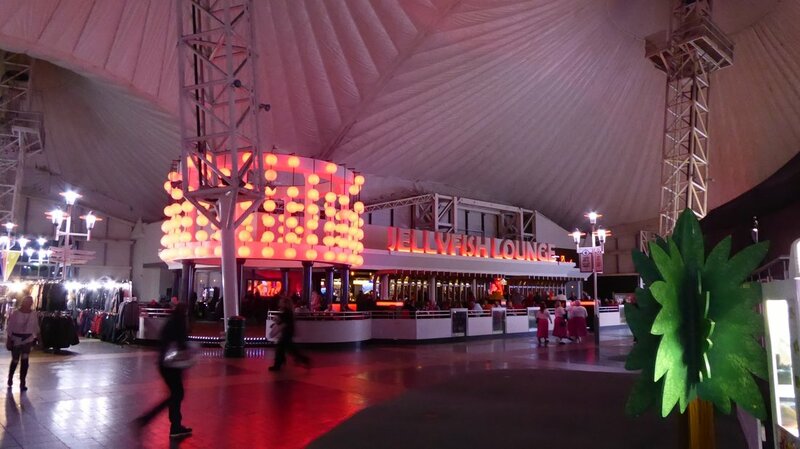 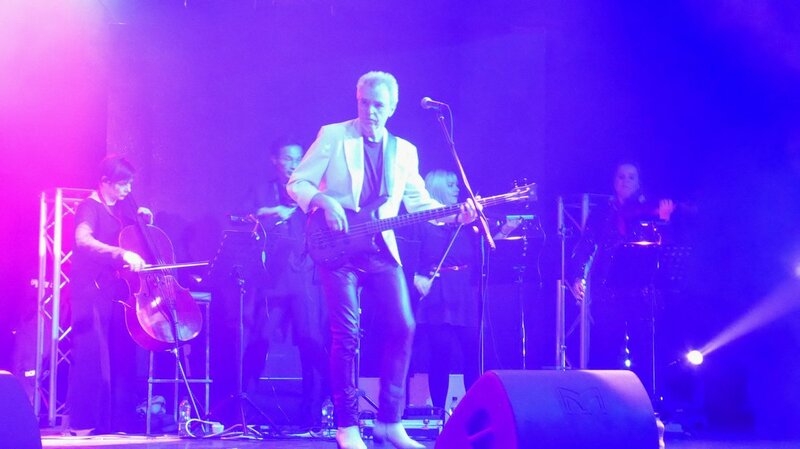 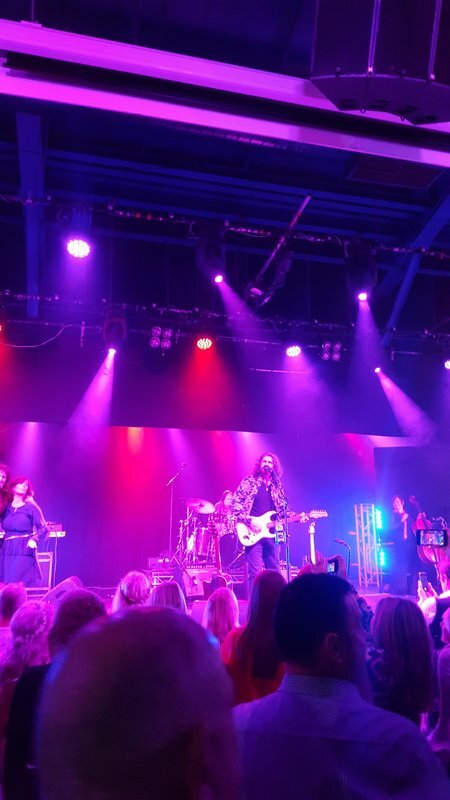 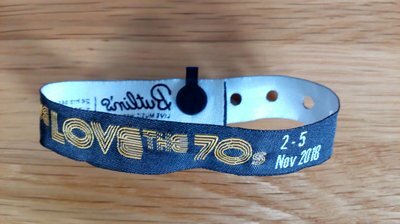 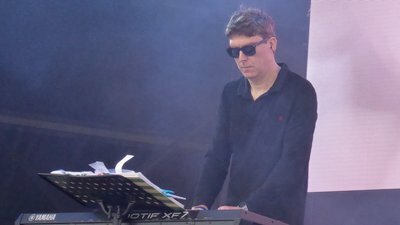 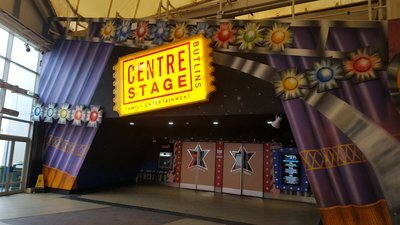 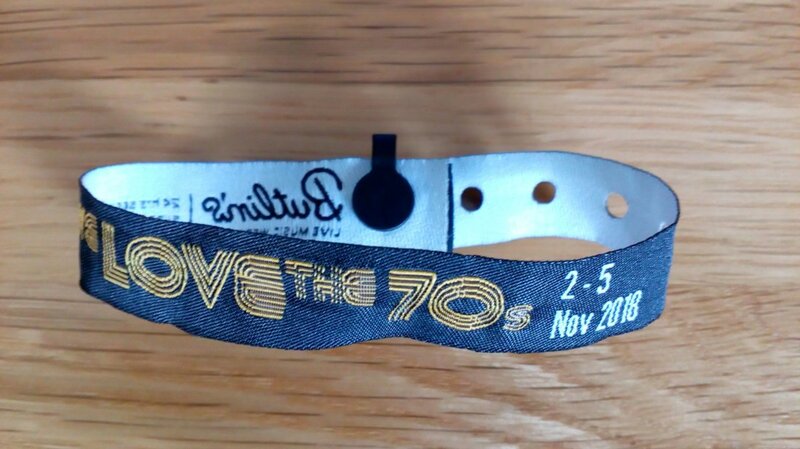 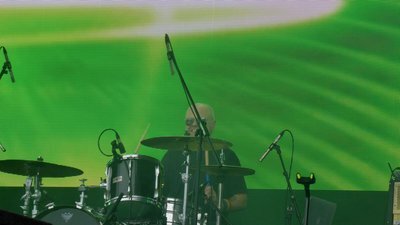 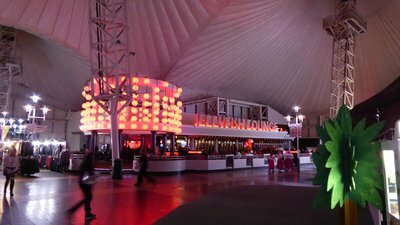 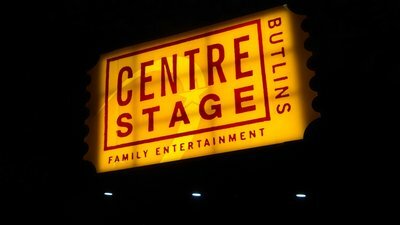 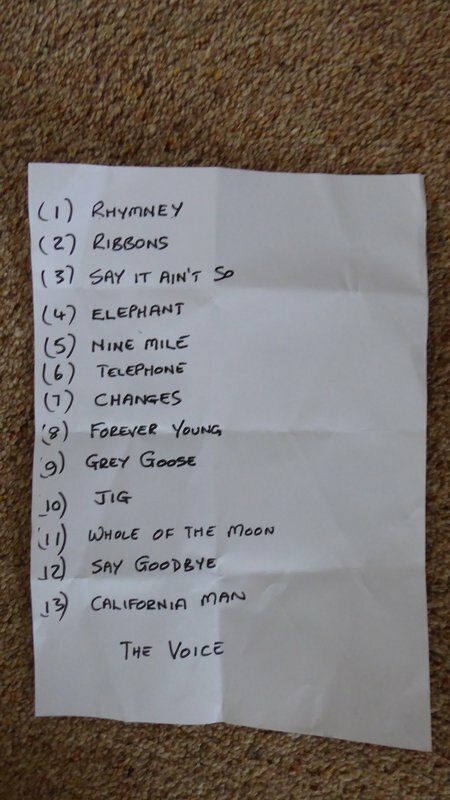 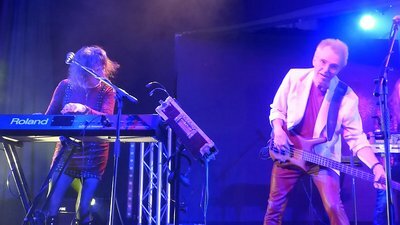 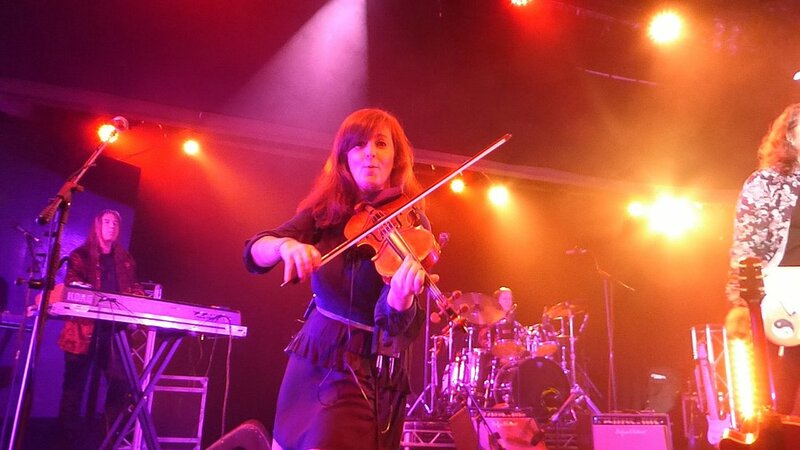 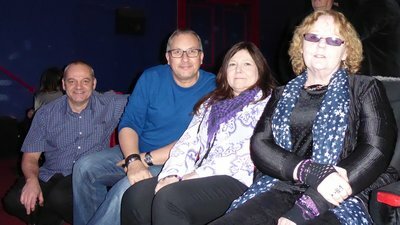 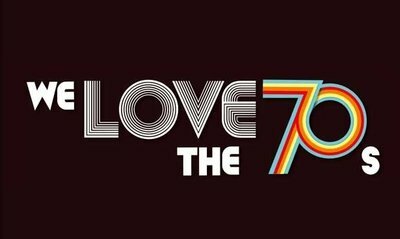 The band had two Sunday afternoon sets booked for the sold-out 'We Love The 70's' music event held at Butlins, Skegness. 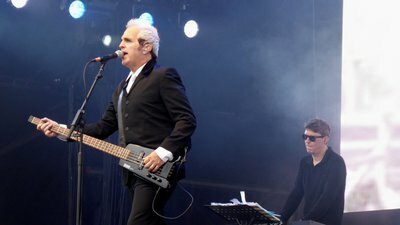 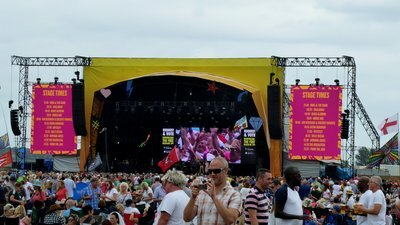 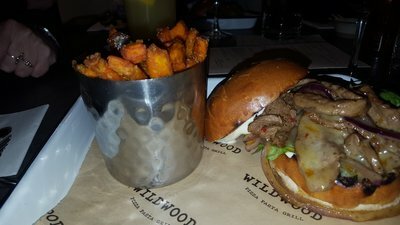 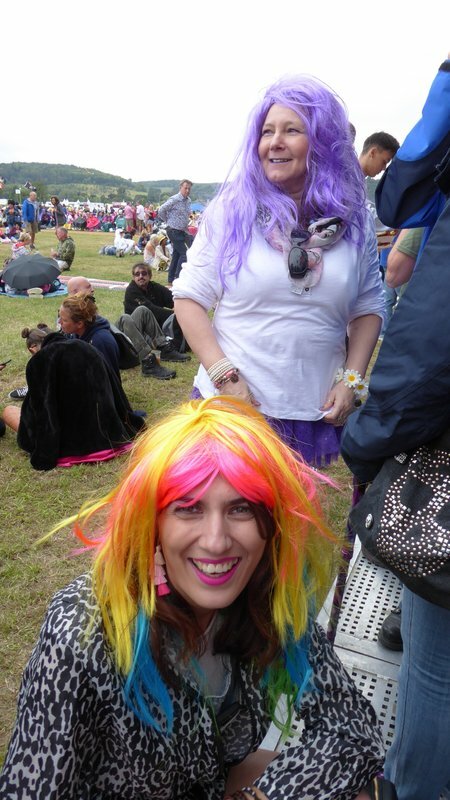 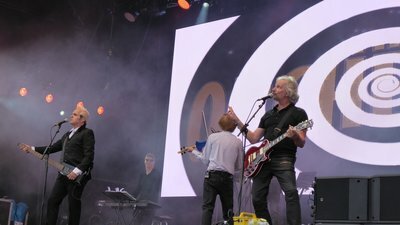 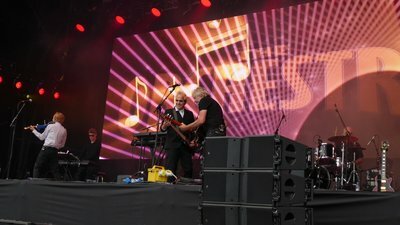 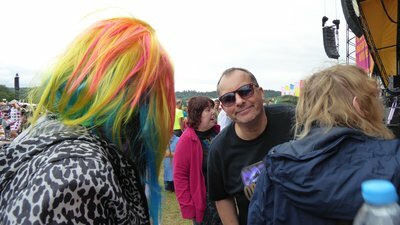 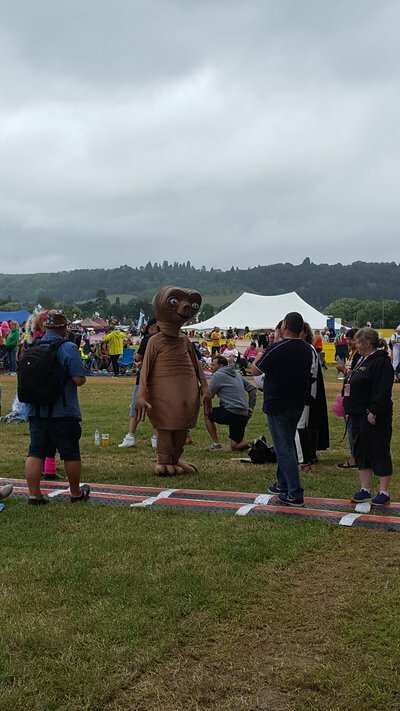 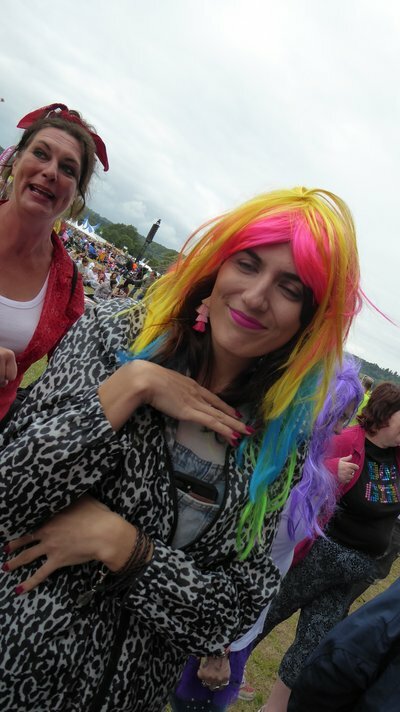 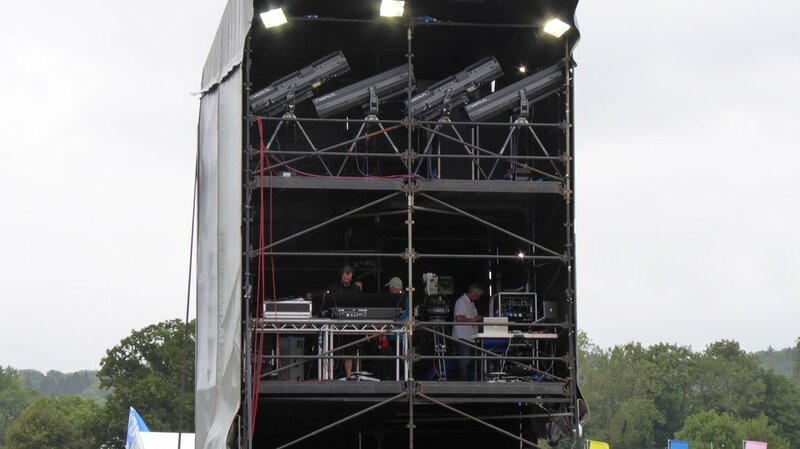 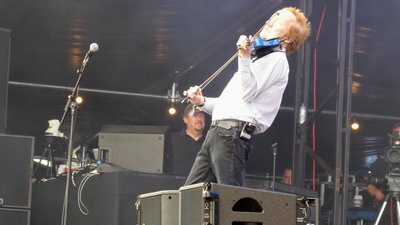 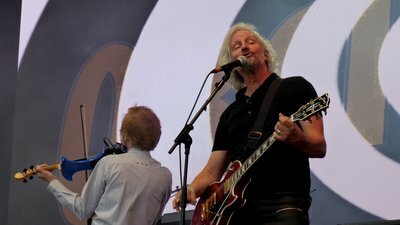 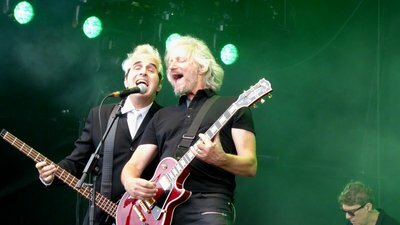 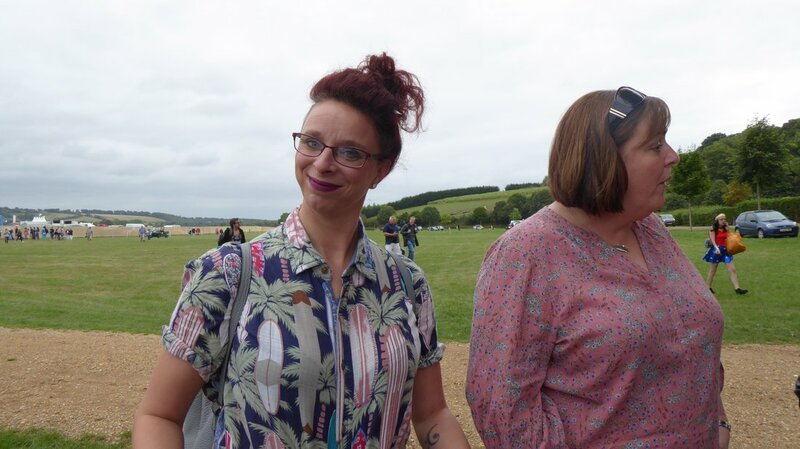 Other bands appearing over the 3 day/night event included Steve Harley & Cockney Rebel, Hello, Mud 2, Slade, Sweet, The Osmonds, The Real Thing, Rubettes, Showaddywaddy & Les McKeown's Bay City Rollers along with many others. 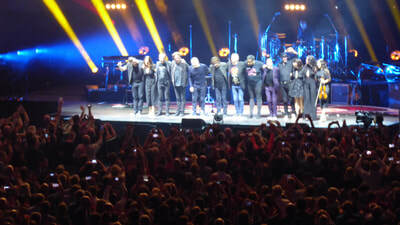 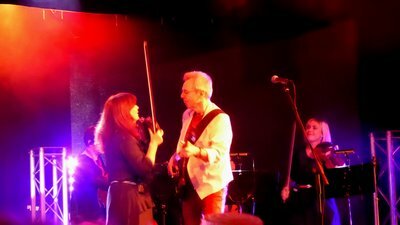 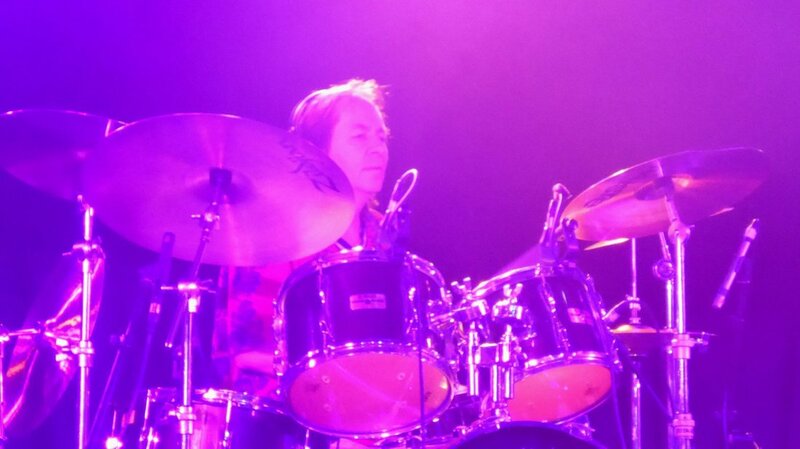 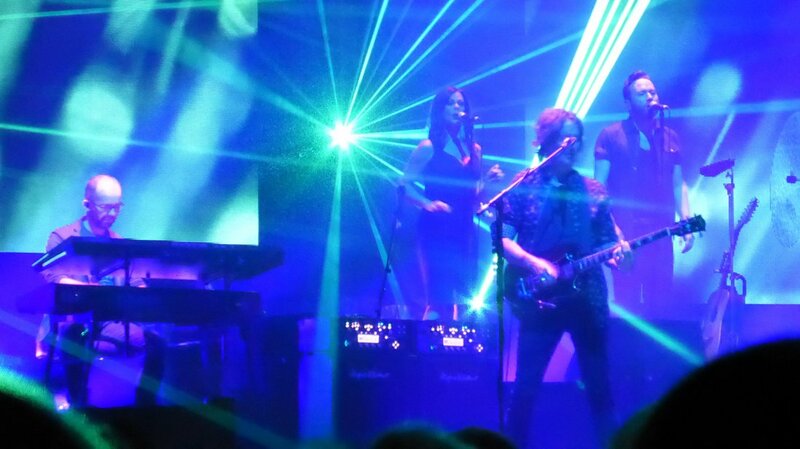 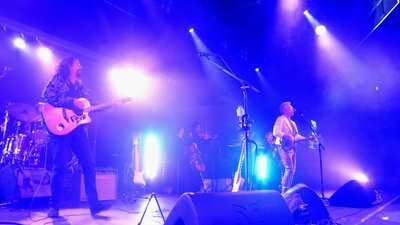 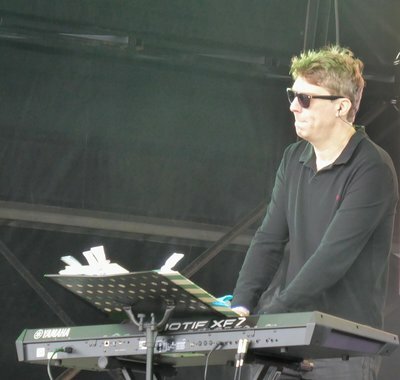 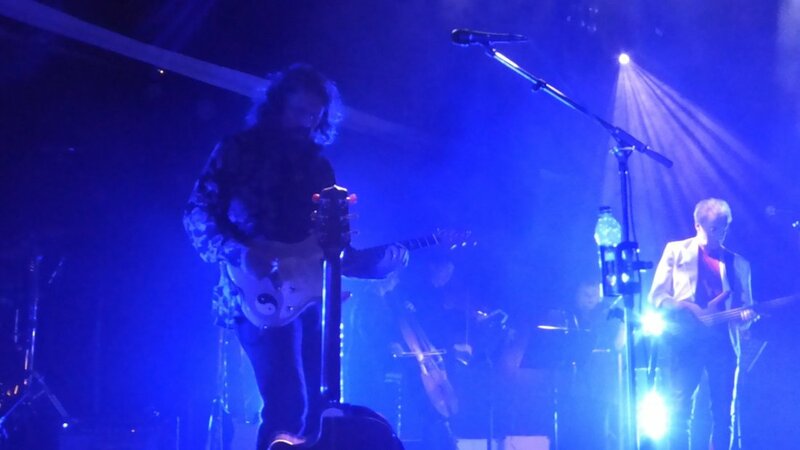 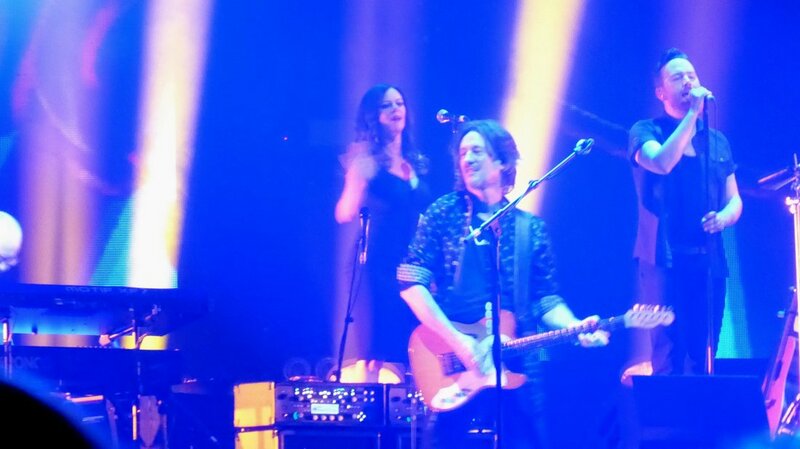 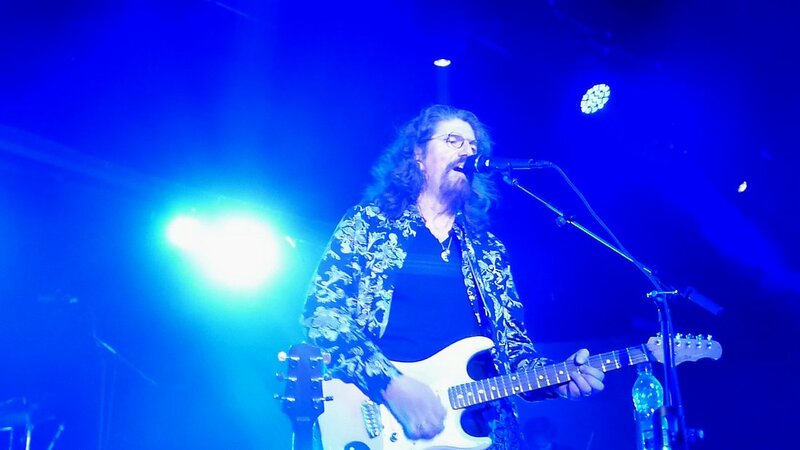 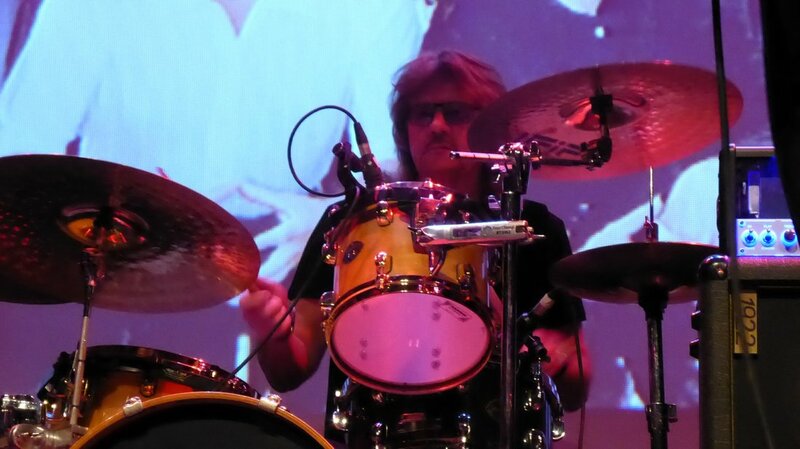 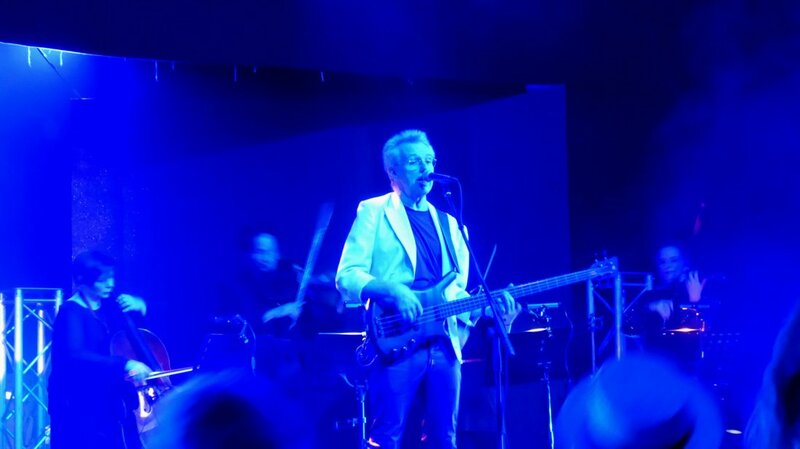 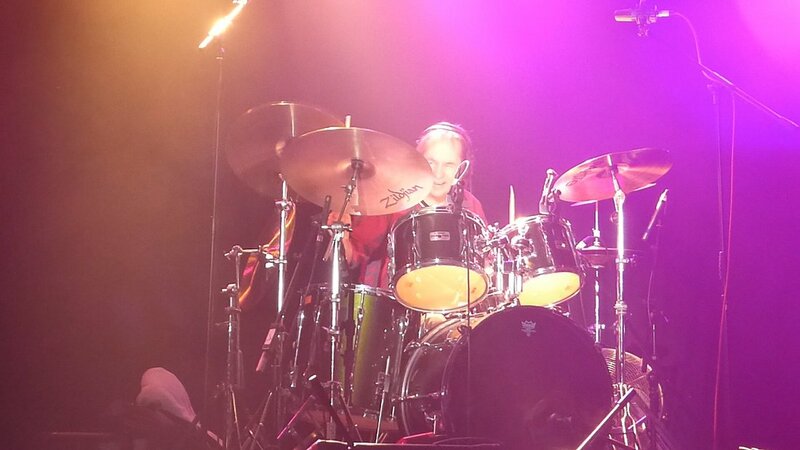 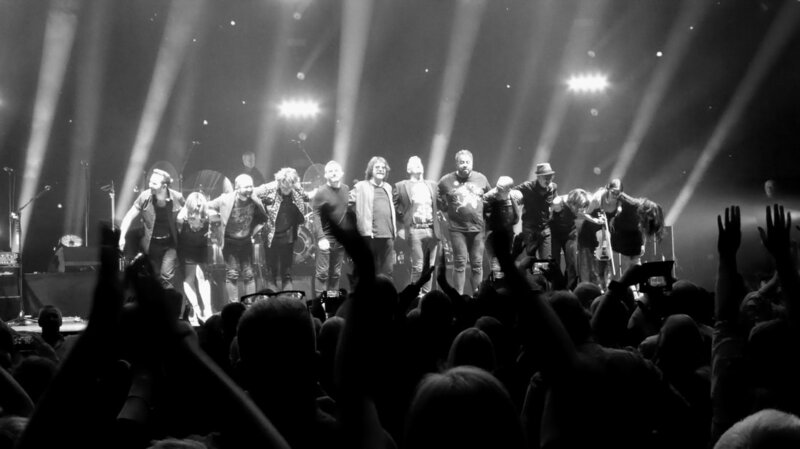 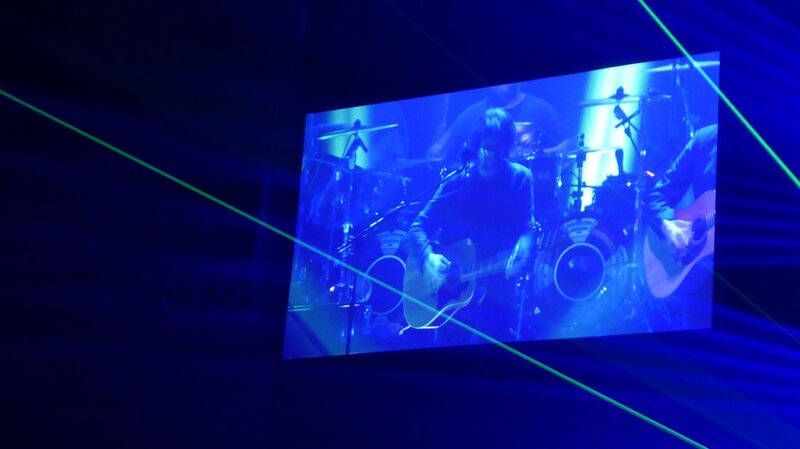 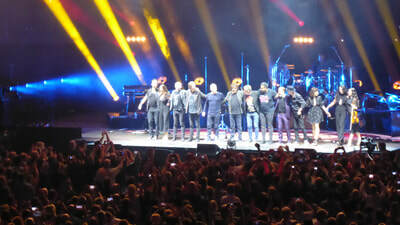 But the audience reaction to Phil's Band was astounding - what a noise and 2 encores!! 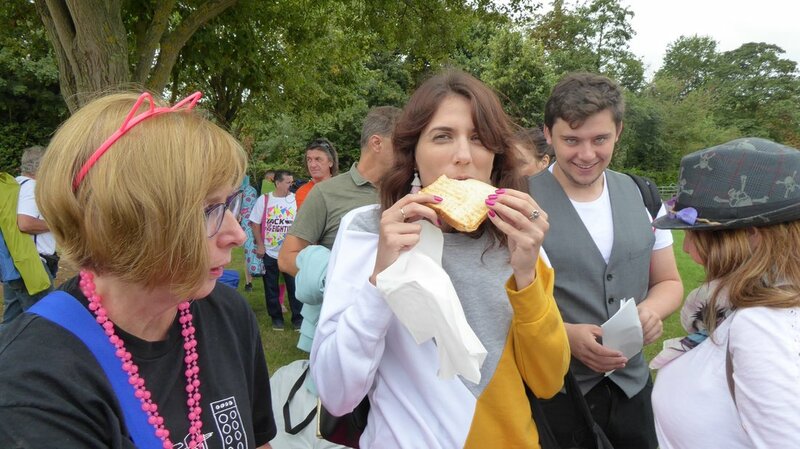 Definitely the highlight of the event in many people's eyes. 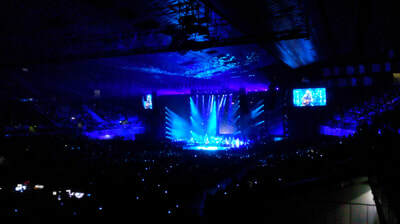 Many thanks to the band for such a great hit-filled show with a wide selection of tracks played including Calling America, Twilight, I'm Alive, Last Train To London, Ticket To The Moon, Xanadu (great vocals by Jo), Confusion with Ralf on vocals, and lively versions of Turn To Stone, Mr Blue Sky (which the crowd nearly took the roof off), and we were deafened by the crowd singing along to the 'last song' Don't Bring Me Down. 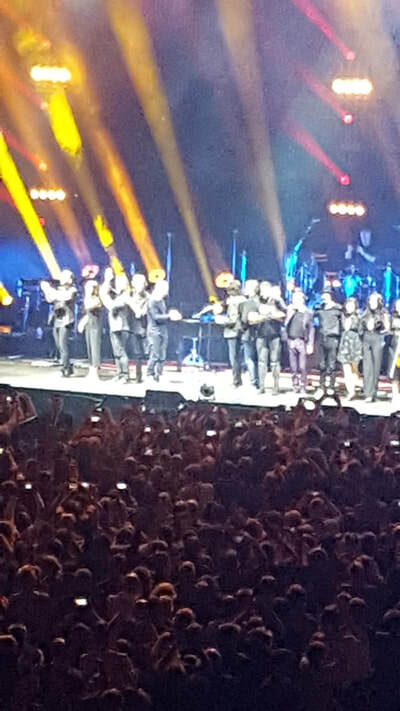 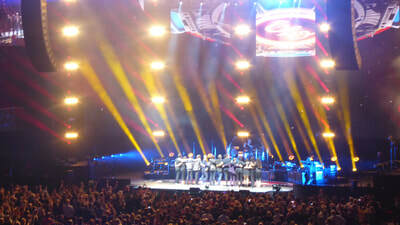 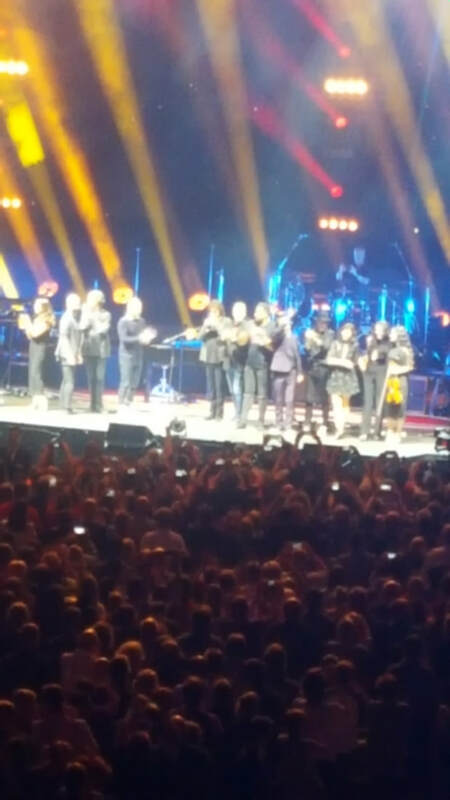 Two encores followed featuring Roll Over Beethoven and then Do Ya. 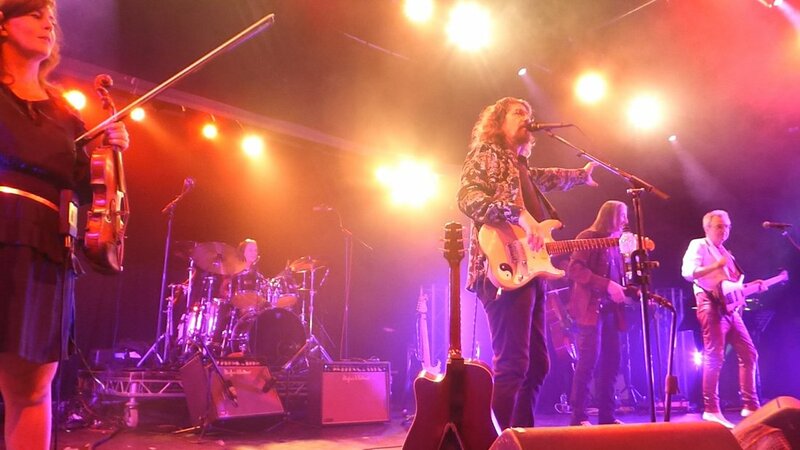 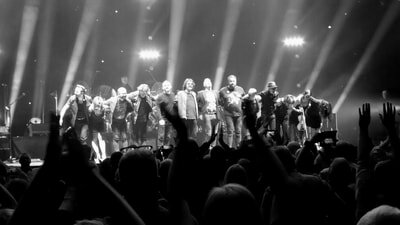 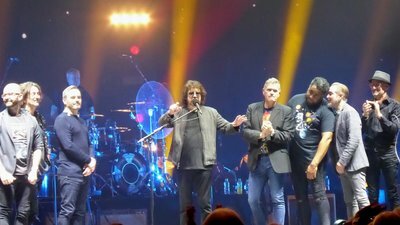 What a great gig, and hopefully a few more U.K dates will follow this superb show. 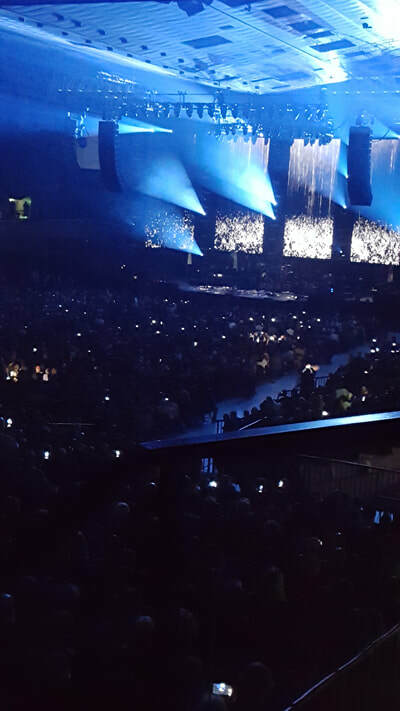 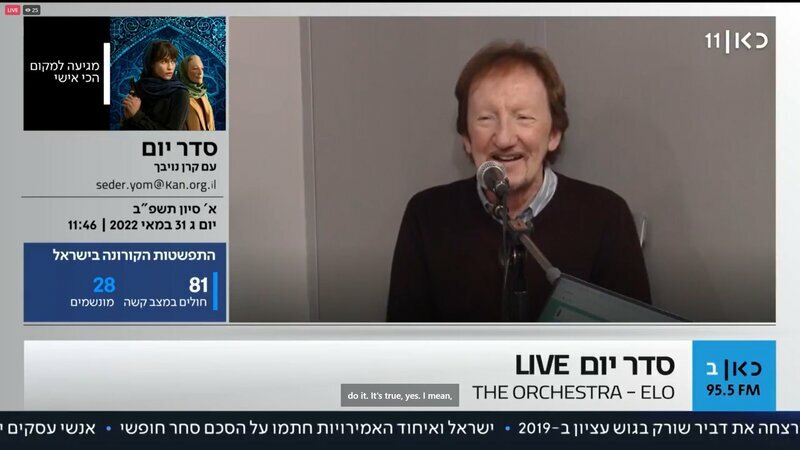 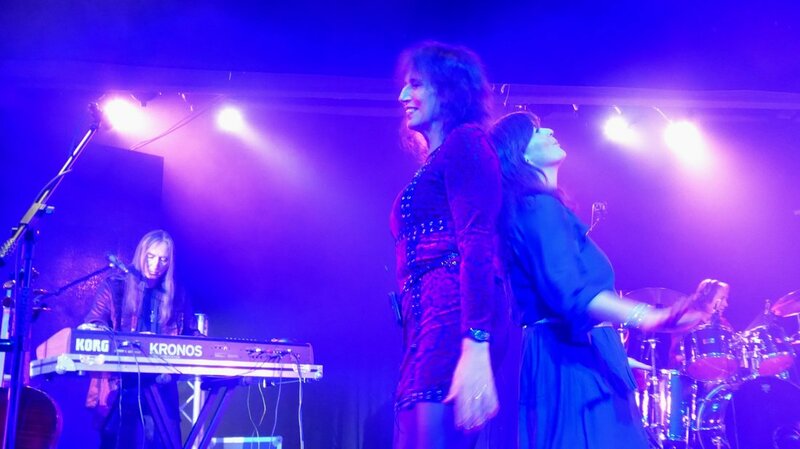 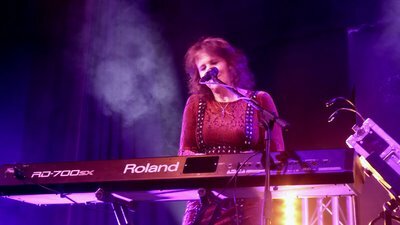 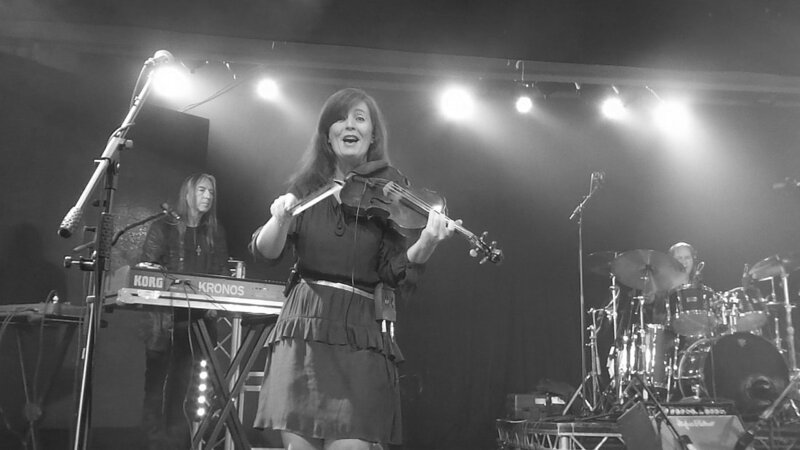 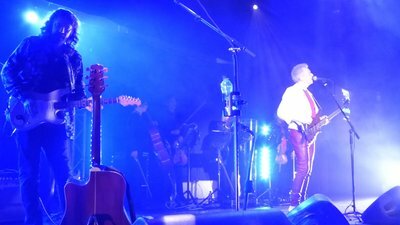 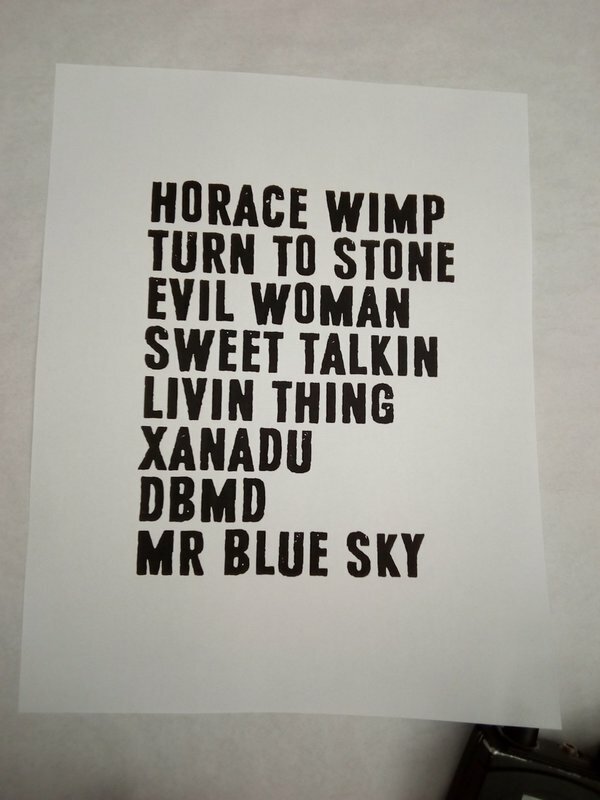 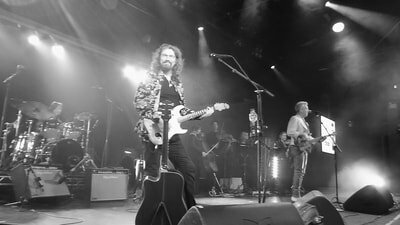 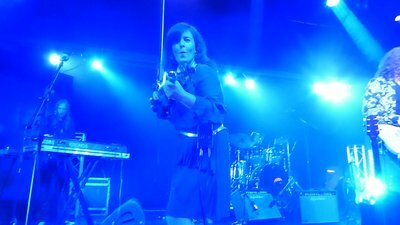 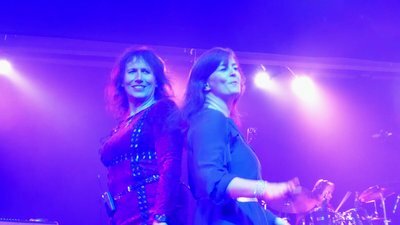 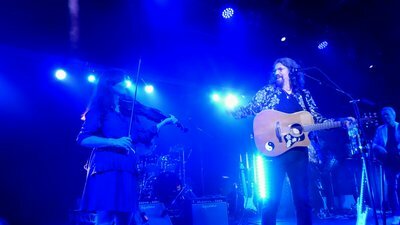 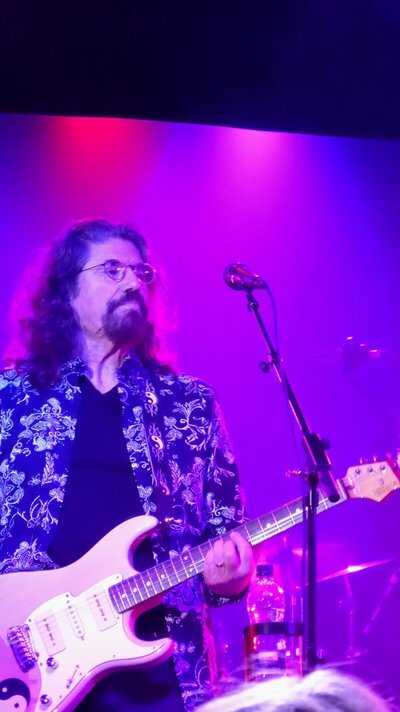 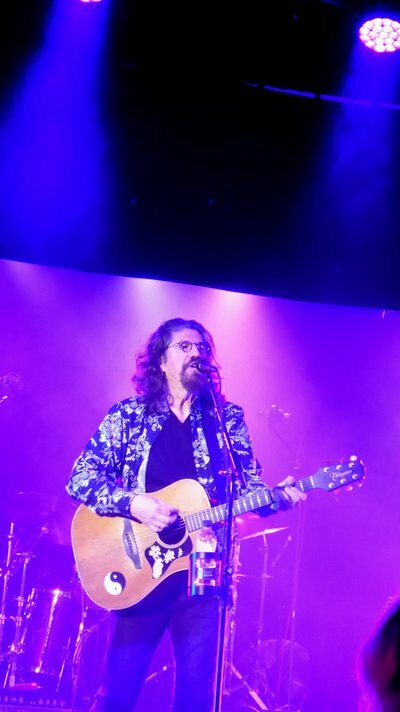 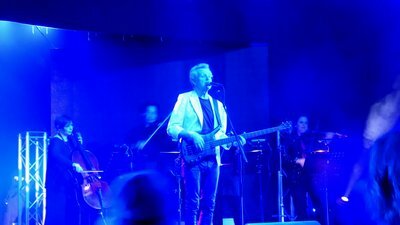 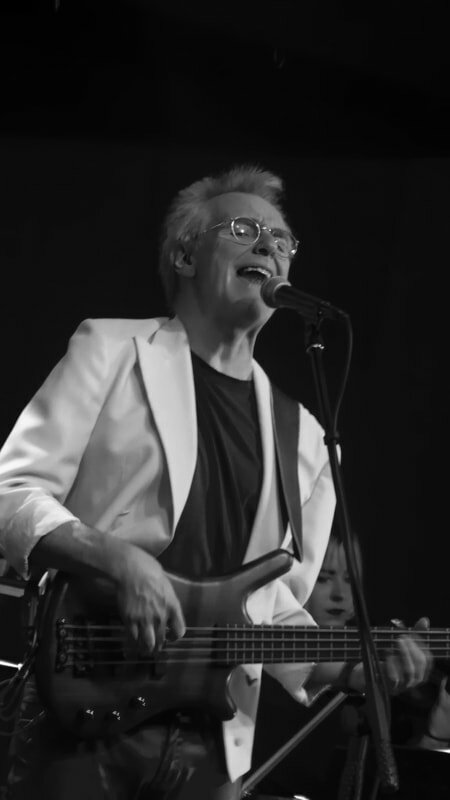 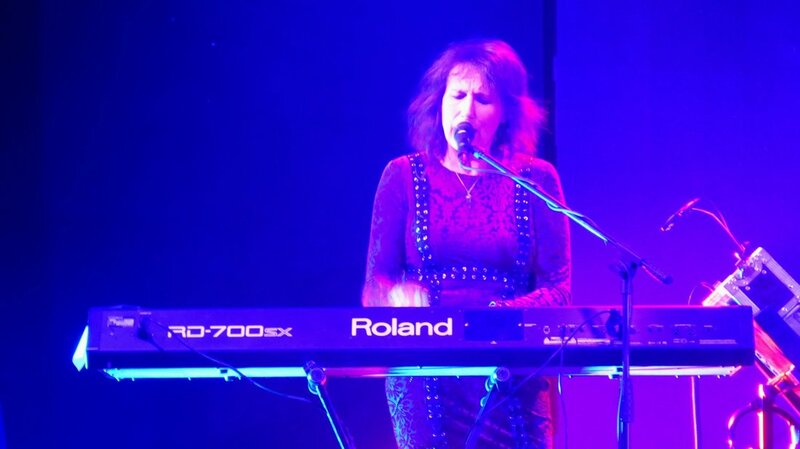 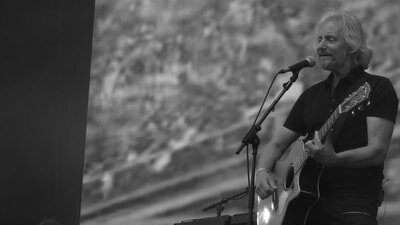 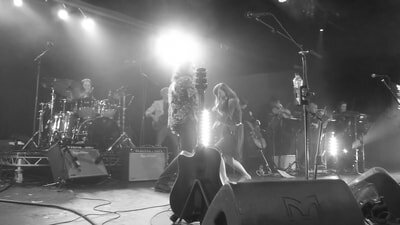 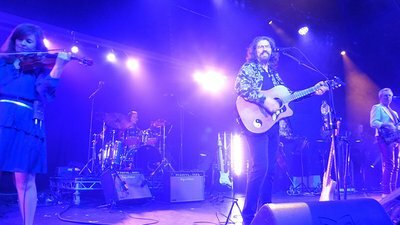 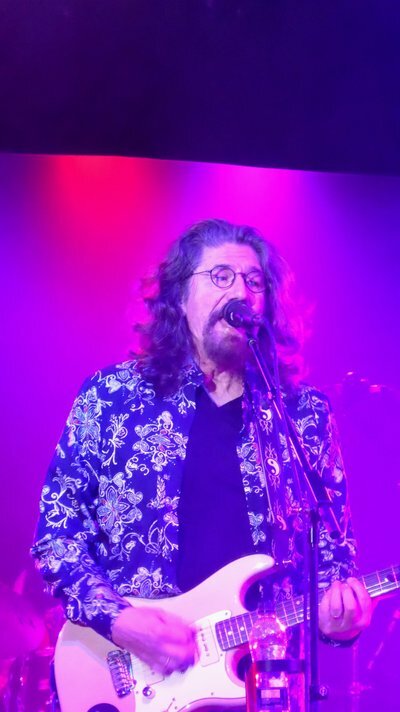 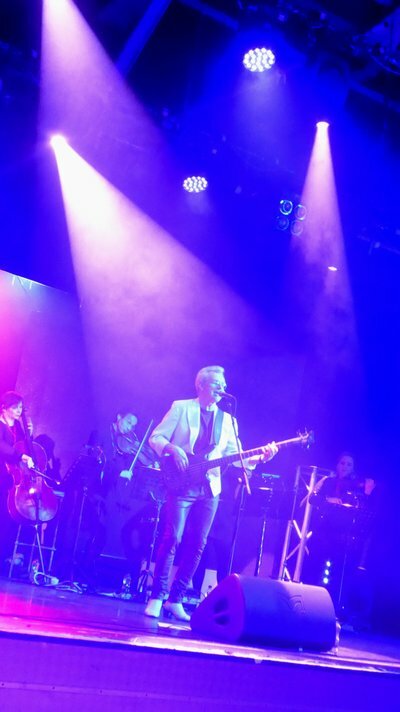 Check out my Youtube Channel to watch my videos of 'Mr Blue Sky', 'Xanadu', 'Livin' Thing', 'Roll Over Beethoven', 'Calling America', 'Don't Bring Me Down', 'Turn To Stone', 'Ticket To The Moon' and 'Evil Woman' performed live at the concert. 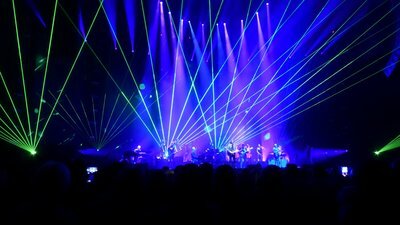 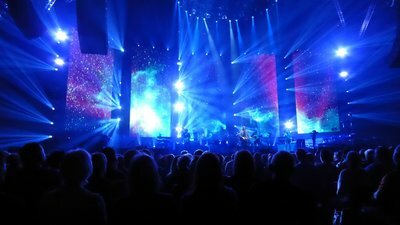 Tonight we had front row seats in Block B of the stalls which gave us a fantastic view of the band and the stunning light show. 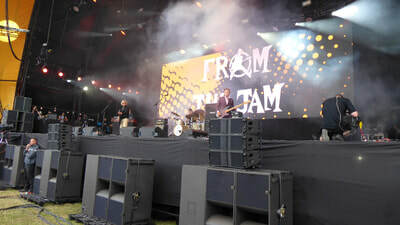 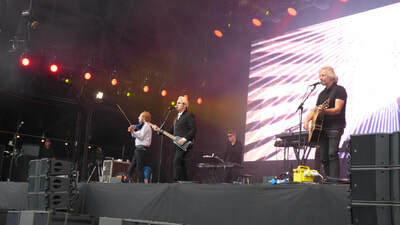 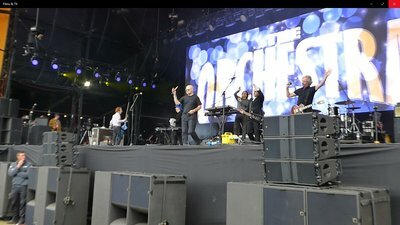 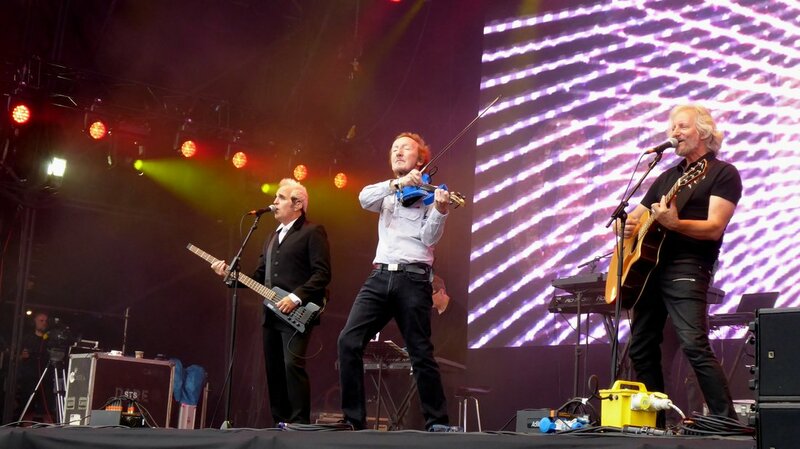 Another wonderful gig, in front of another sold-out 9,000 audience. 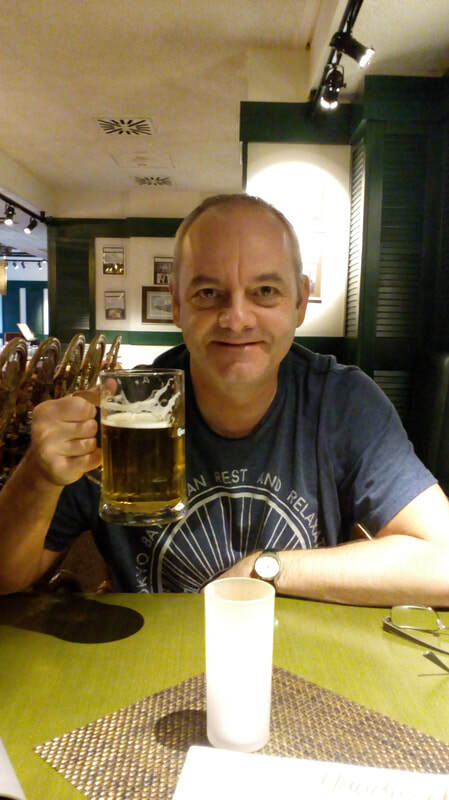 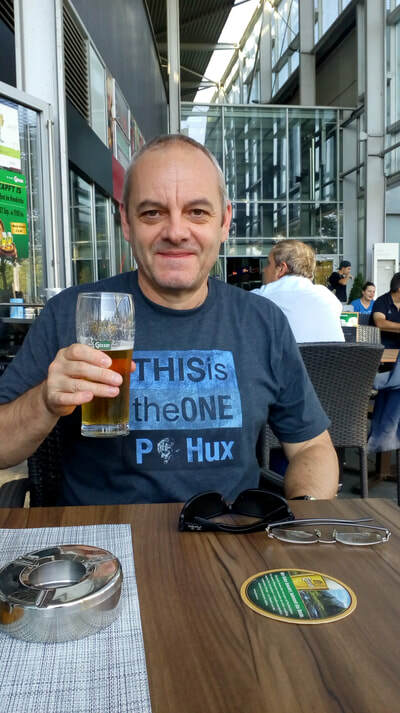 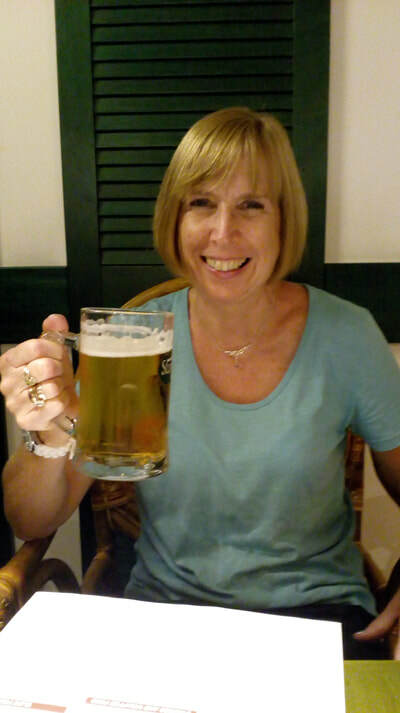 Me and Sue travelled over to Vienna for 5 days of sightseeing and to spend our 30th wedding anniversary. 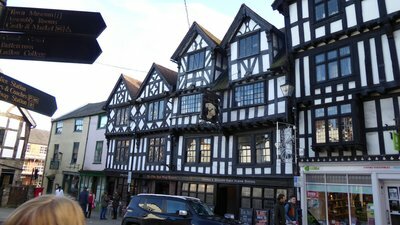 We stayed at the Arcotel Wimberger which is where we stayed back in 2012 on our first visit to the city. 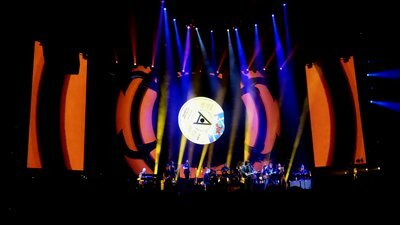 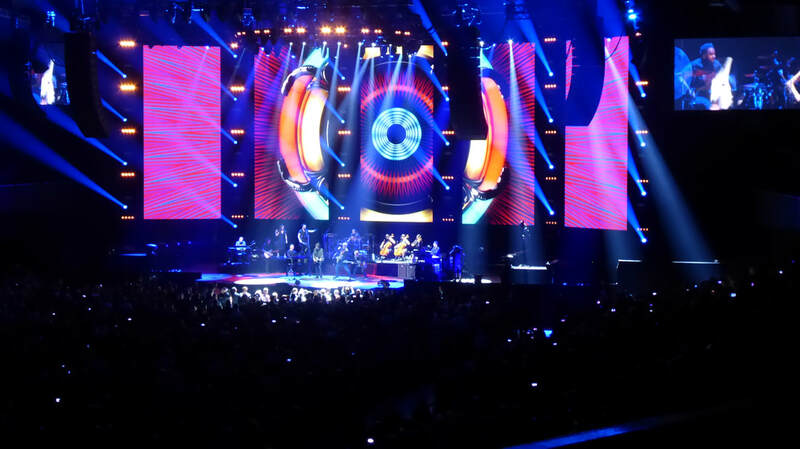 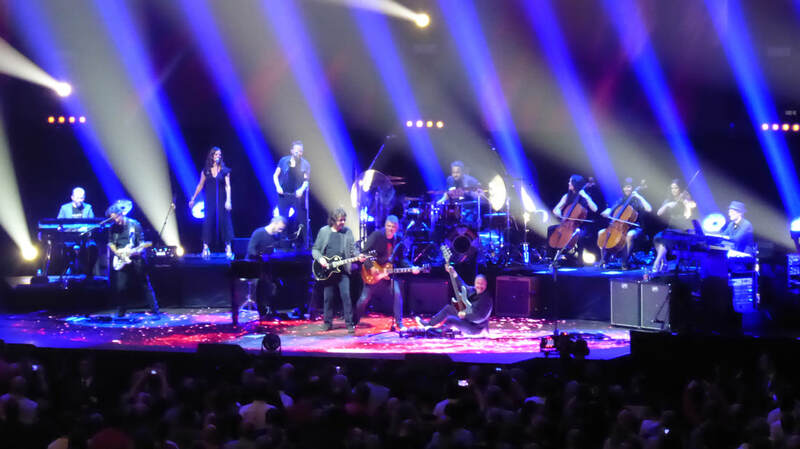 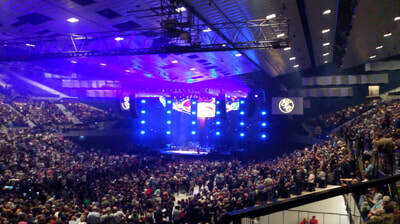 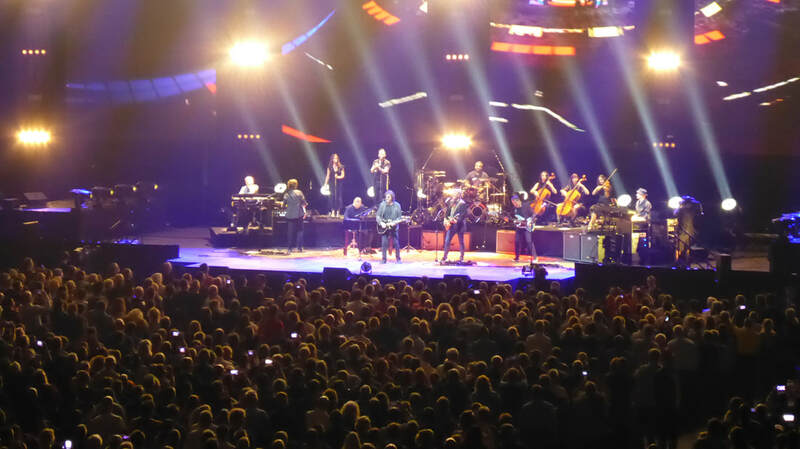 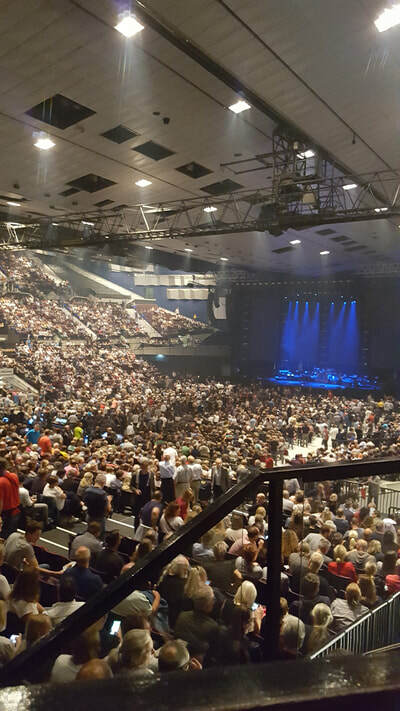 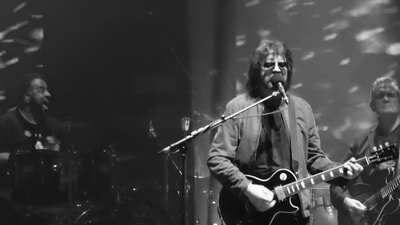 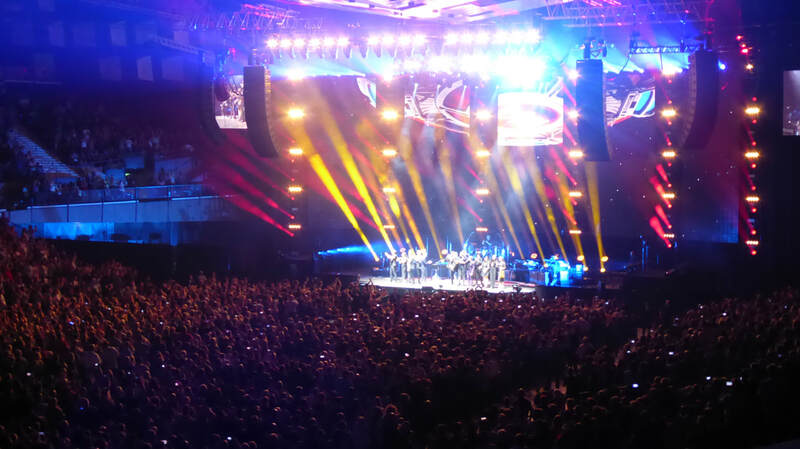 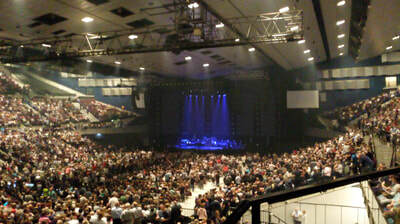 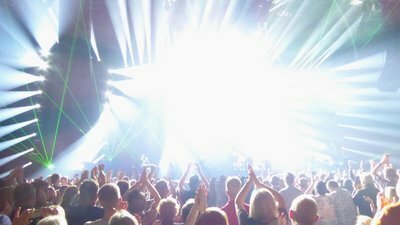 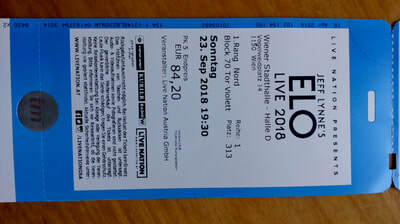 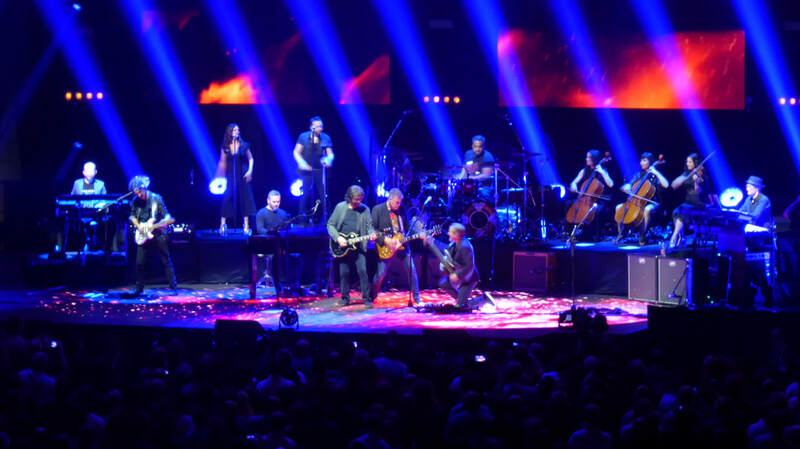 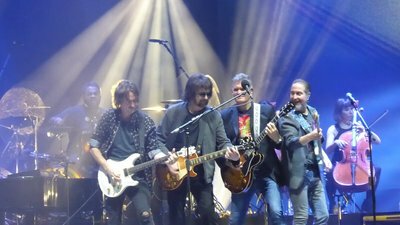 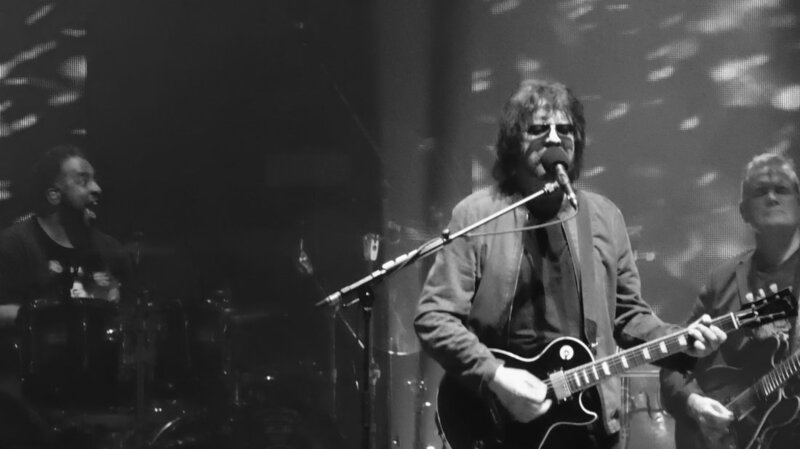 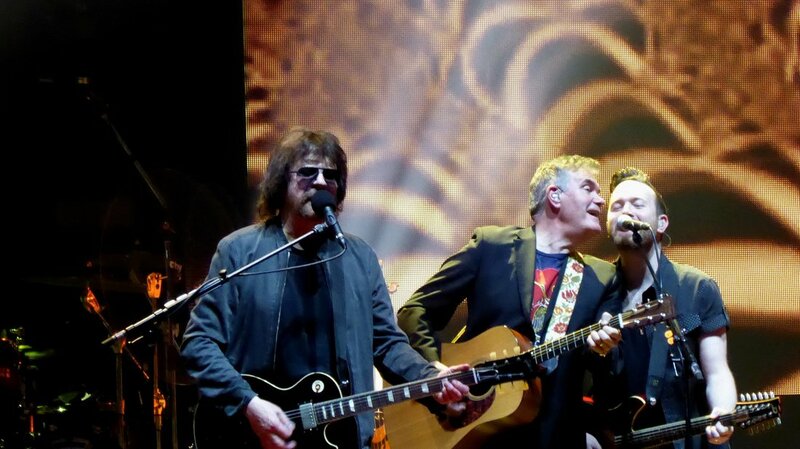 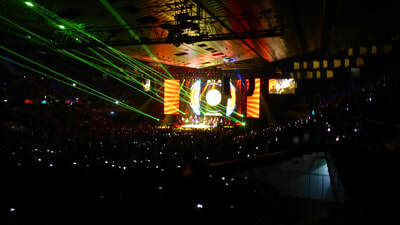 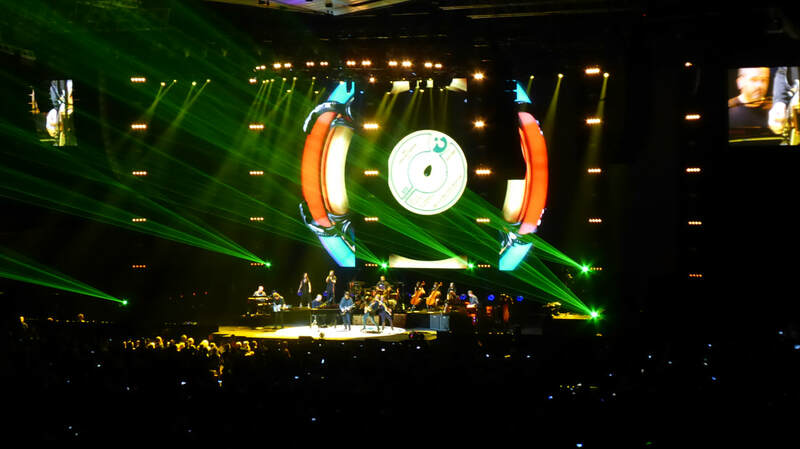 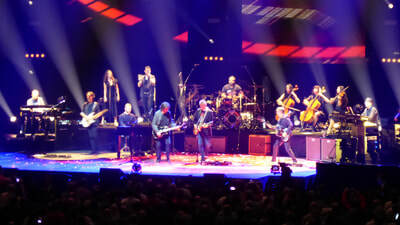 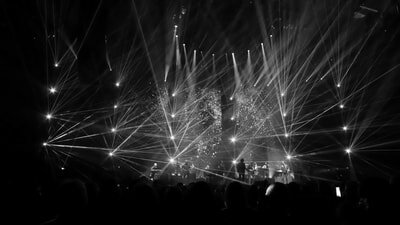 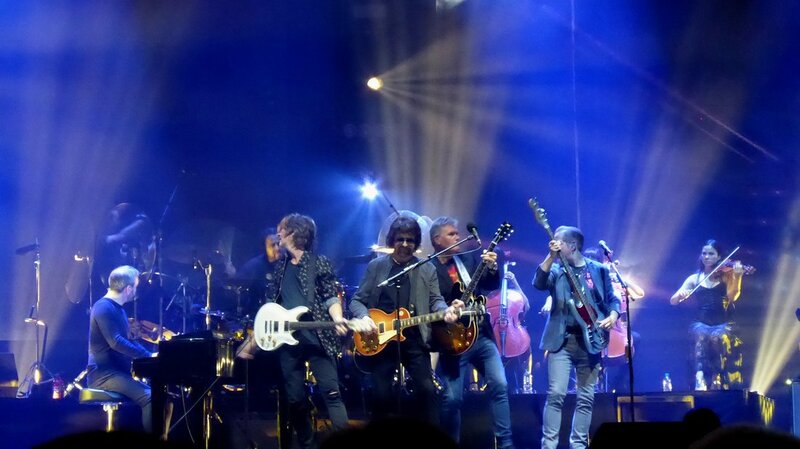 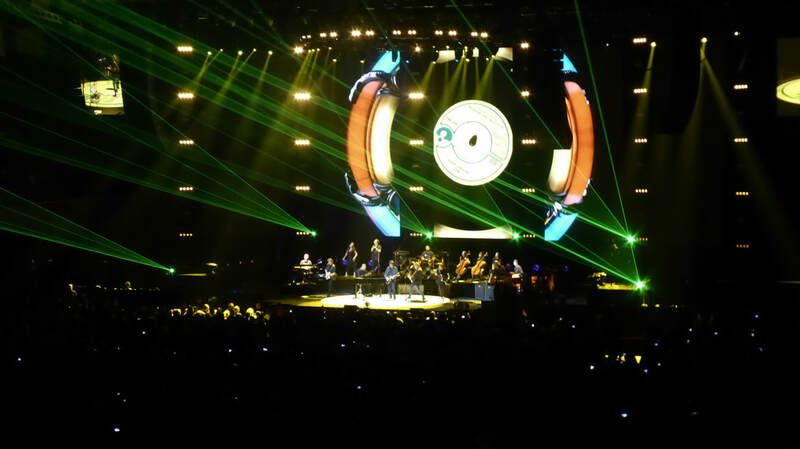 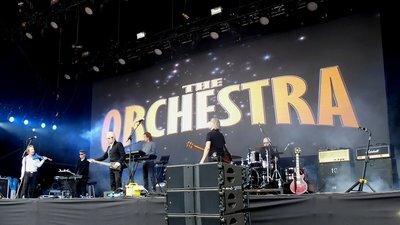 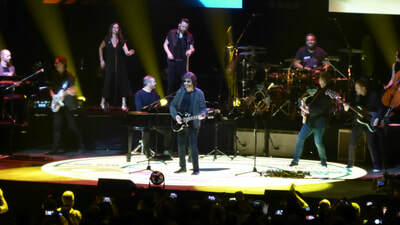 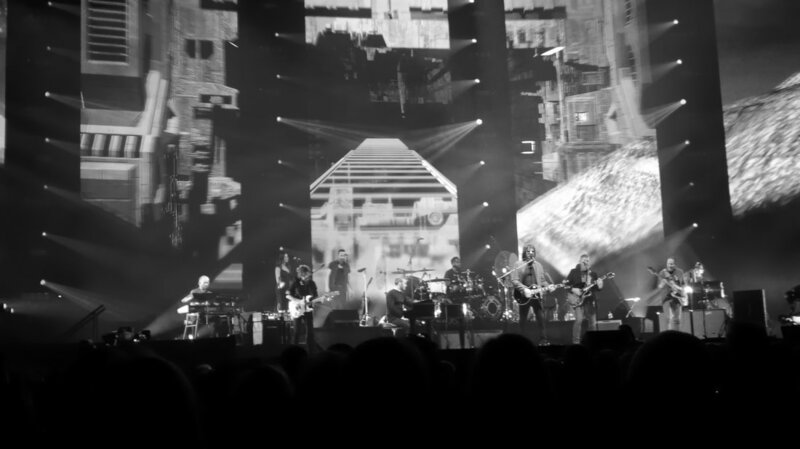 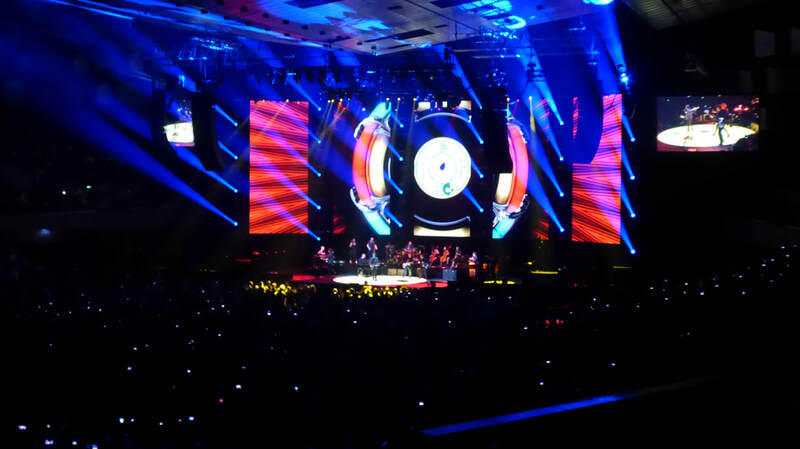 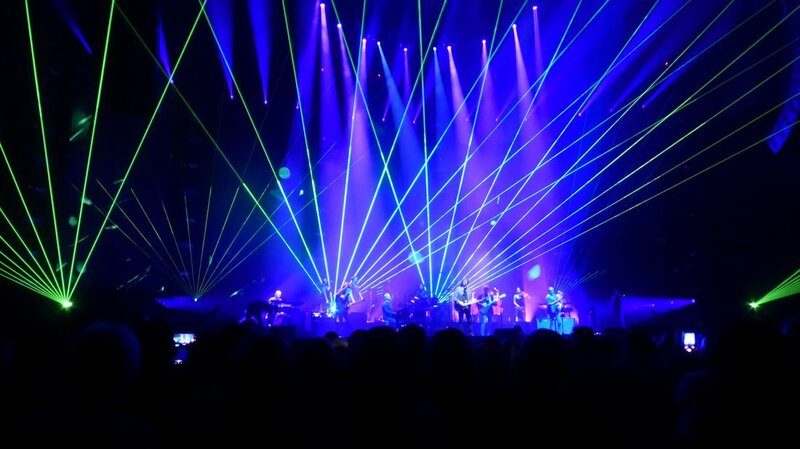 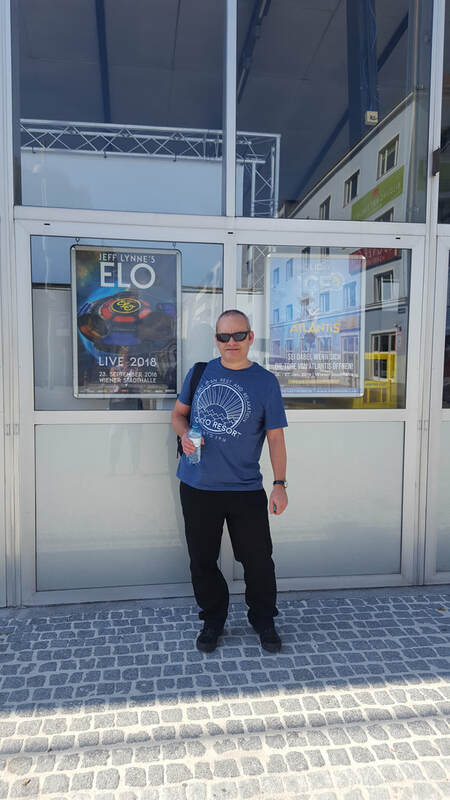 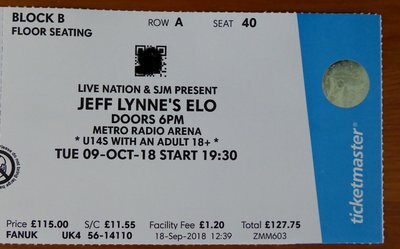 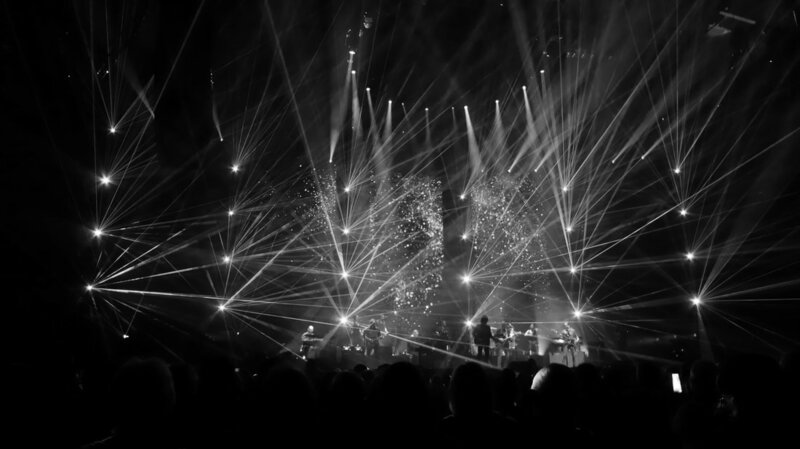 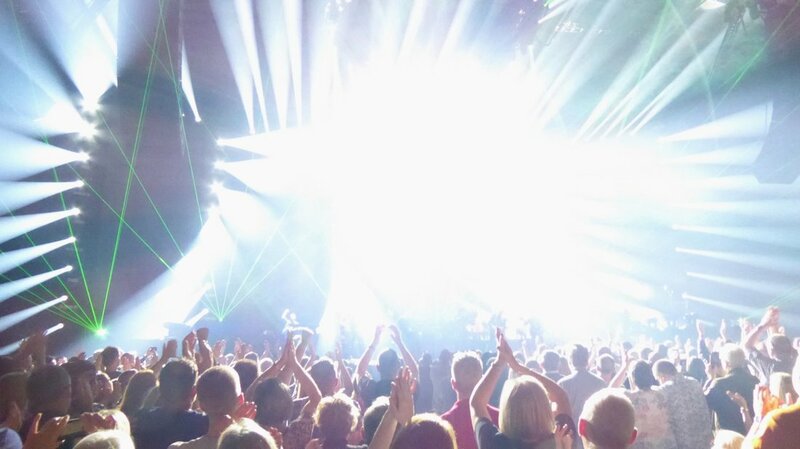 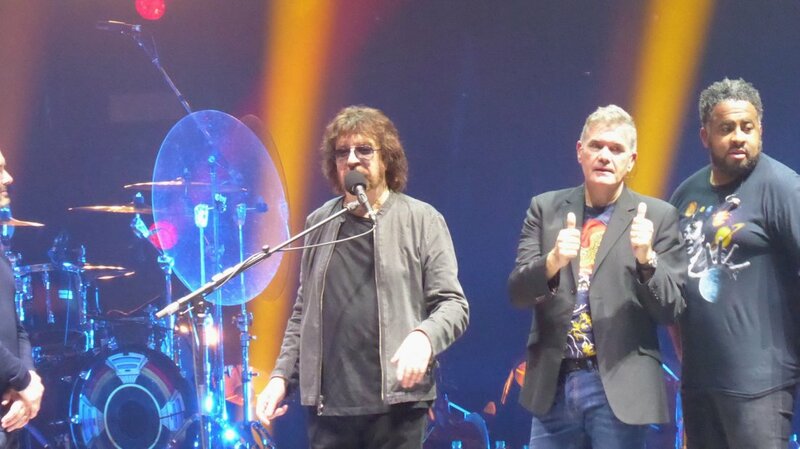 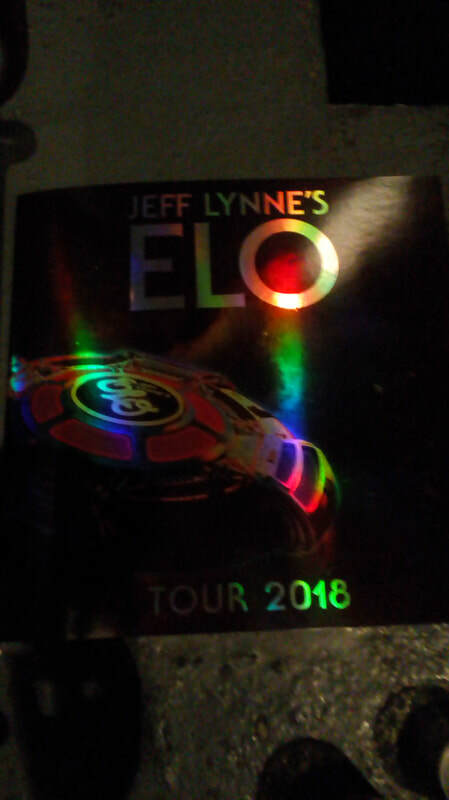 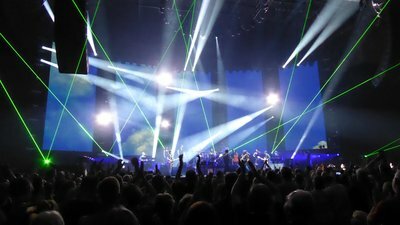 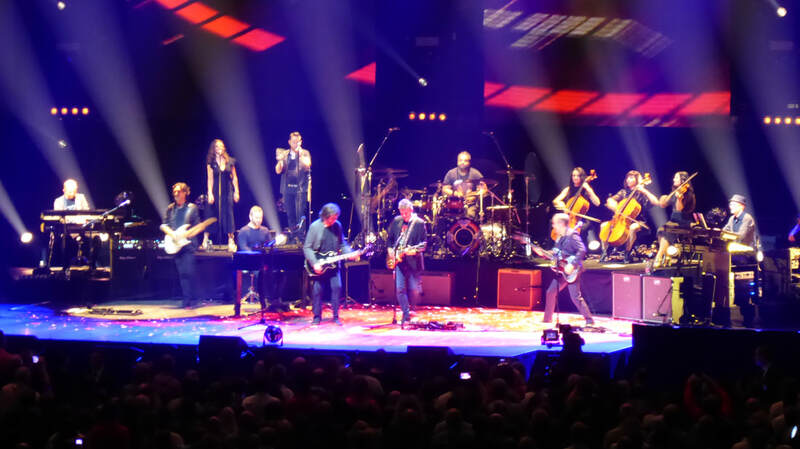 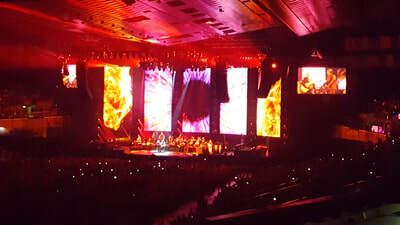 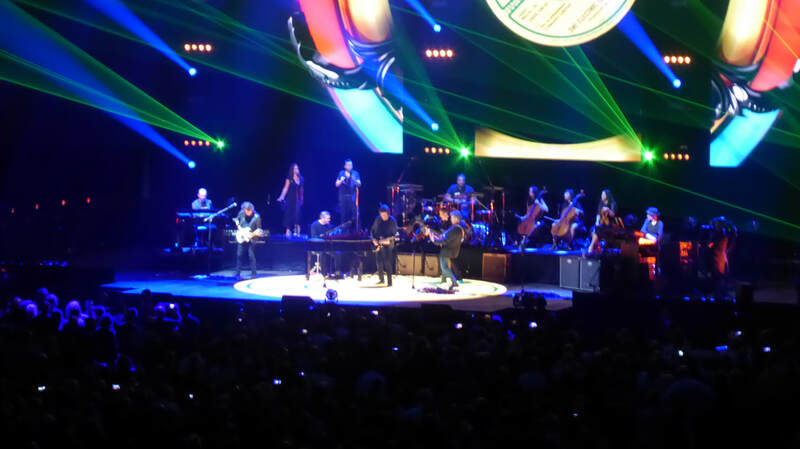 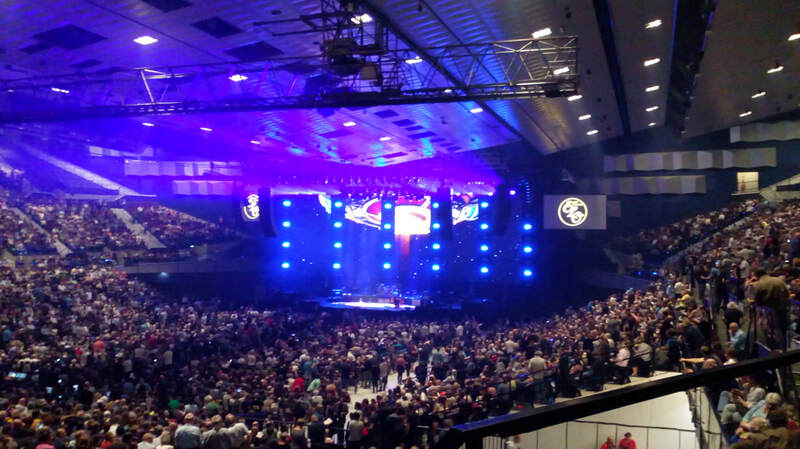 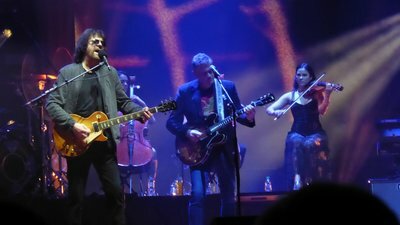 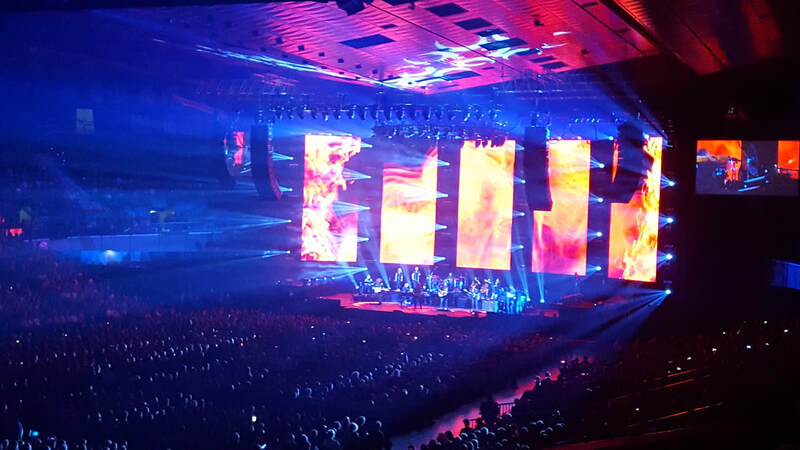 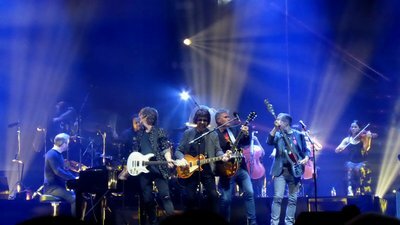 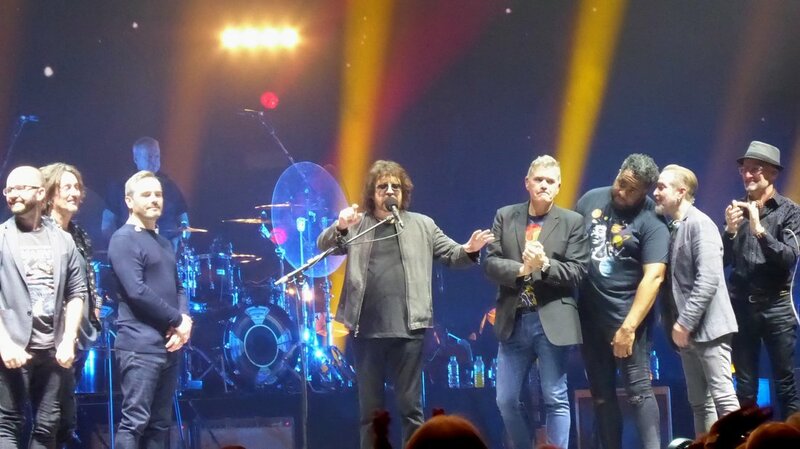 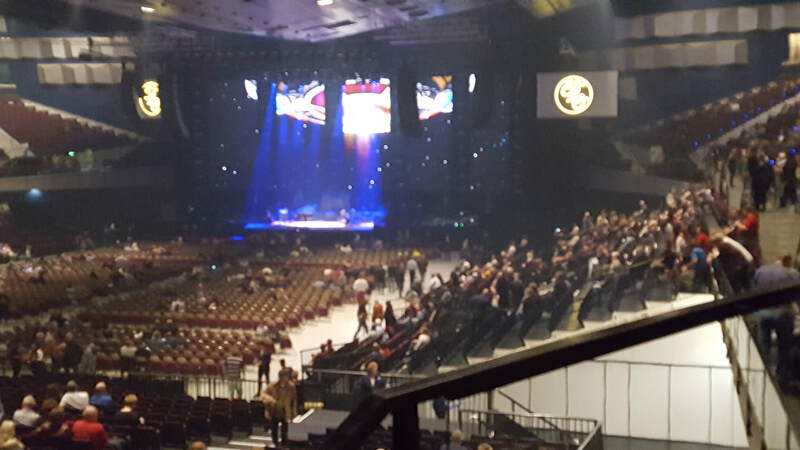 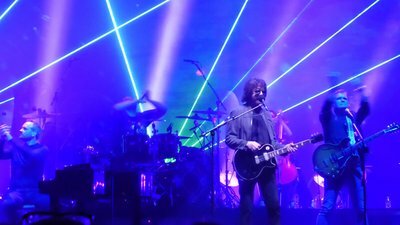 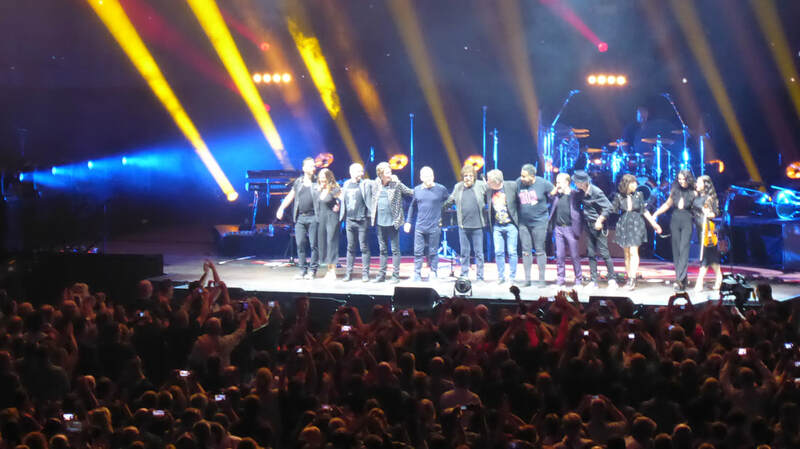 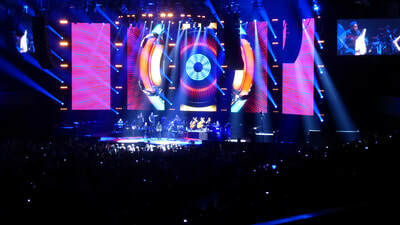 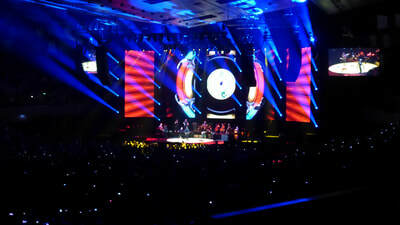 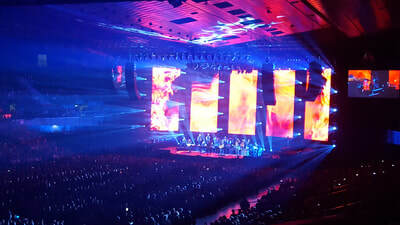 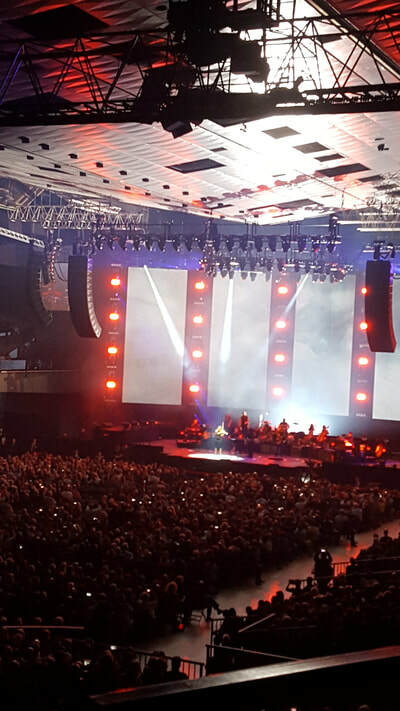 I had also booked tickets to see Jeff Lynne's ELO at the Wien Stadthalle which was only 5 minutes walk from our hotel. 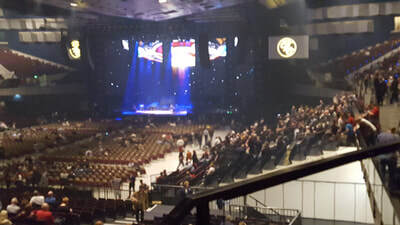 Seats were on the front row of the second incline in the far right corner of the venue. 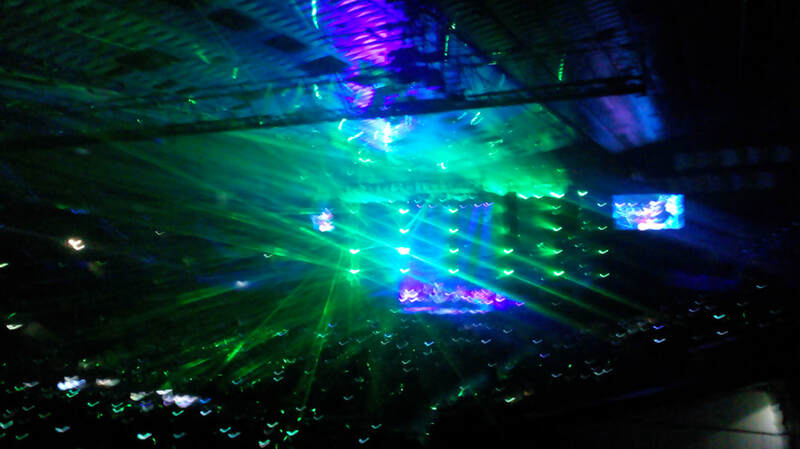 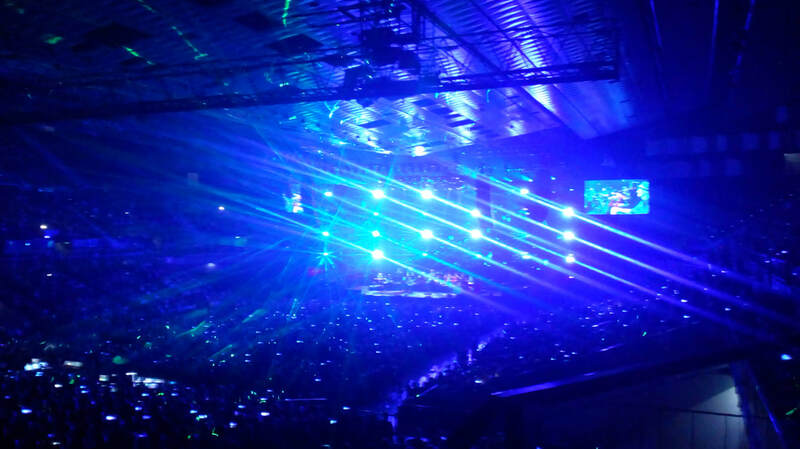 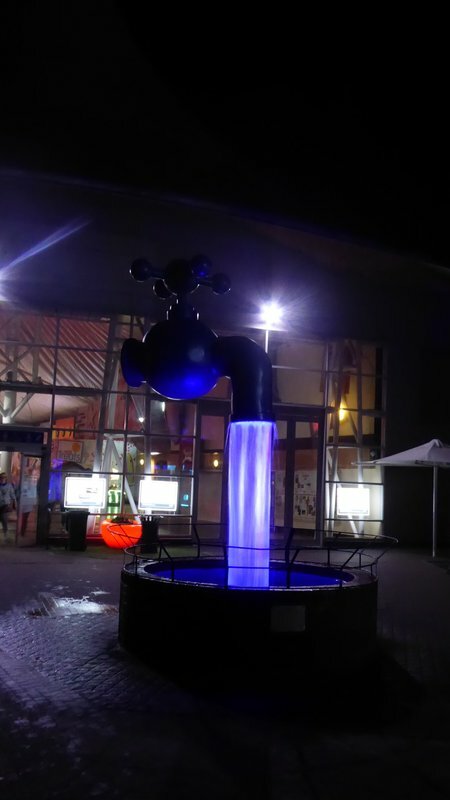 But the view of the light show was fantastic and the sound was very good too. Really enjoyed the show which lasted about 90 minutes. 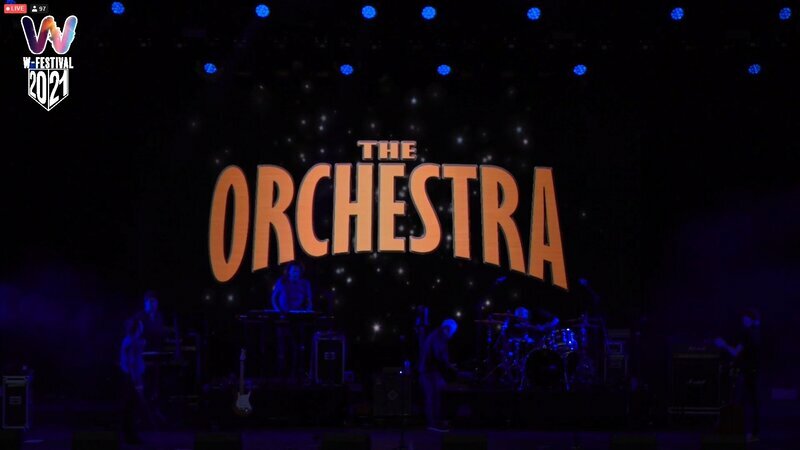 The Orchestra line-up : Lou Clark Jnr, Mik Kaminski, Eric Troyer, Gordon Townsend, Parthenon Huxley and Glen Burtnik. 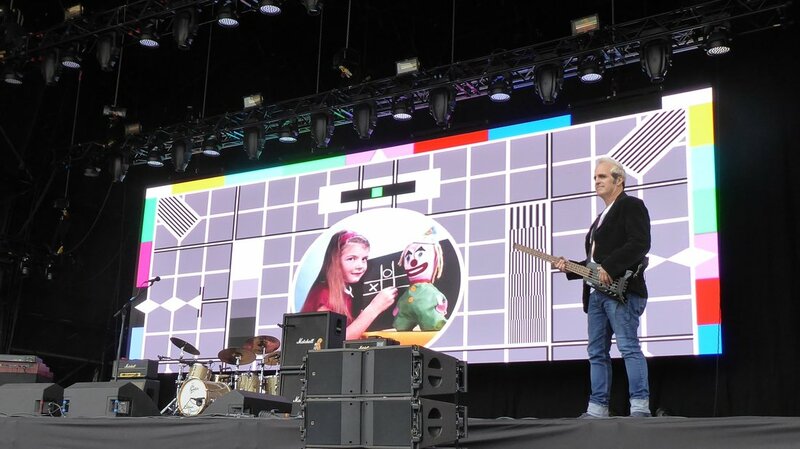 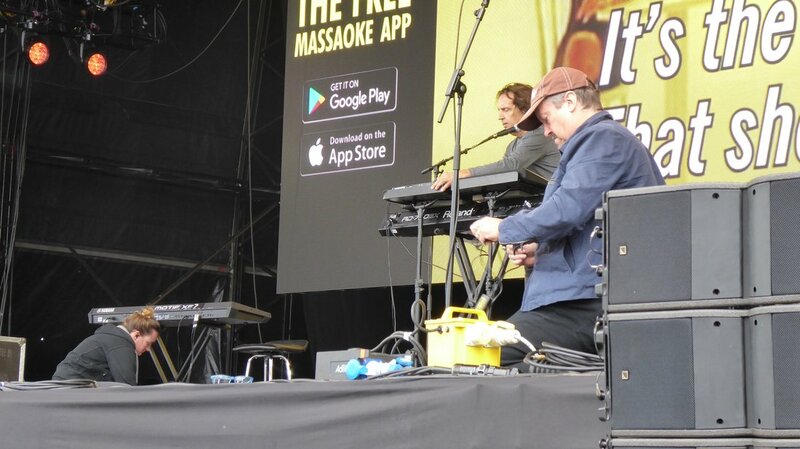 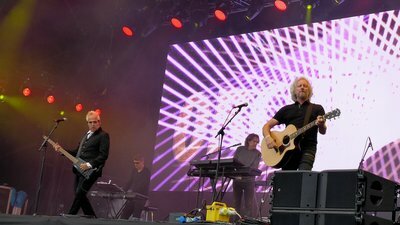 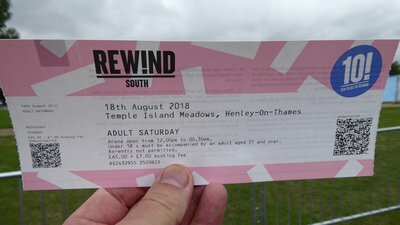 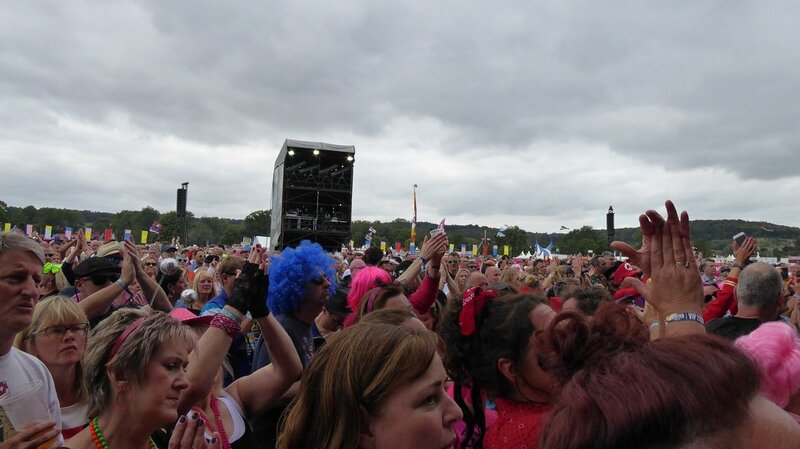 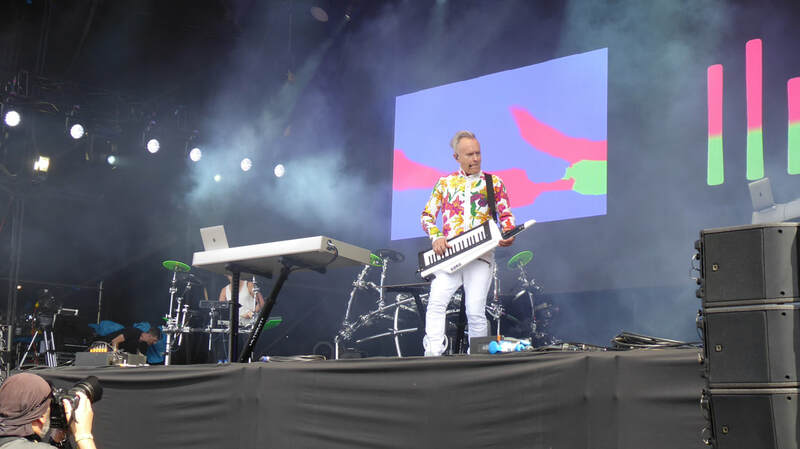 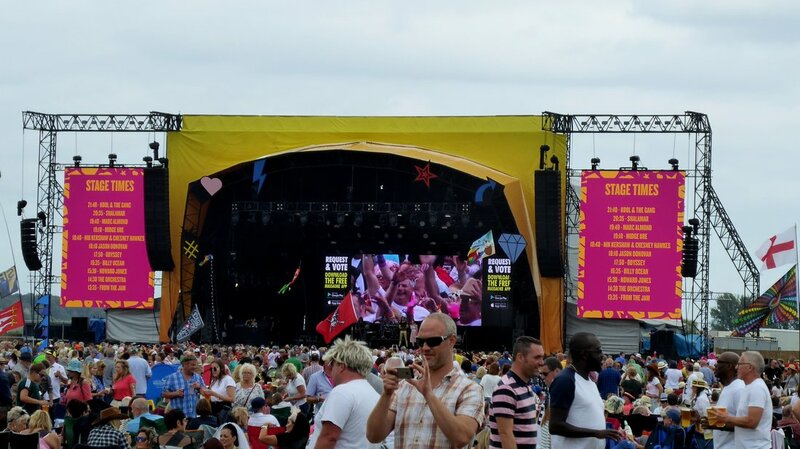 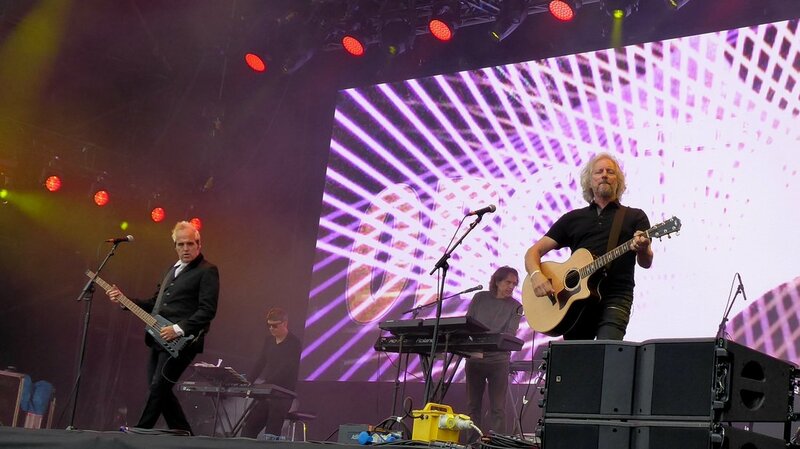 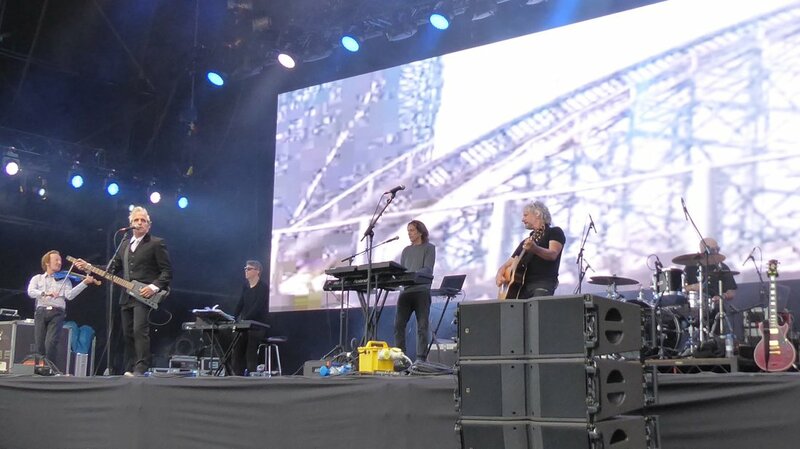 What a great few days we spent down in Reading & Windsor prior to travelling to Henley-On-Thames for Rewind South Festival along with 30,000 other music fans. 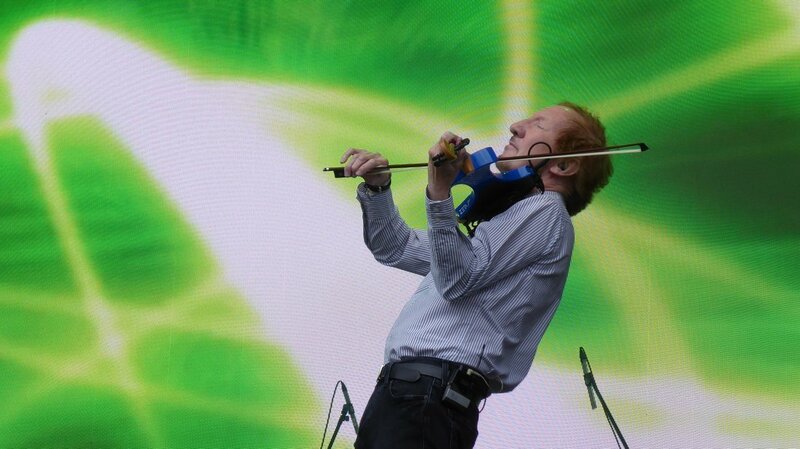 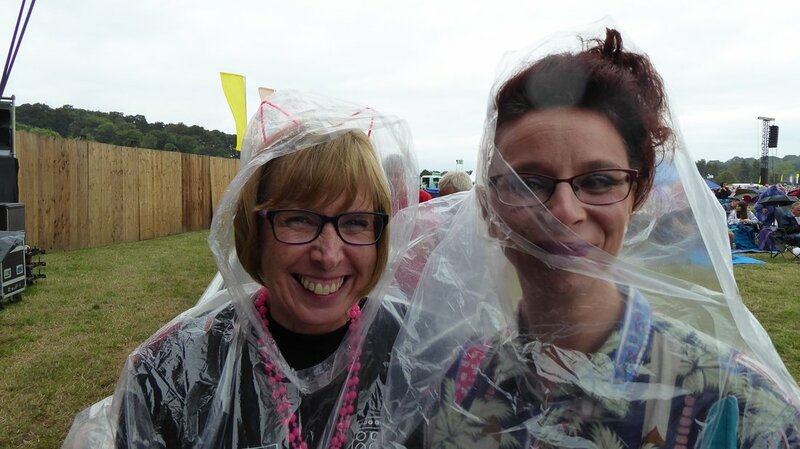 It was a cloudy, drizzly start to the day but the sun came through not long after The Orchestra's set. 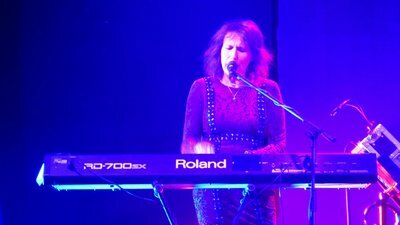 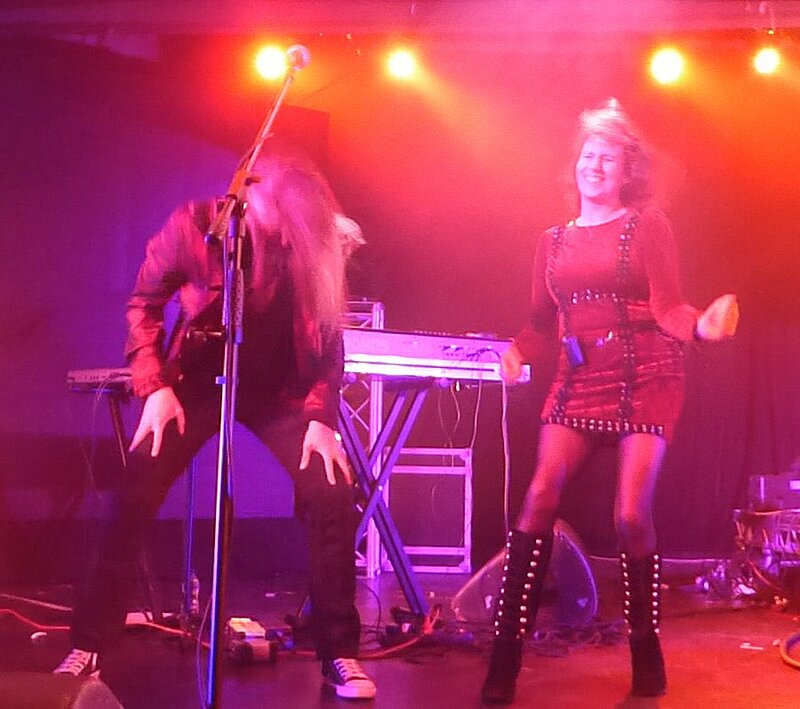 Check out my Youtube Channel to watch my videos of 'Mr Blue Sky' and 'Xanadu' performed live at the concert. 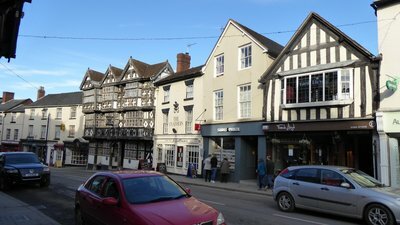 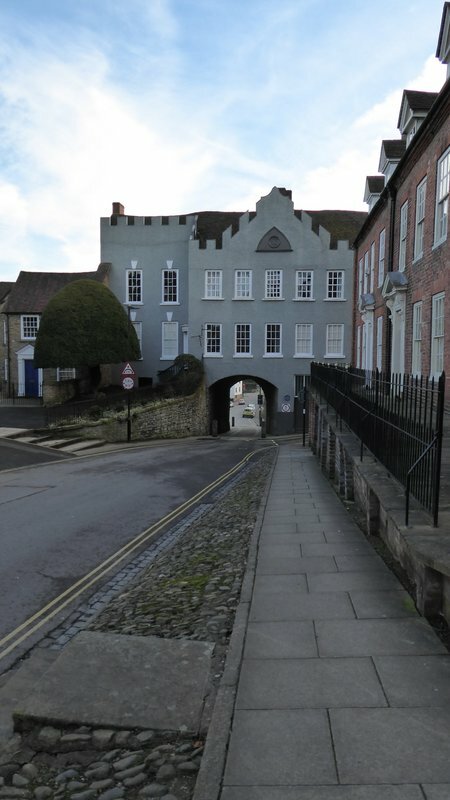 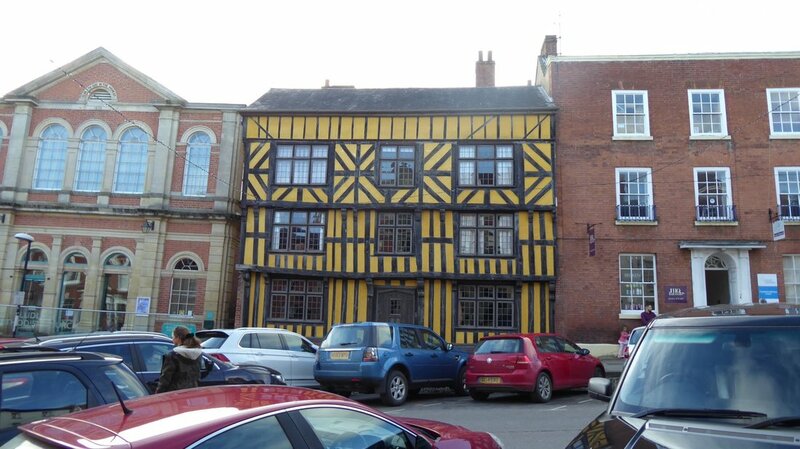 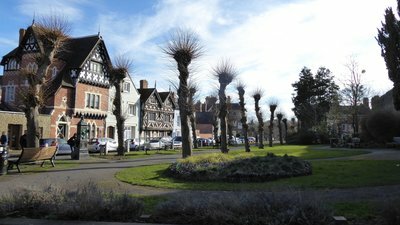 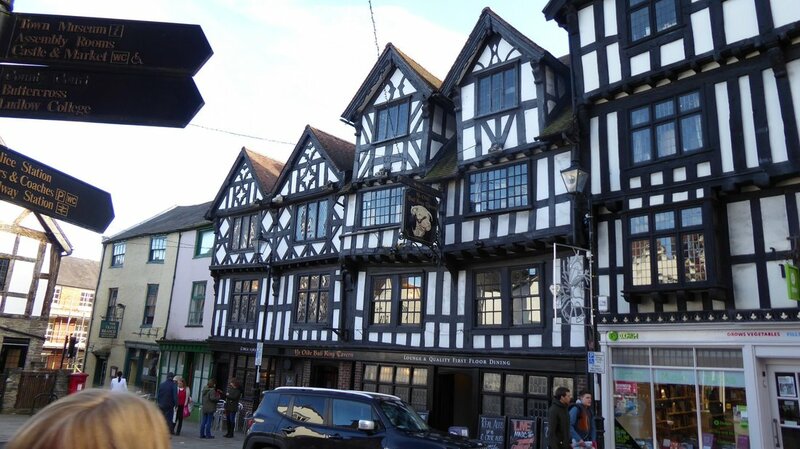 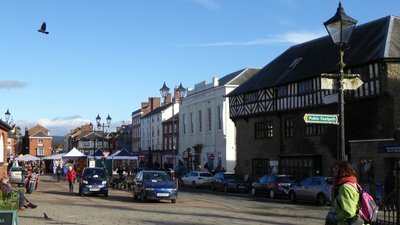 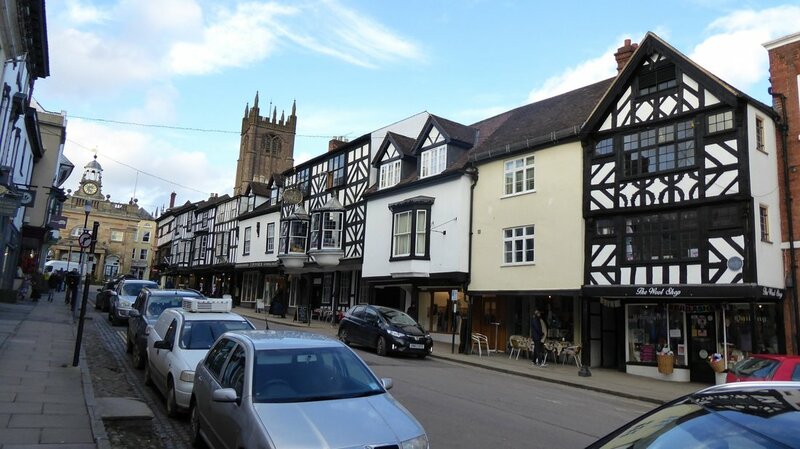 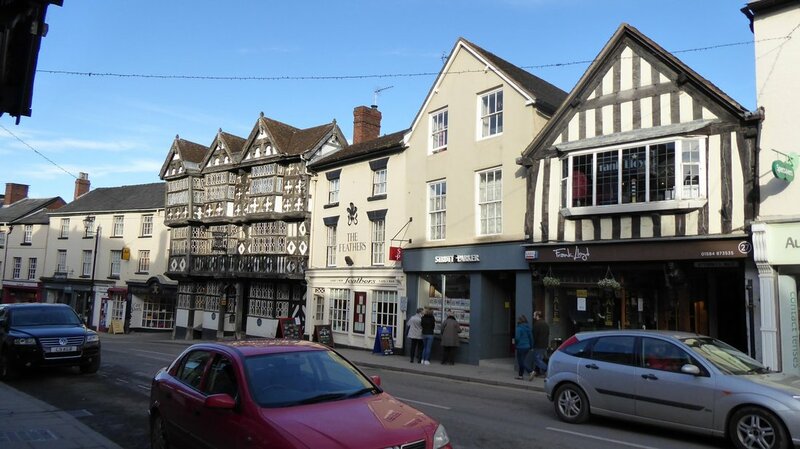 We had a great time visiting Ludlow, staying at the fantastic Jacobean-era Feathers Hotel. 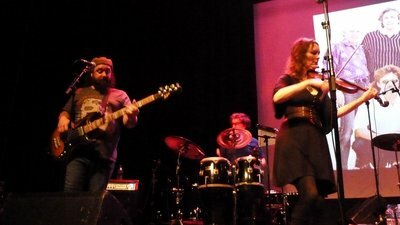 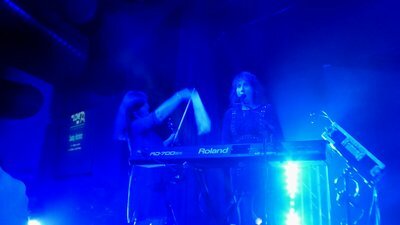 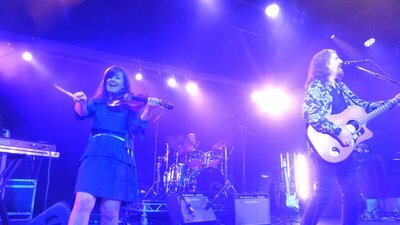 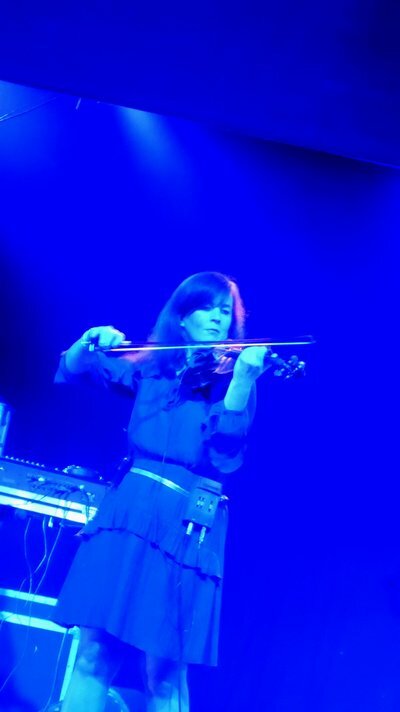 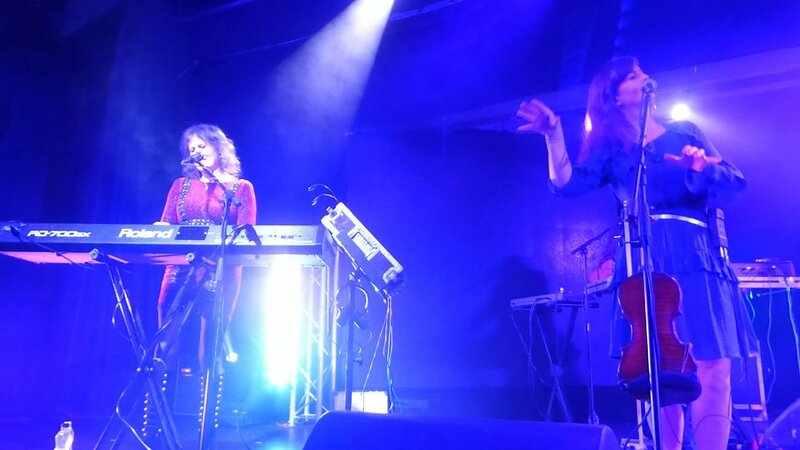 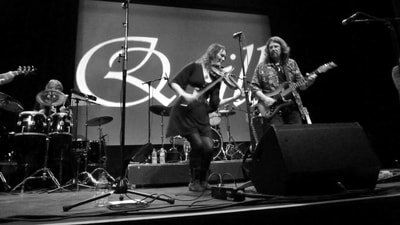 After a bit of wandering around and a lovely meal at the Wild Wood restaurant, it was off to see the first gig featuring the 'new' line-up of Quill at the Ludlow Assembly Rooms. 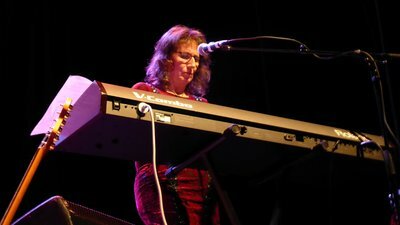 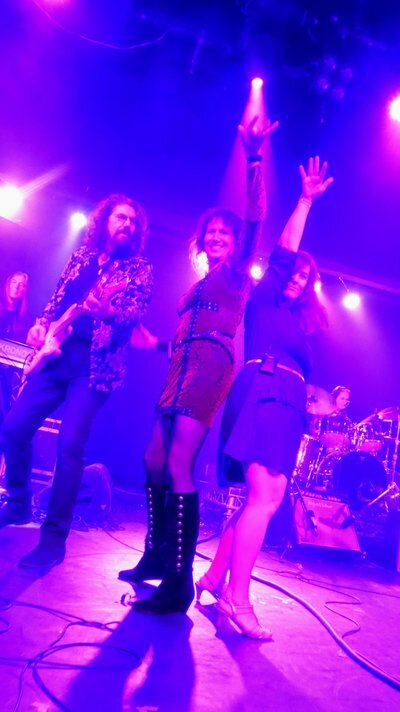 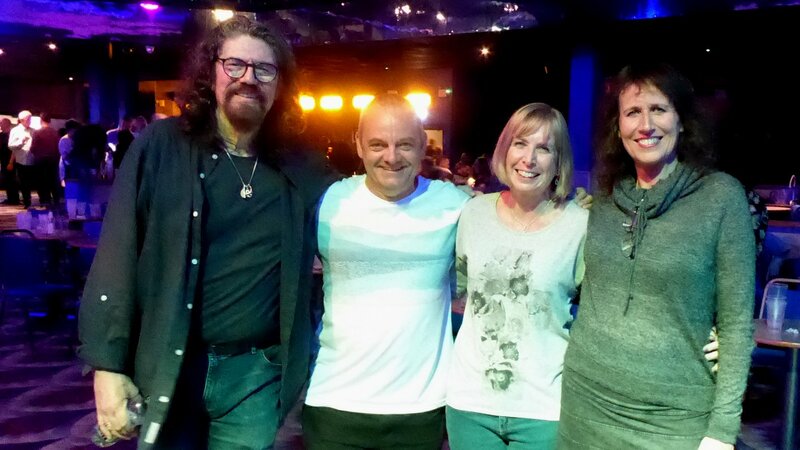 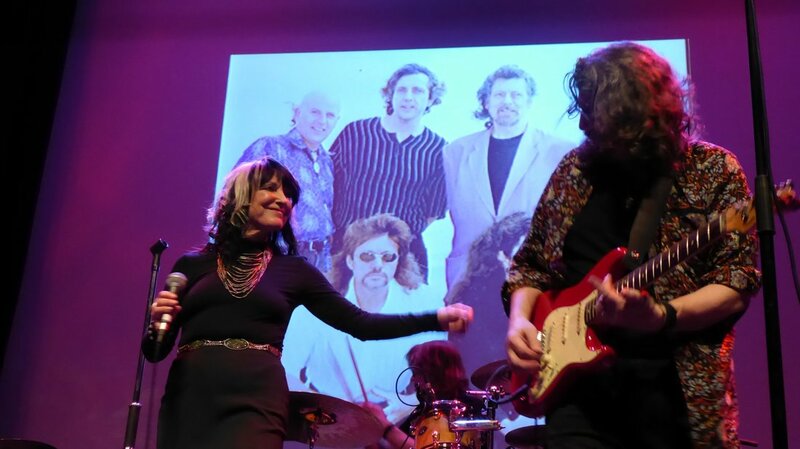 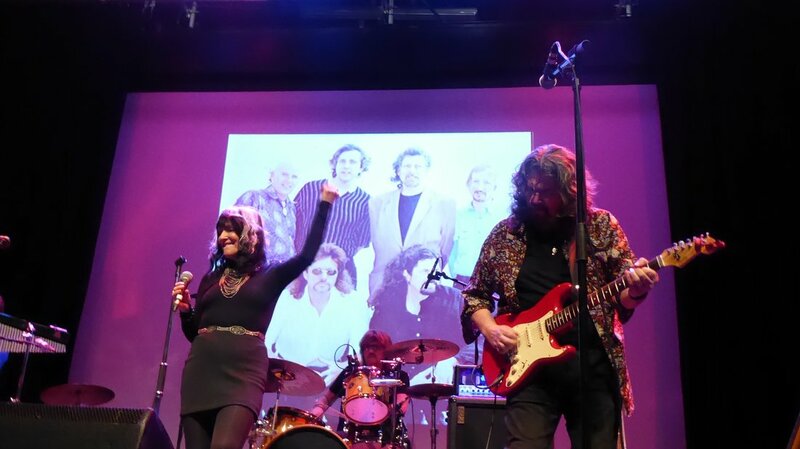 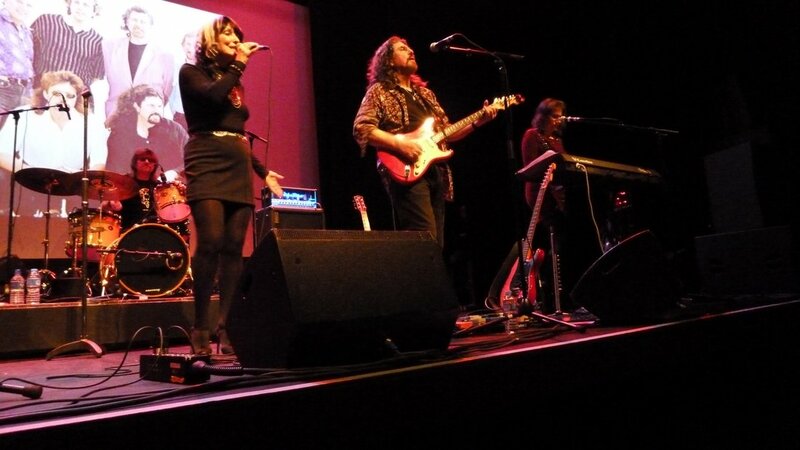 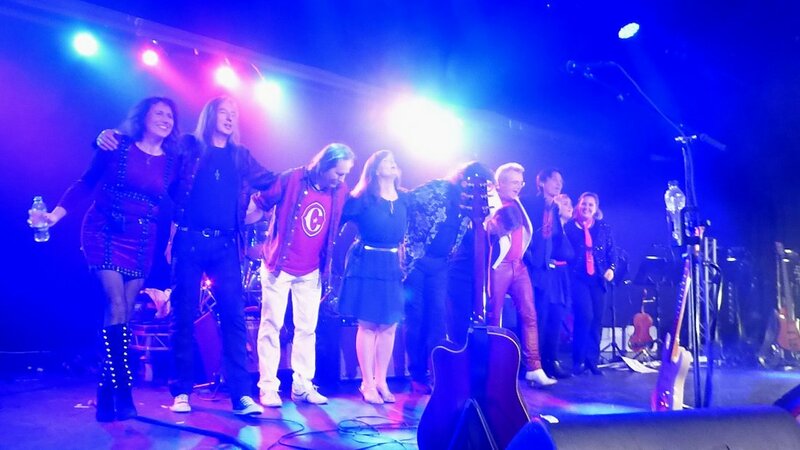 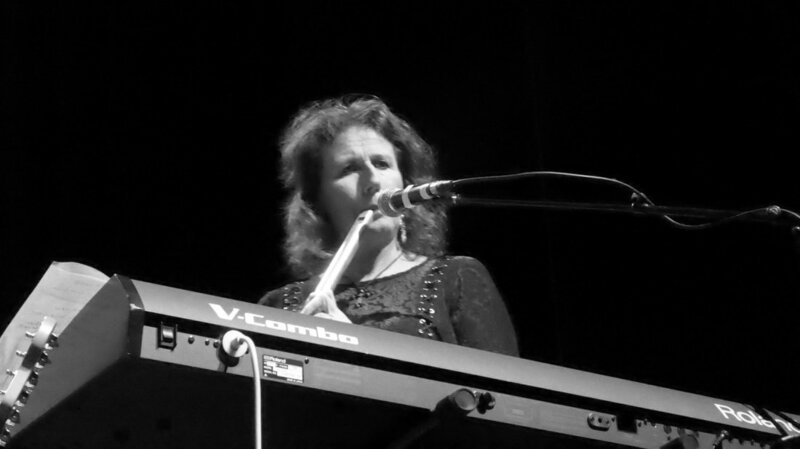 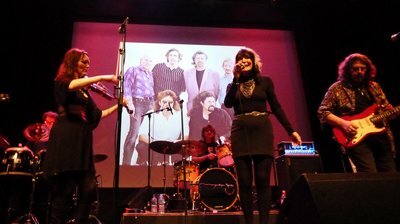 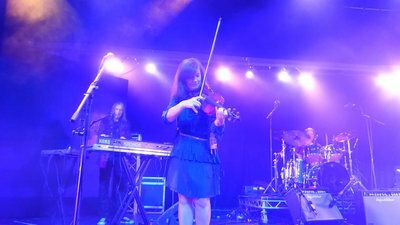 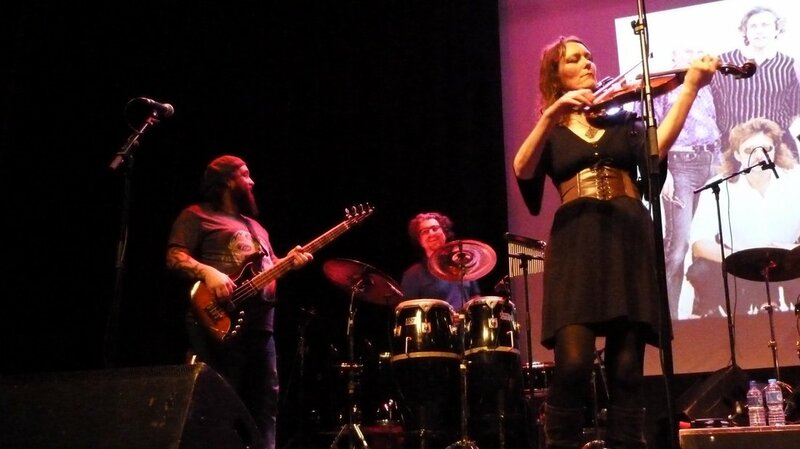 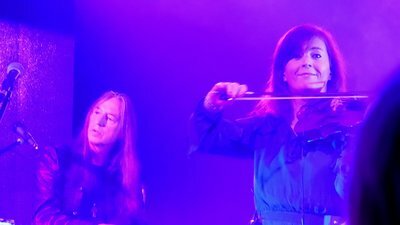 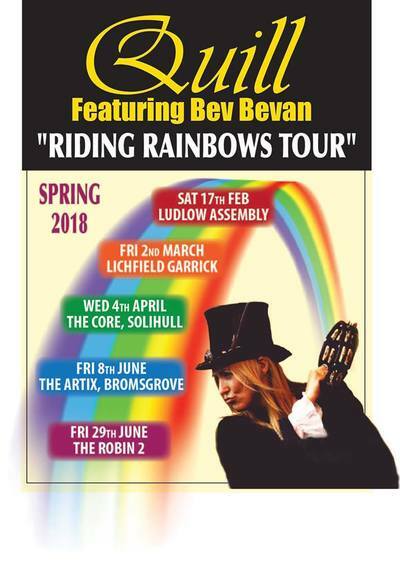 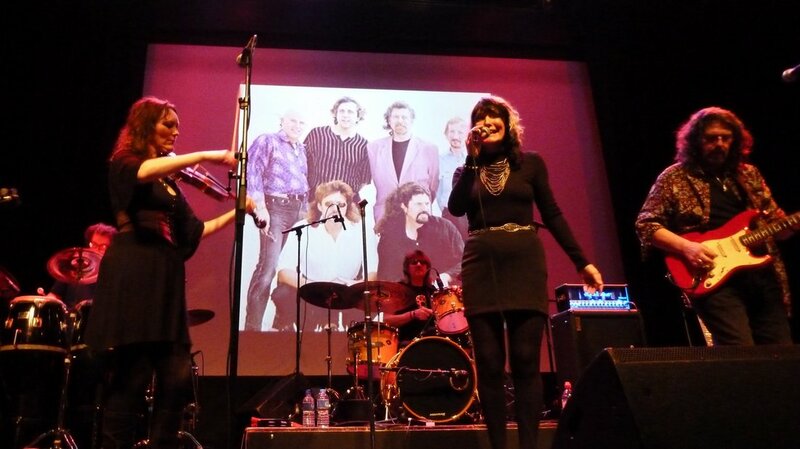 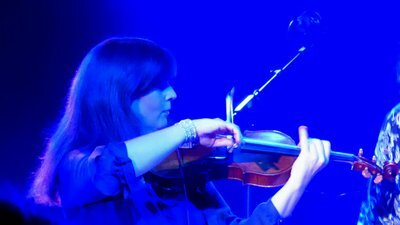 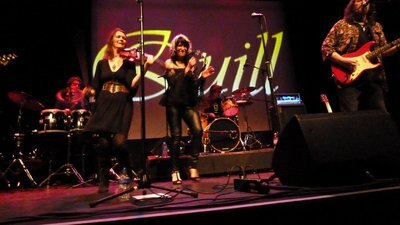 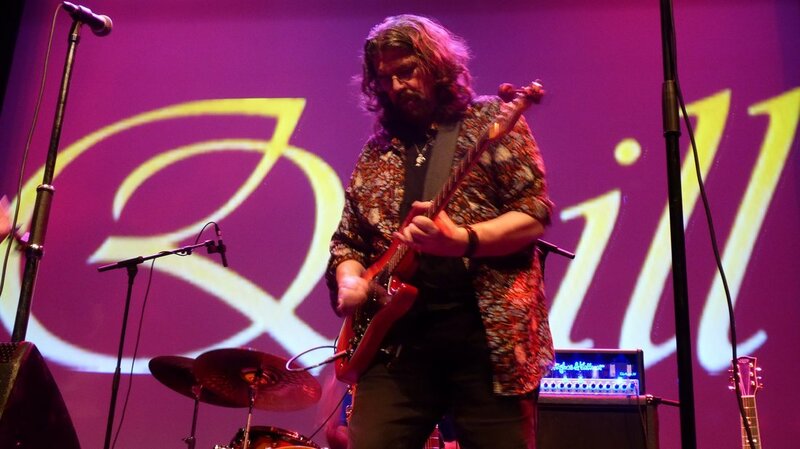 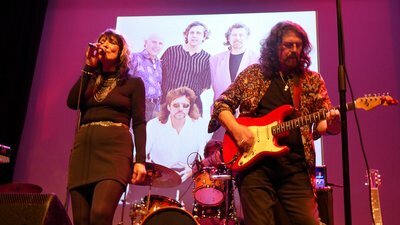 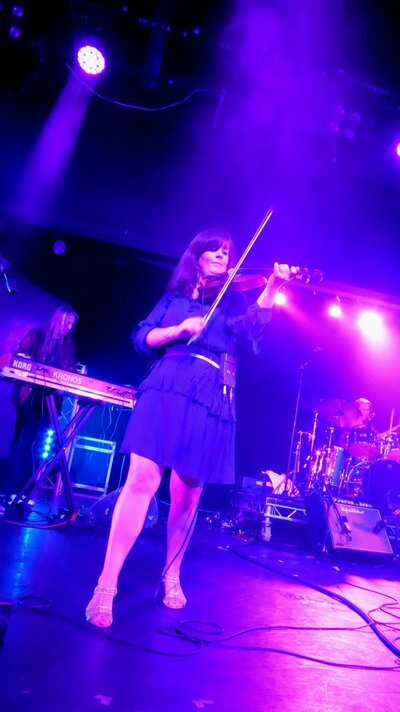 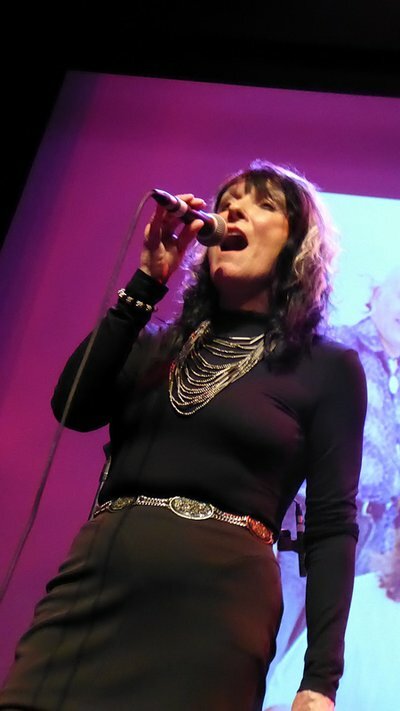 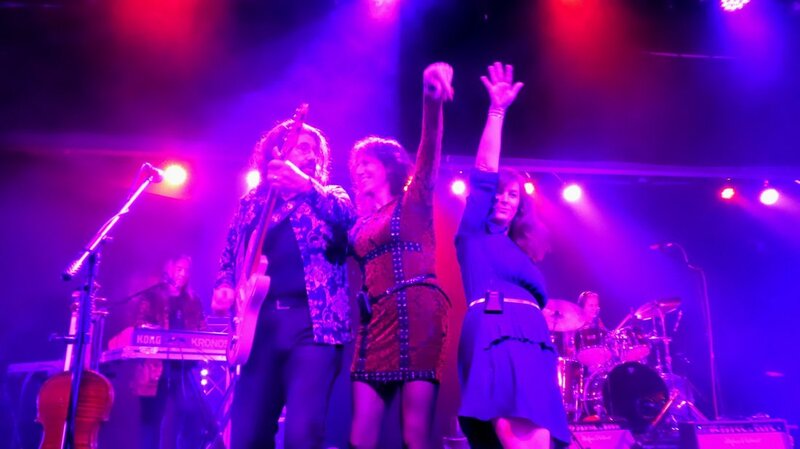 Quill now features Joy Strachan Brain on vocals, Bev Bevan on percussion and drums, Andy Edwards on drums and percussion, Matt Worley on bass, Kate McWilliam on violin, plus the return of Phil Bates on lead guitar and vocals. 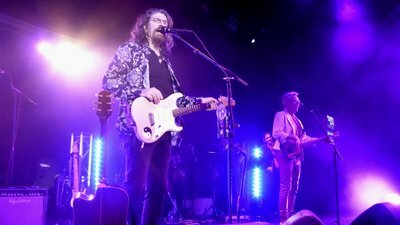 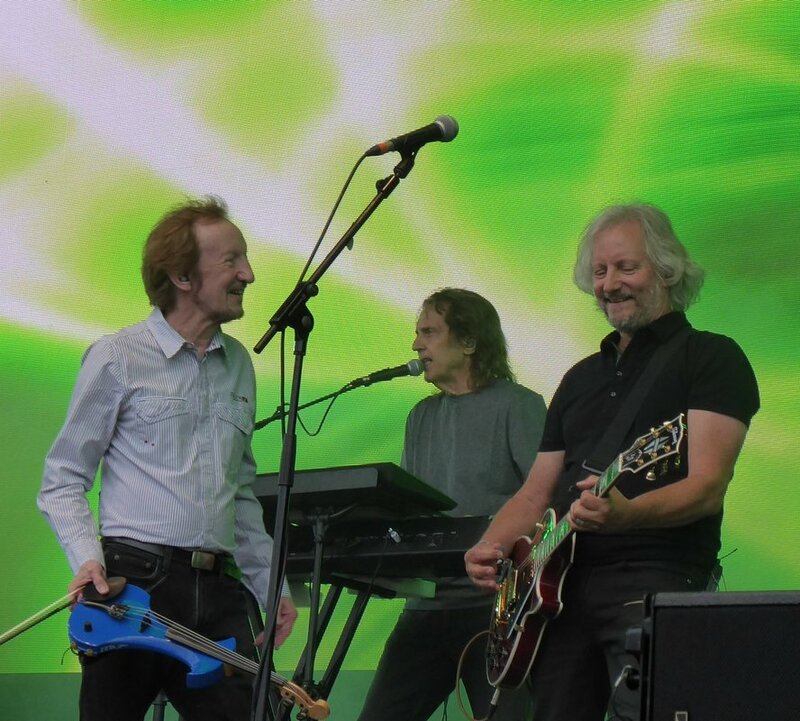 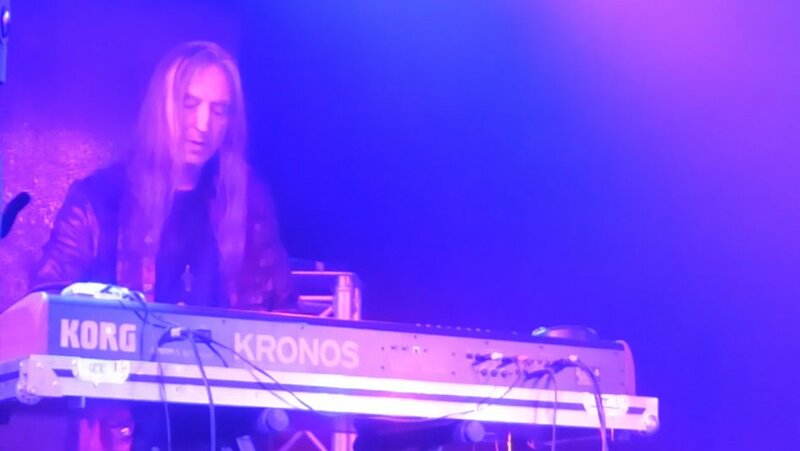 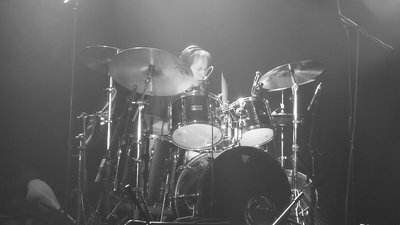 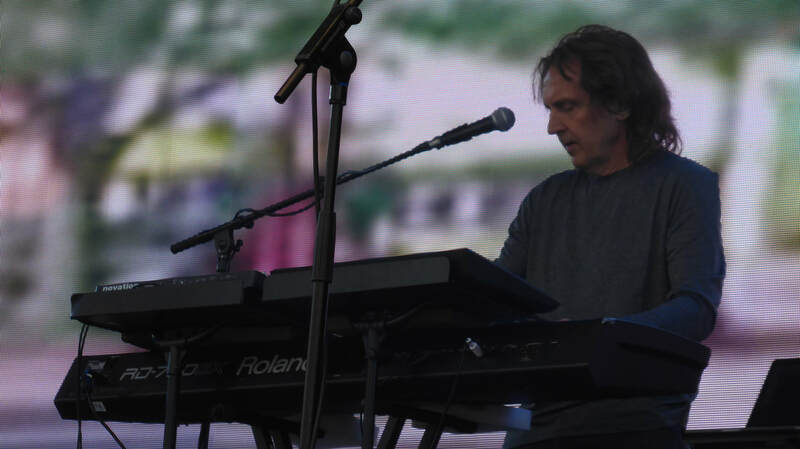 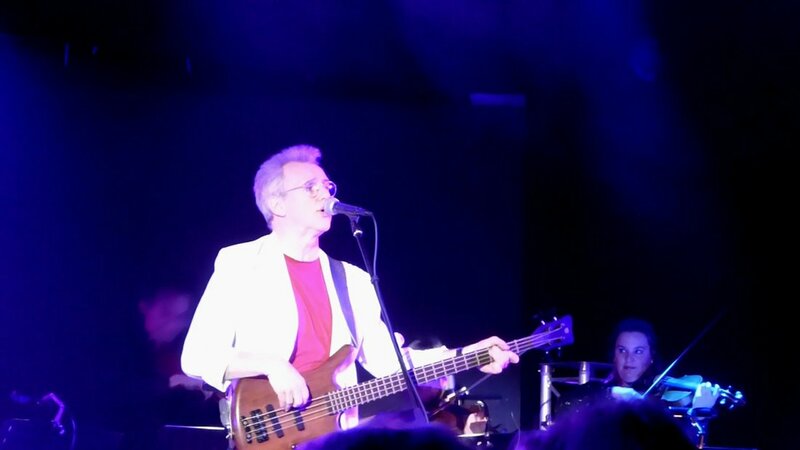 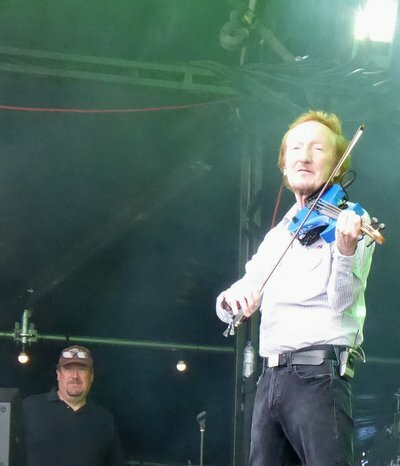 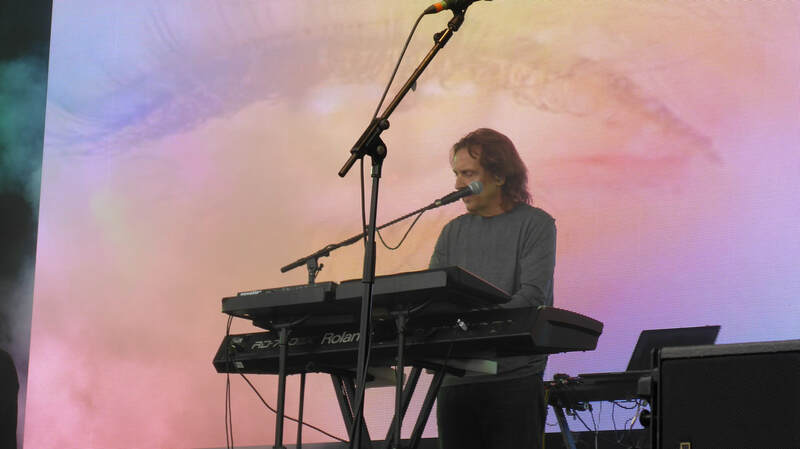 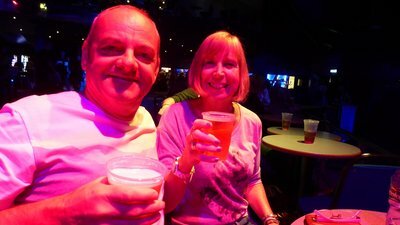 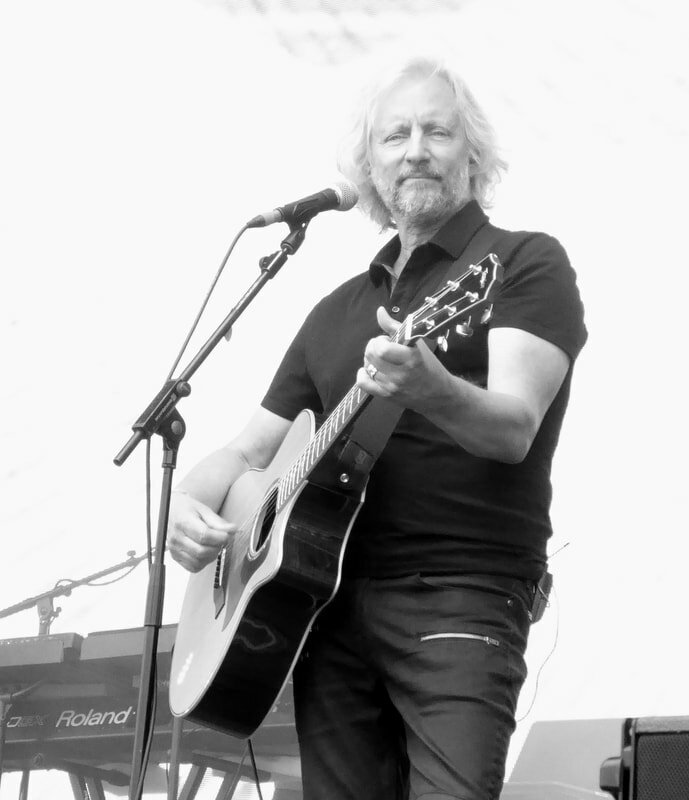 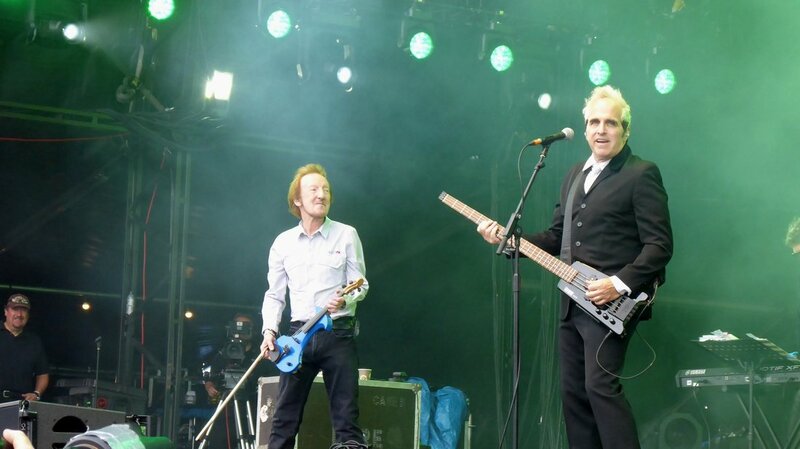 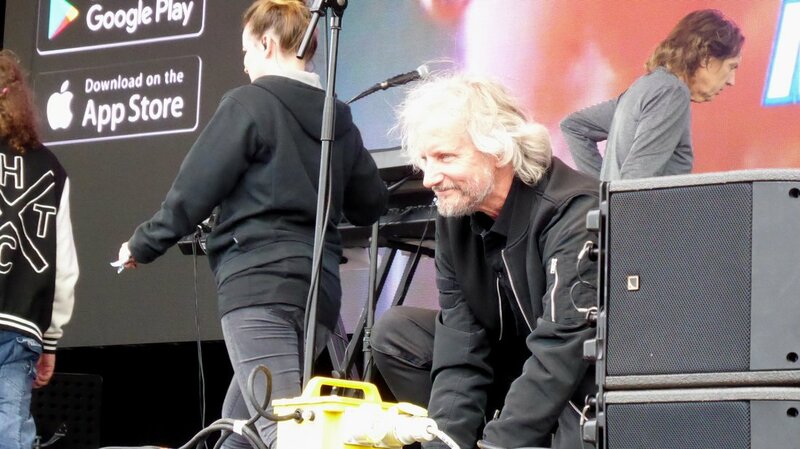 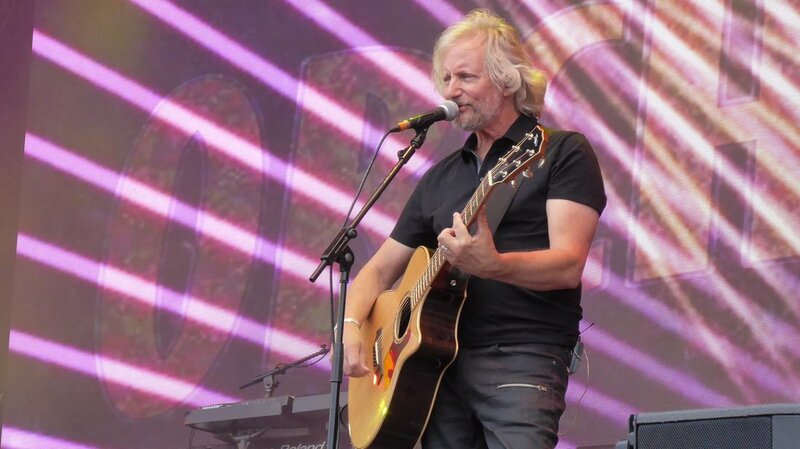 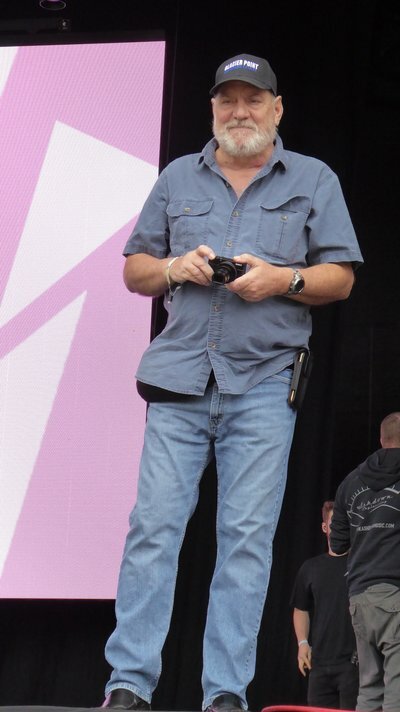 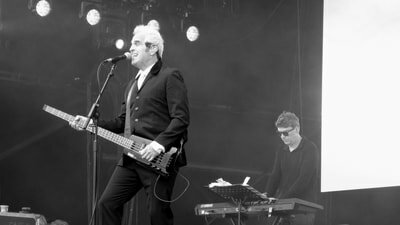 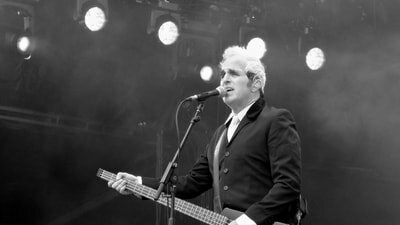 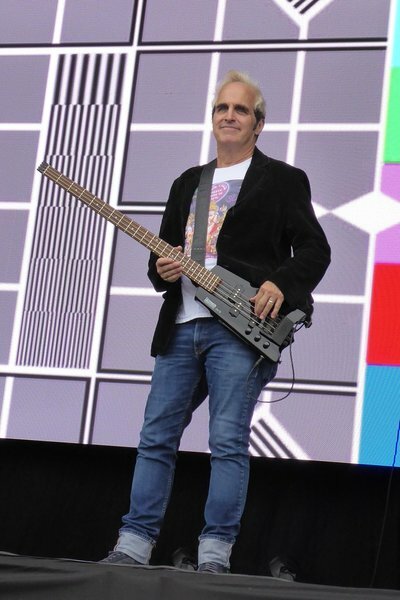 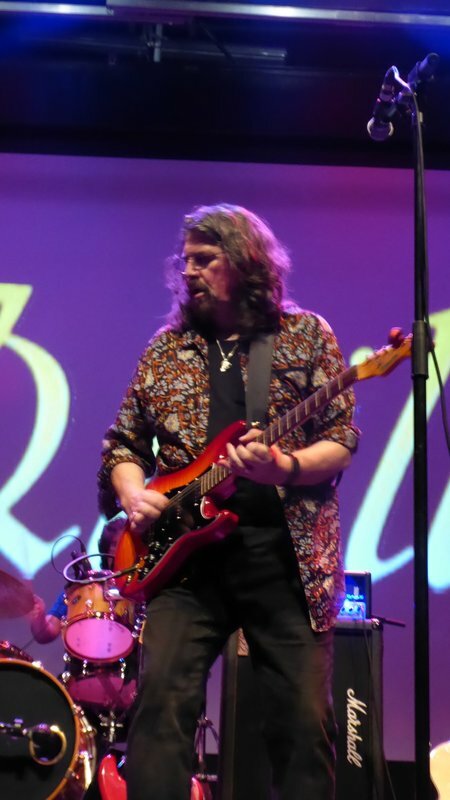 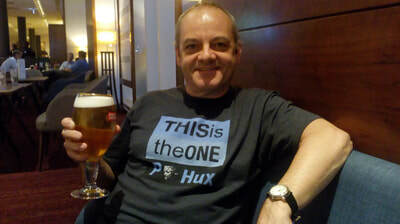 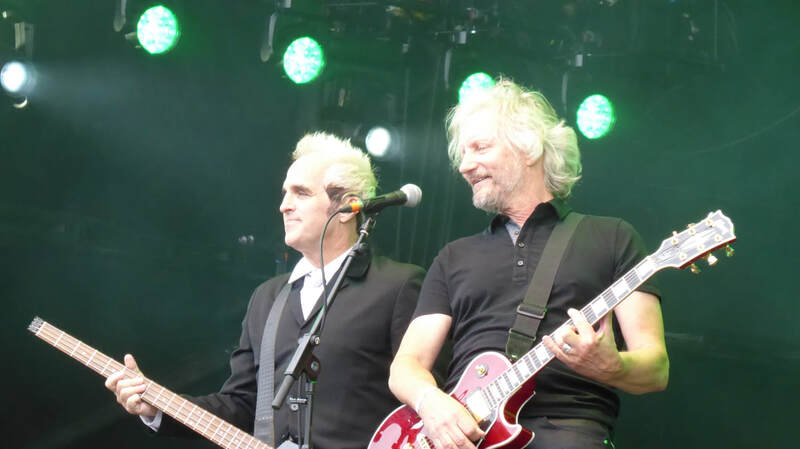 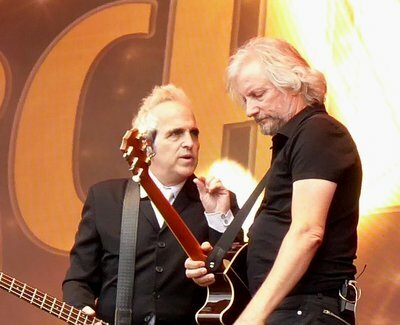 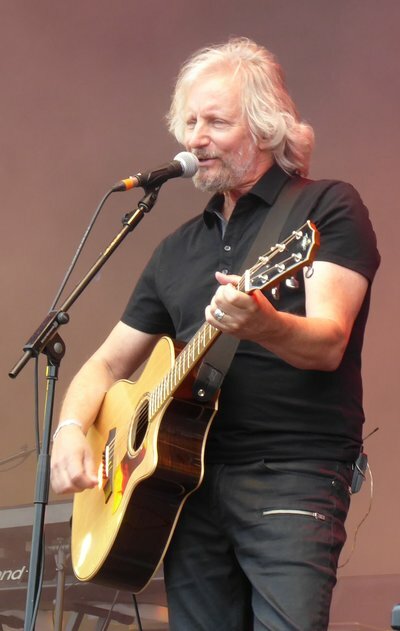 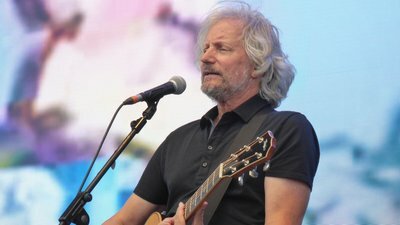 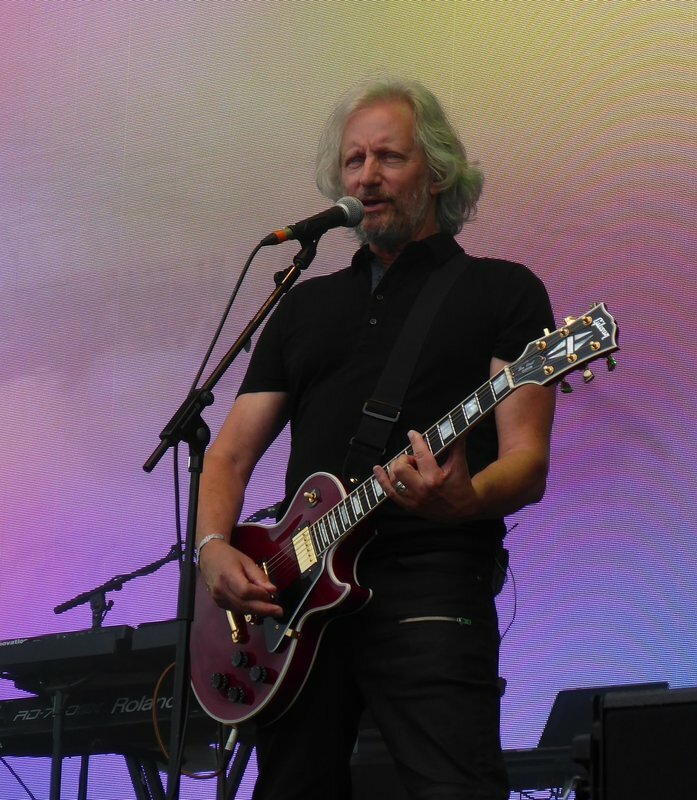 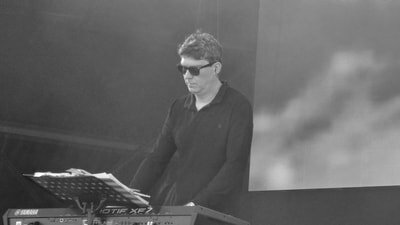 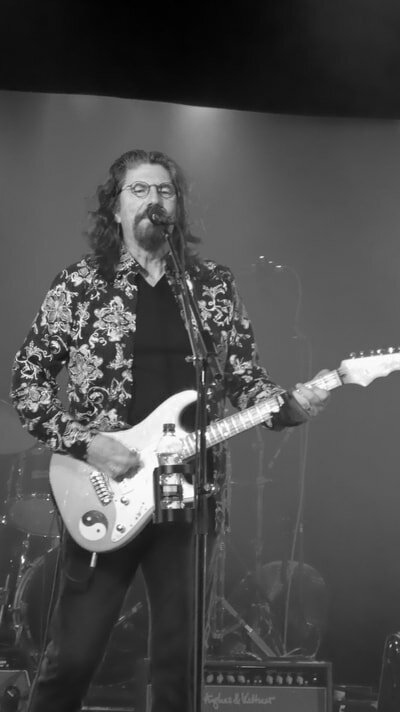 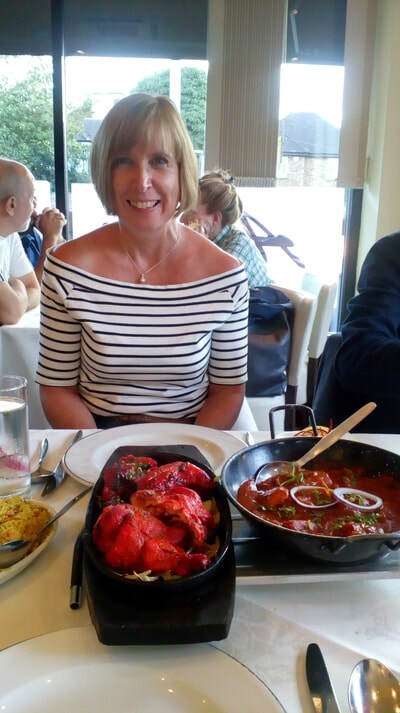 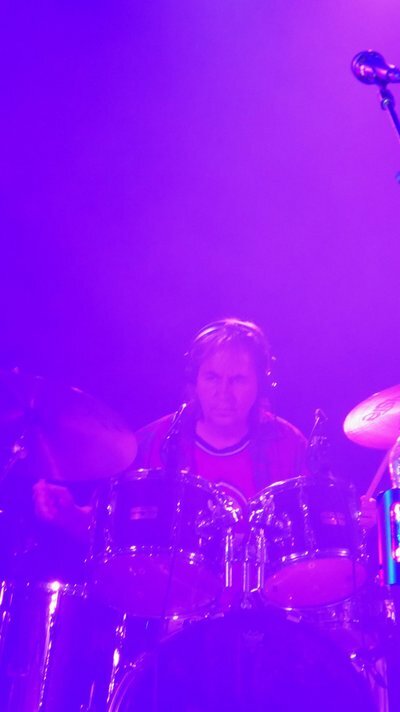 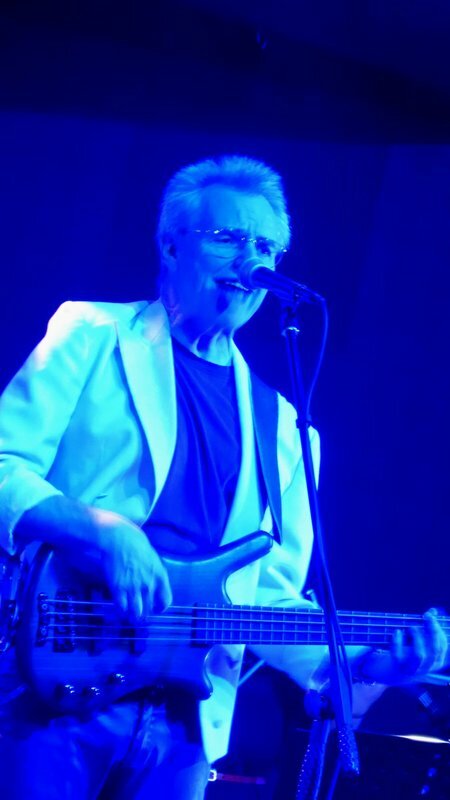 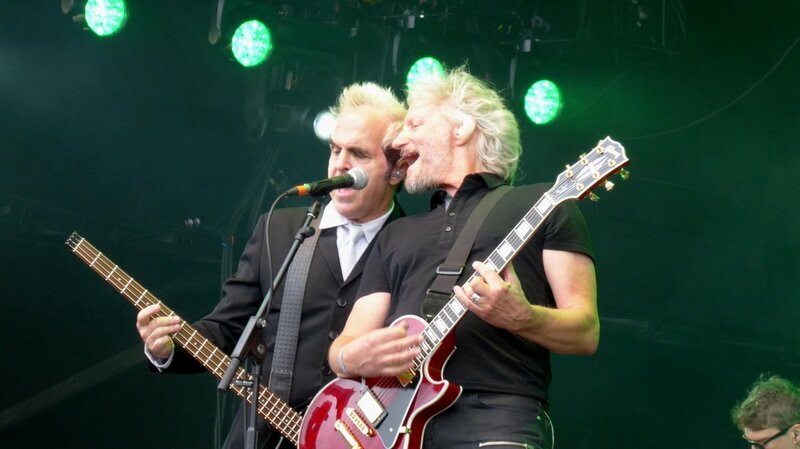 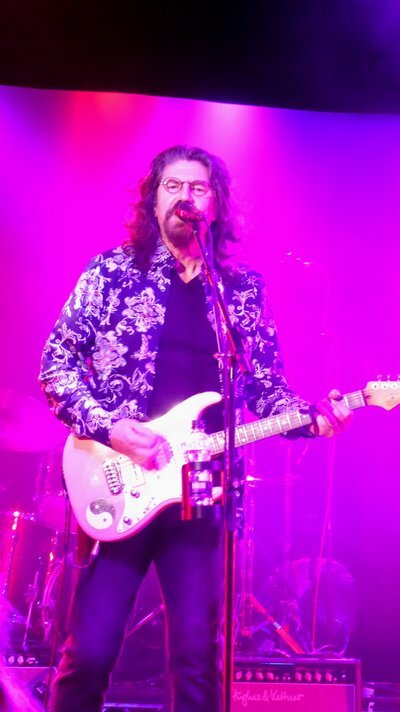 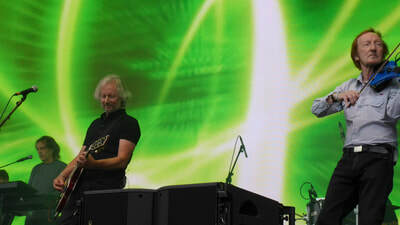 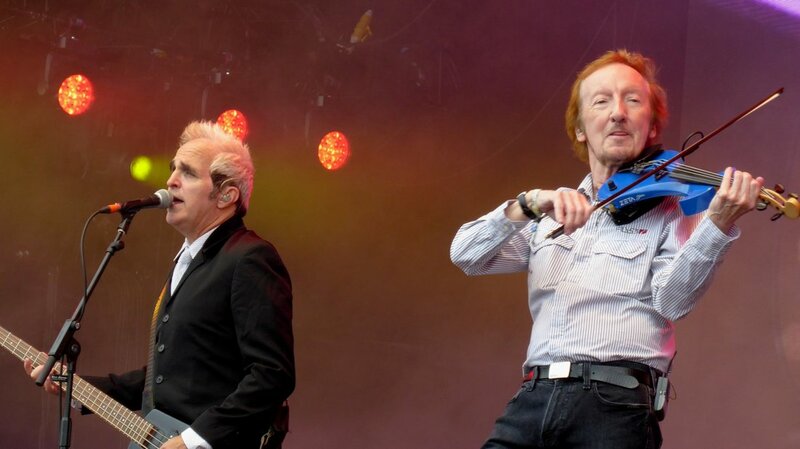 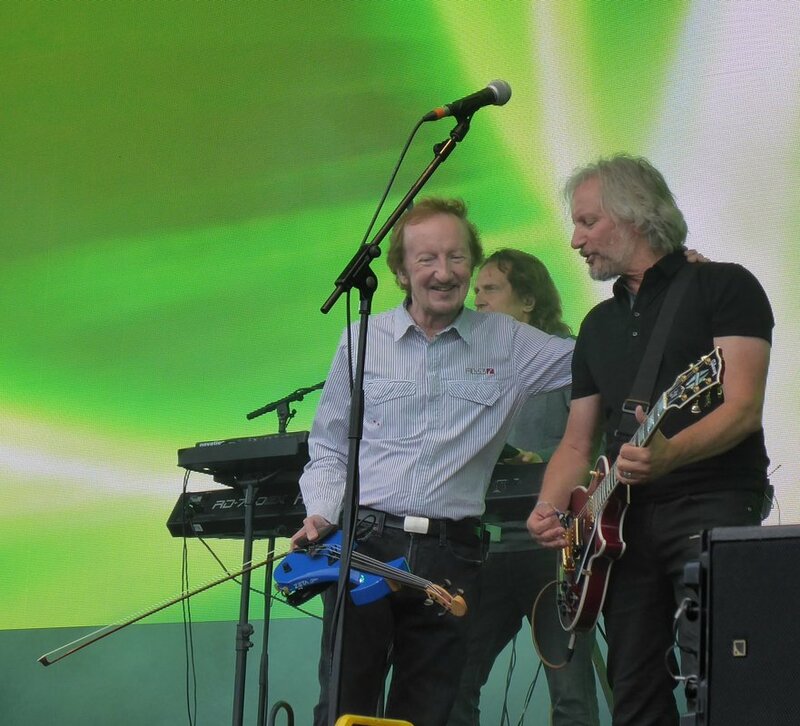 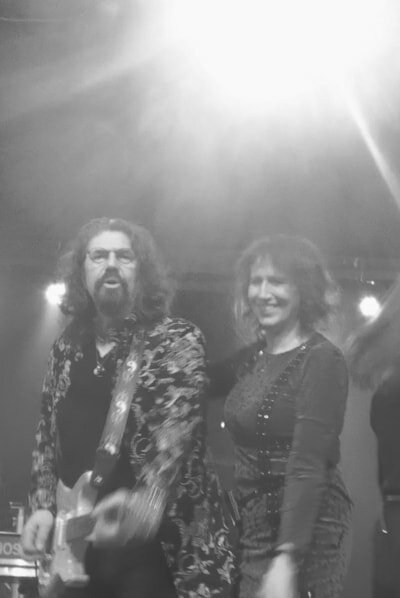 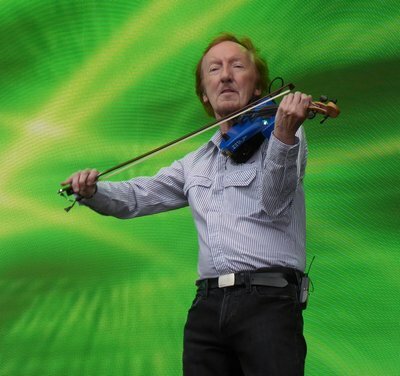 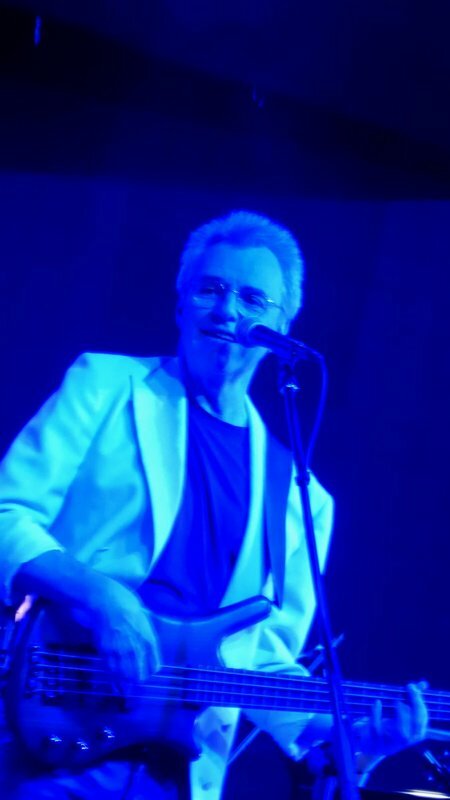 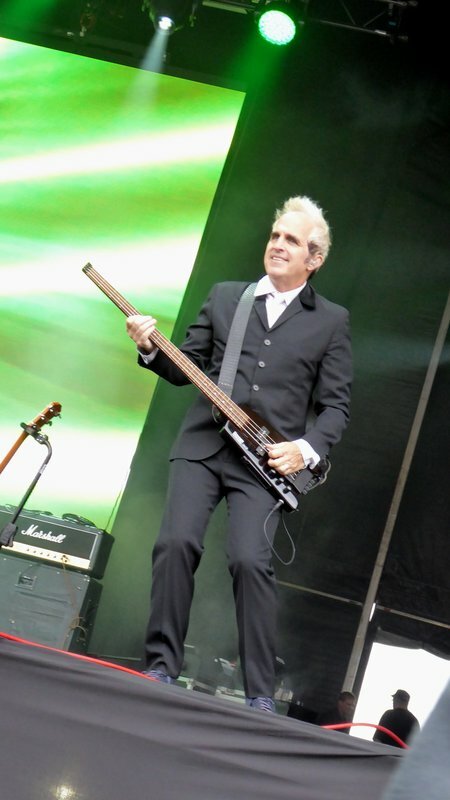 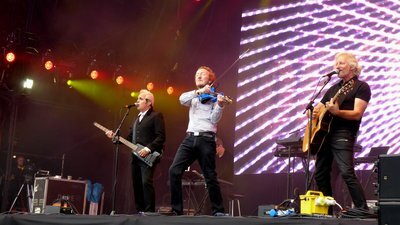 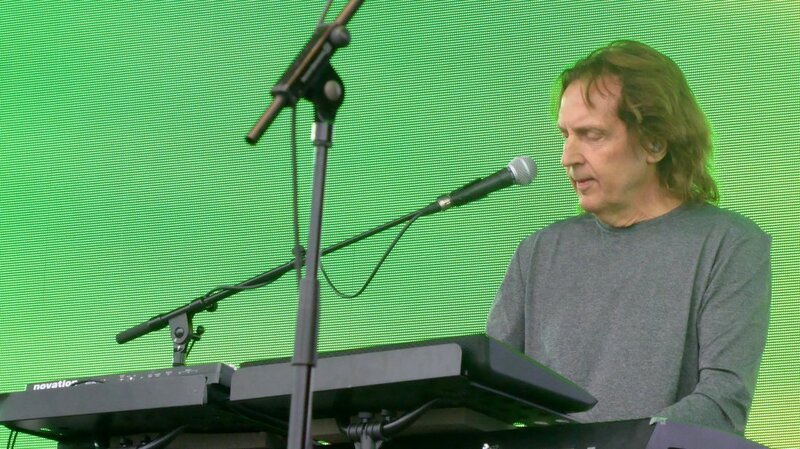 Phil was one of the original members of the band back in 1972, and he also returned in the early 1980's where he met his future wife Jo Bates who was in the band at the time, and she has also now also returned to the line-up. 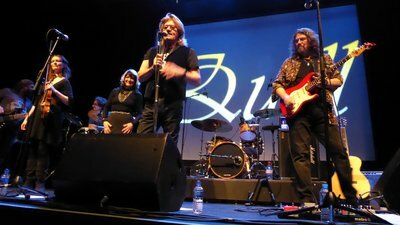 For more information about Quill, check out the bands Official Facebook page at - www.facebook.com/quilluk/ and the bands official website - www.quilluk.com.